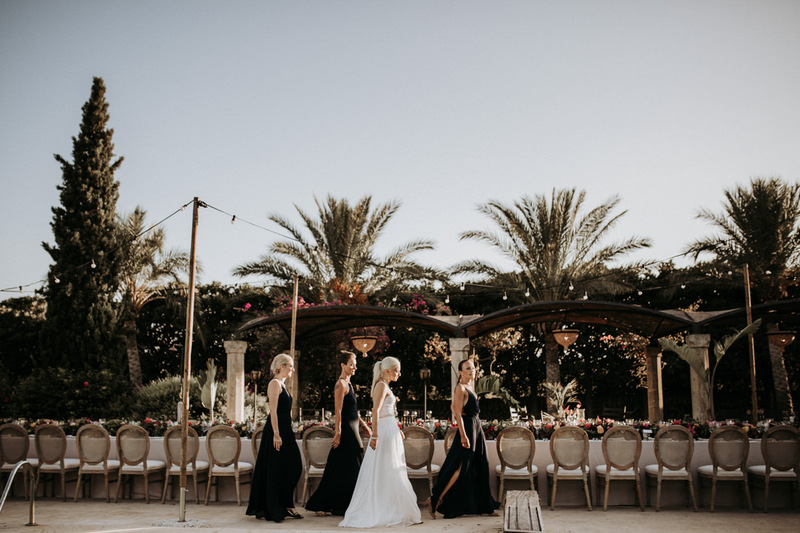 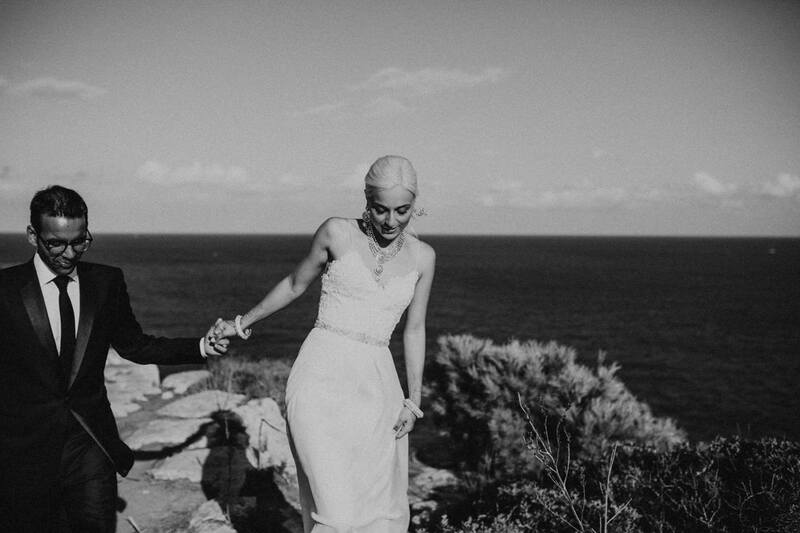 This wedding was really a dream for every photographer. 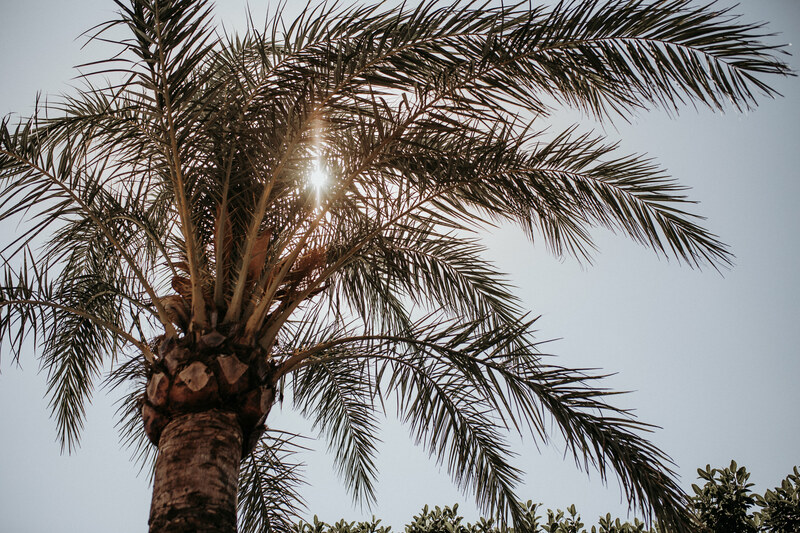 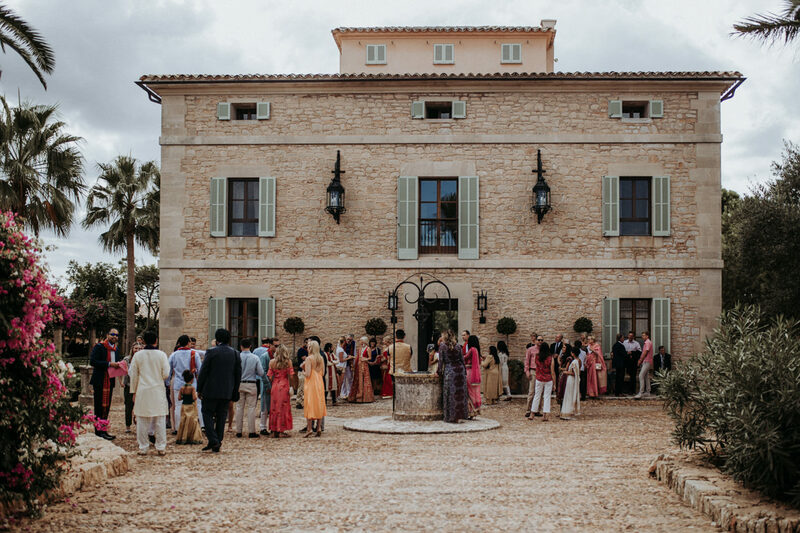 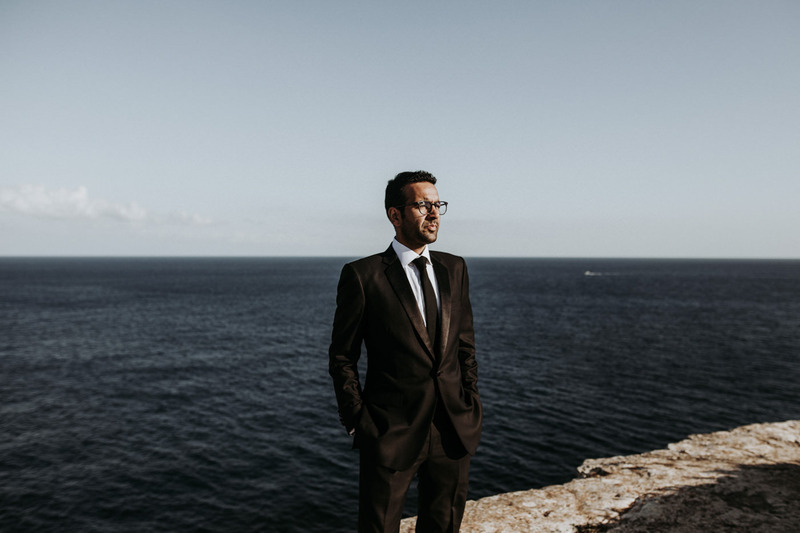 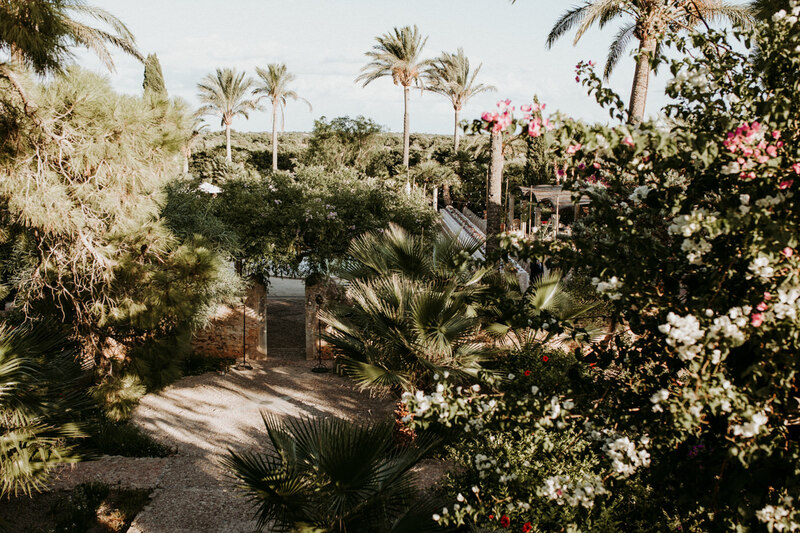 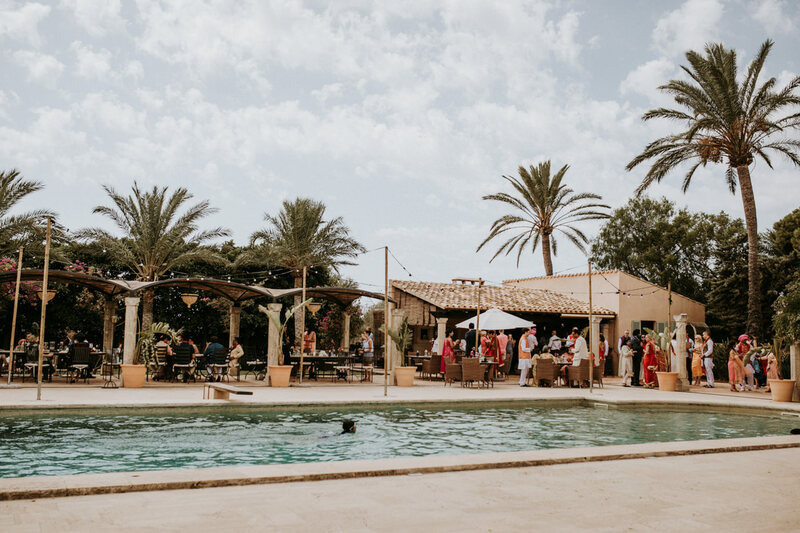 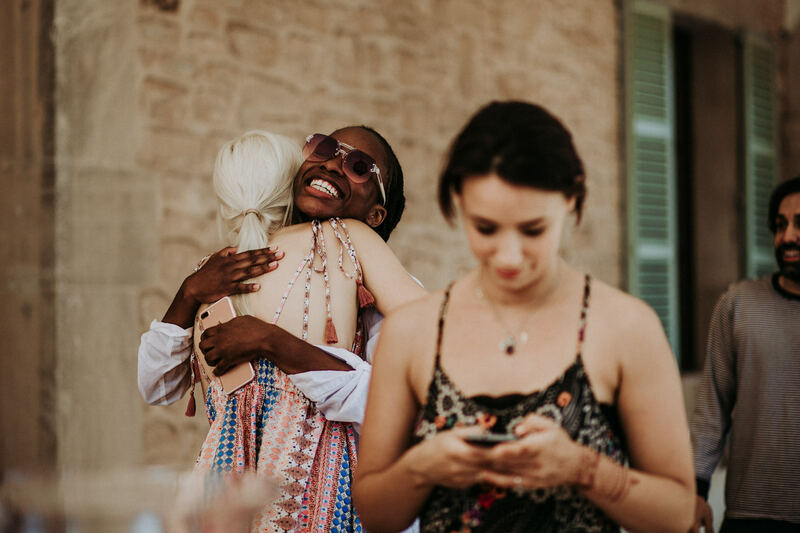 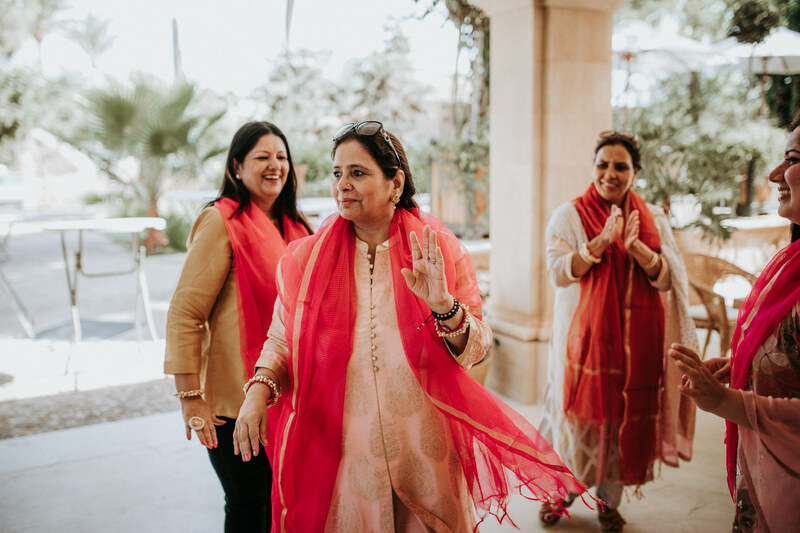 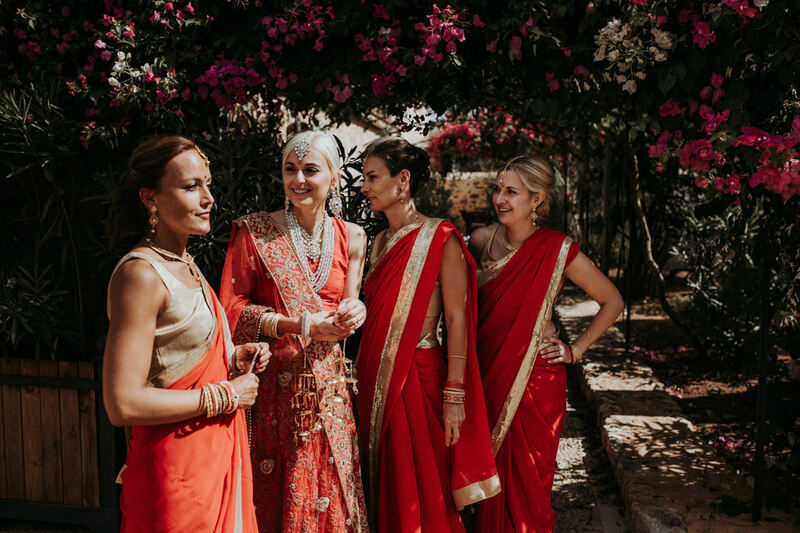 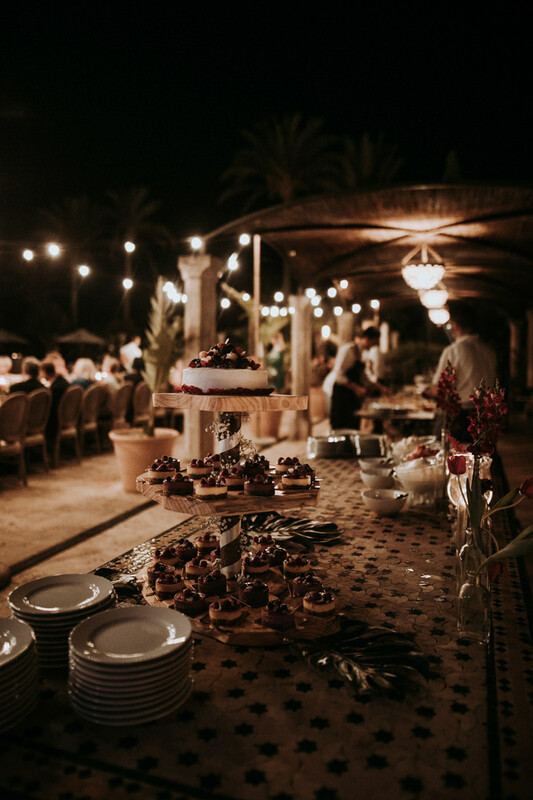 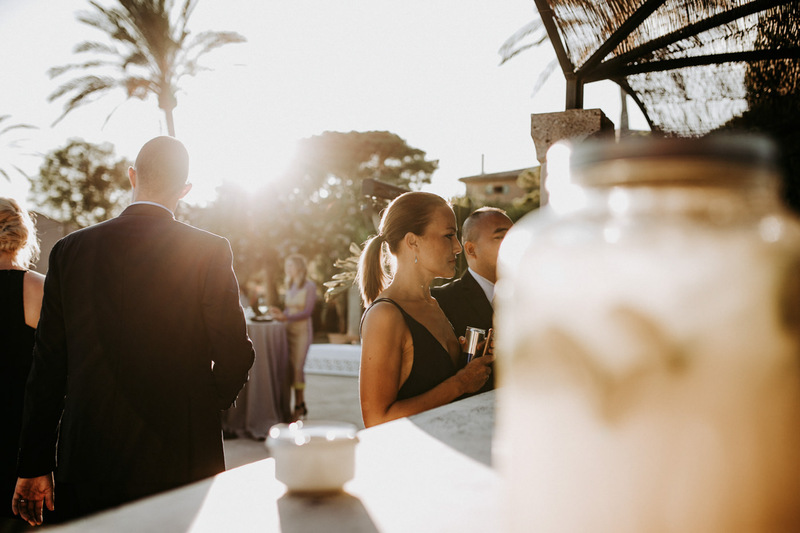 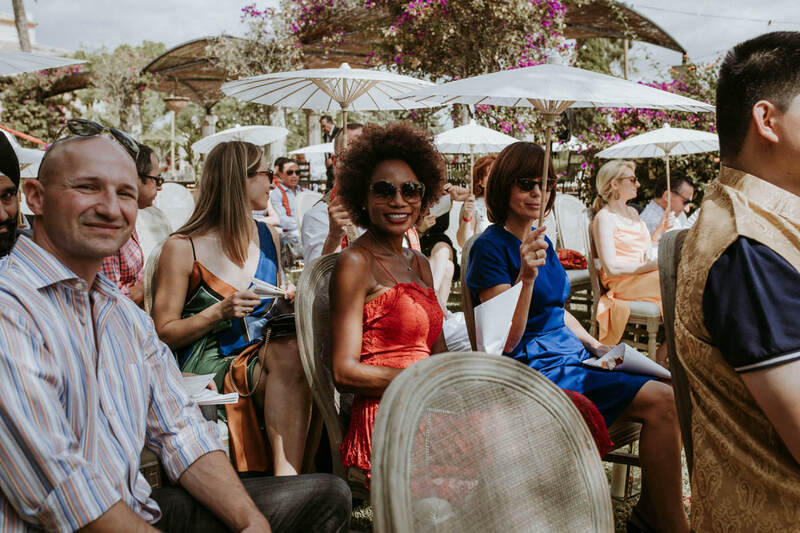 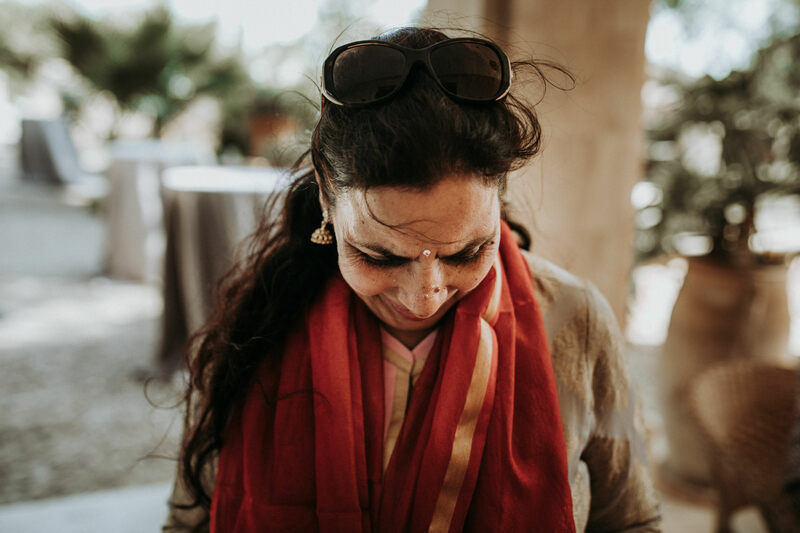 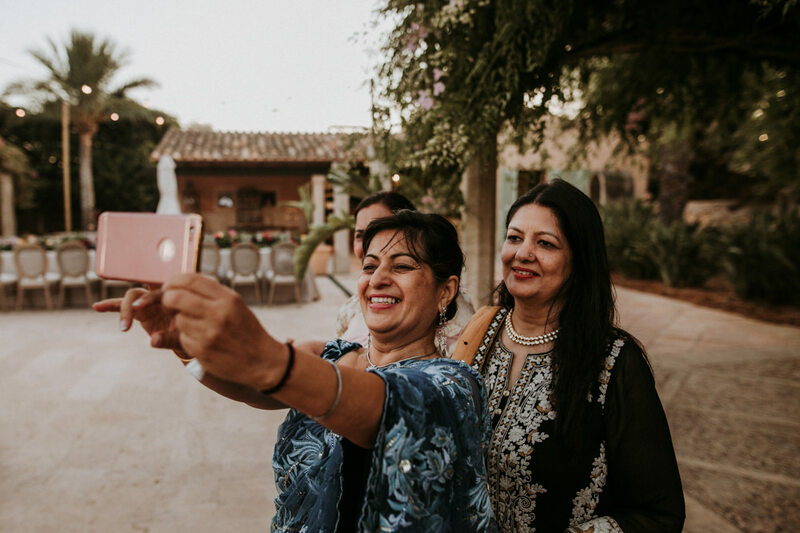 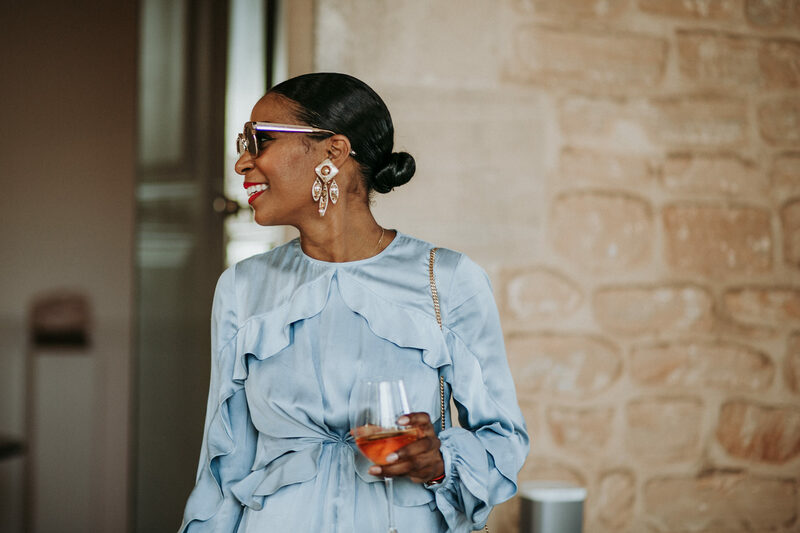 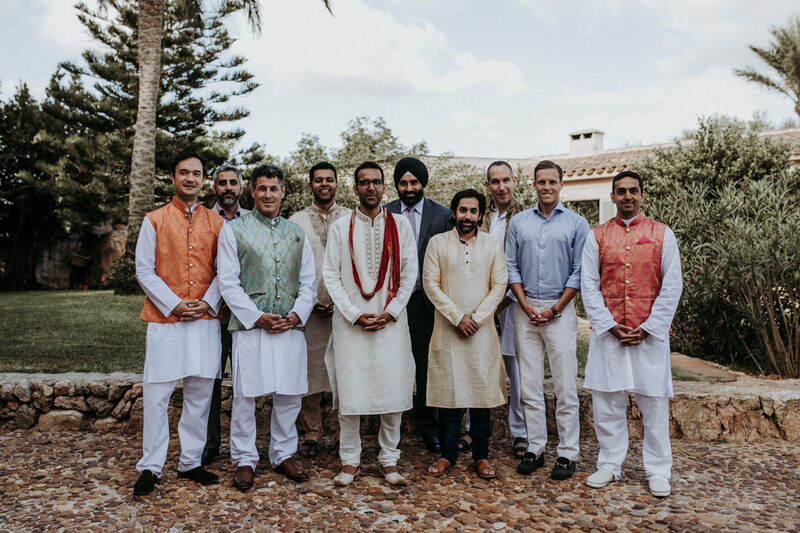 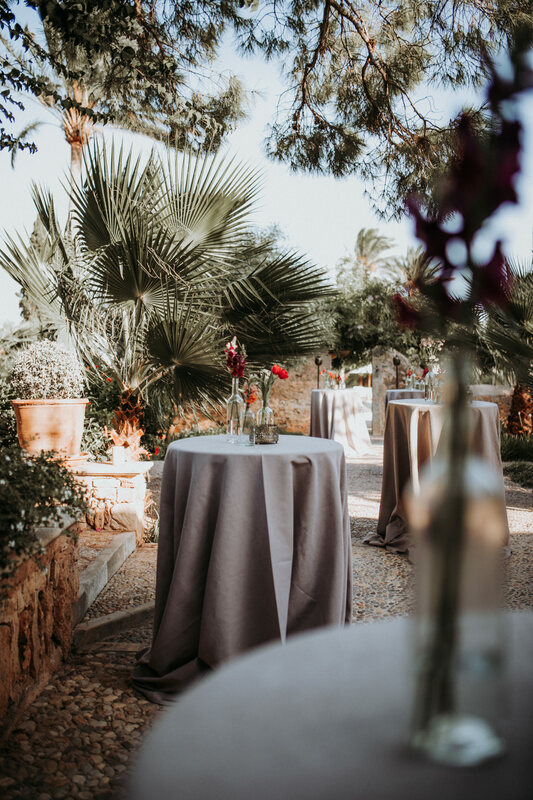 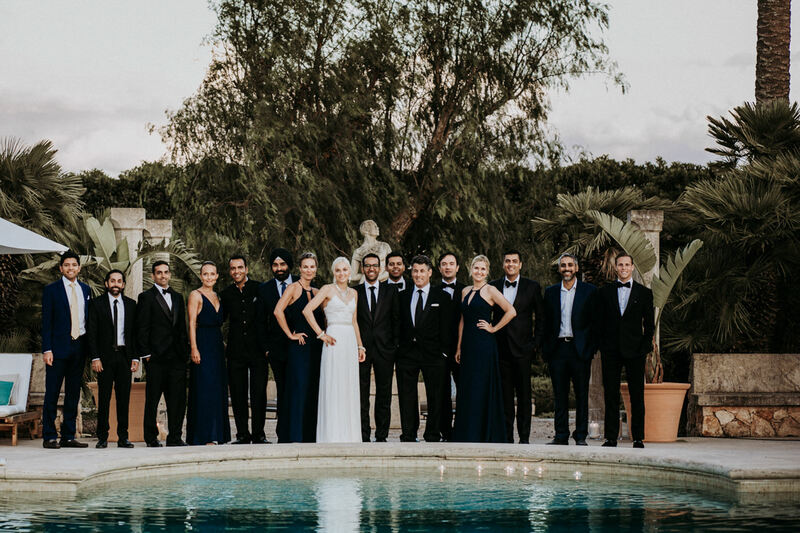 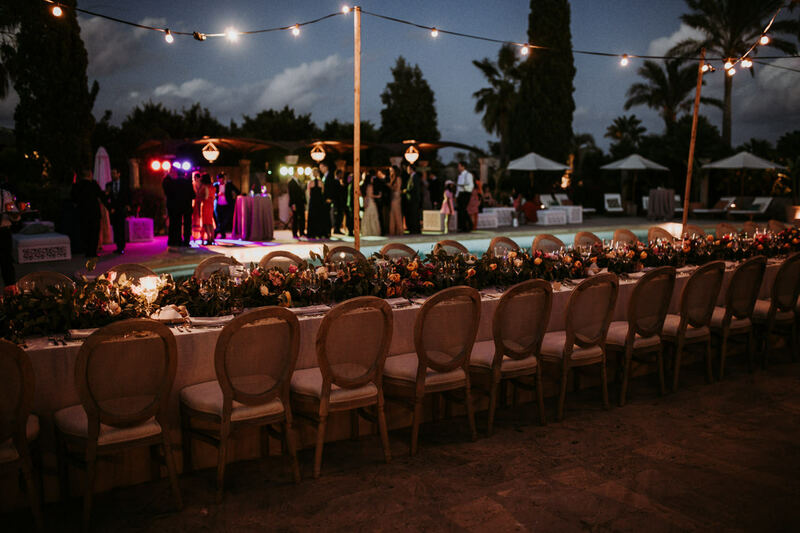 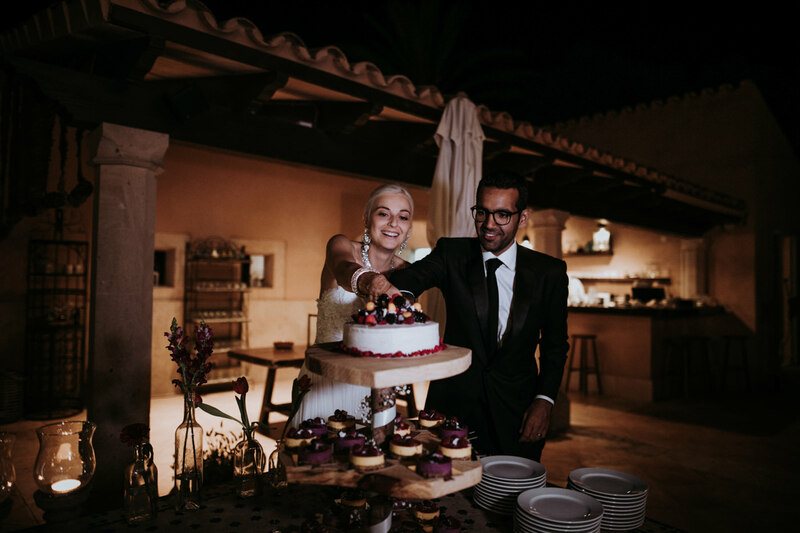 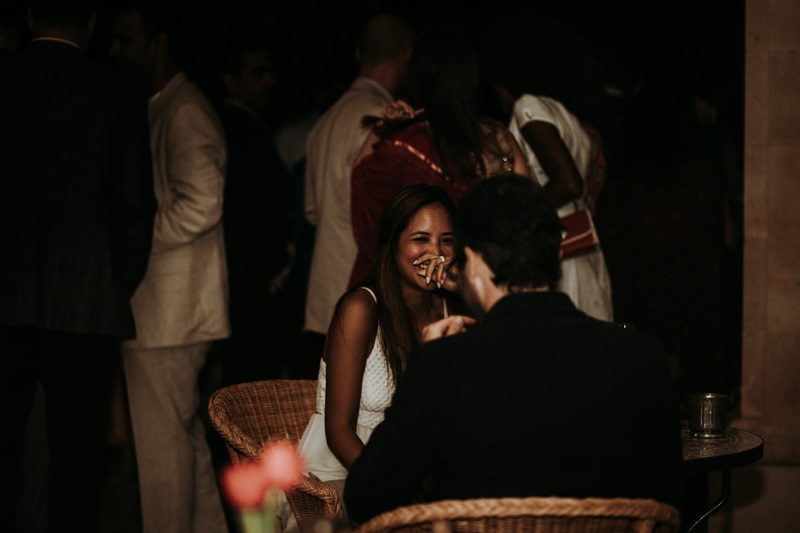 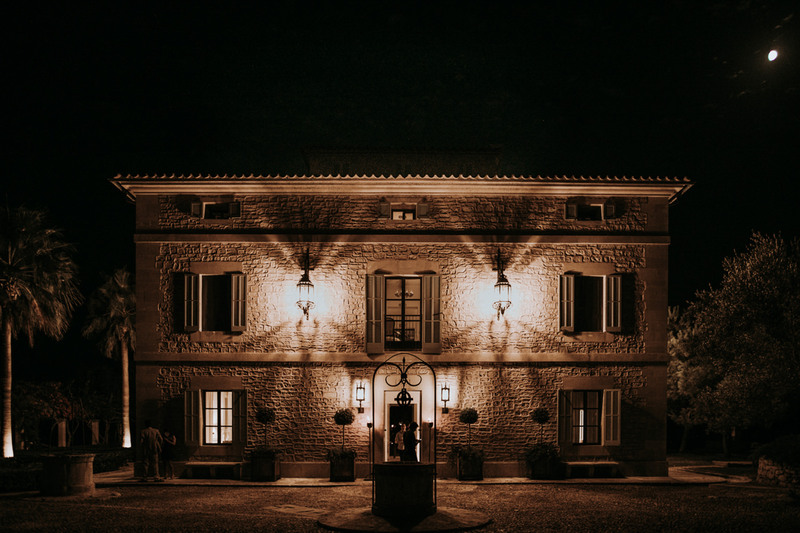 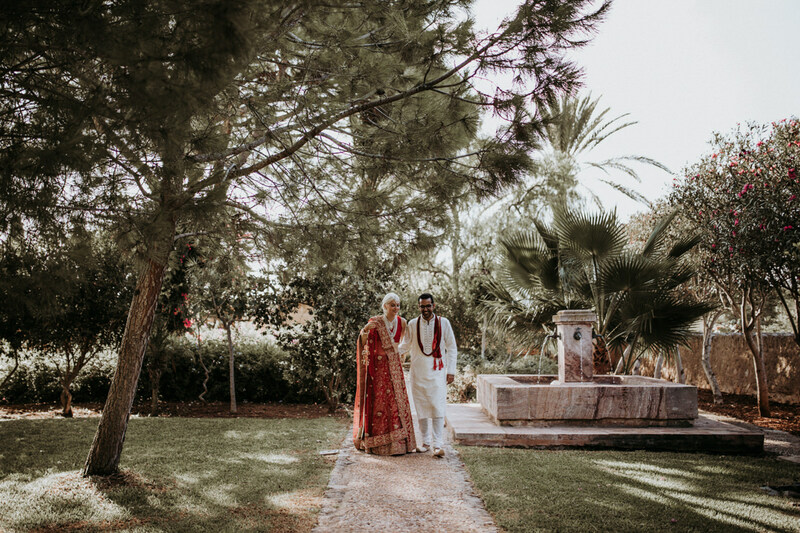 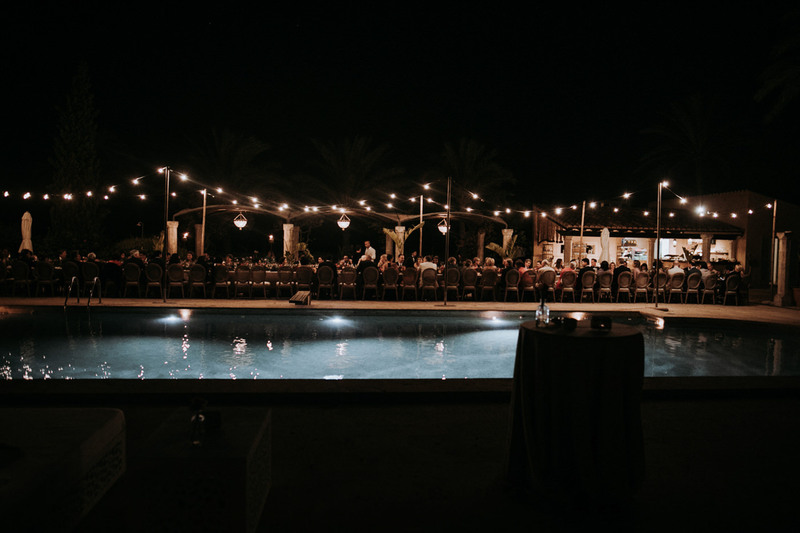 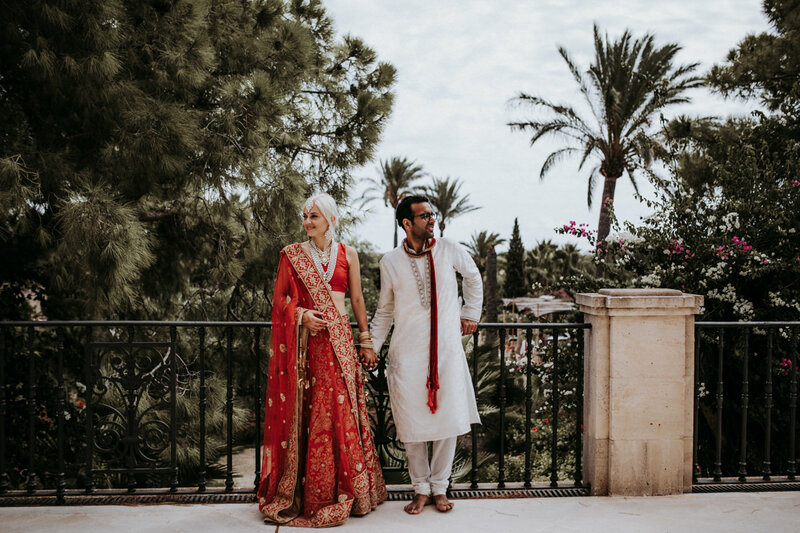 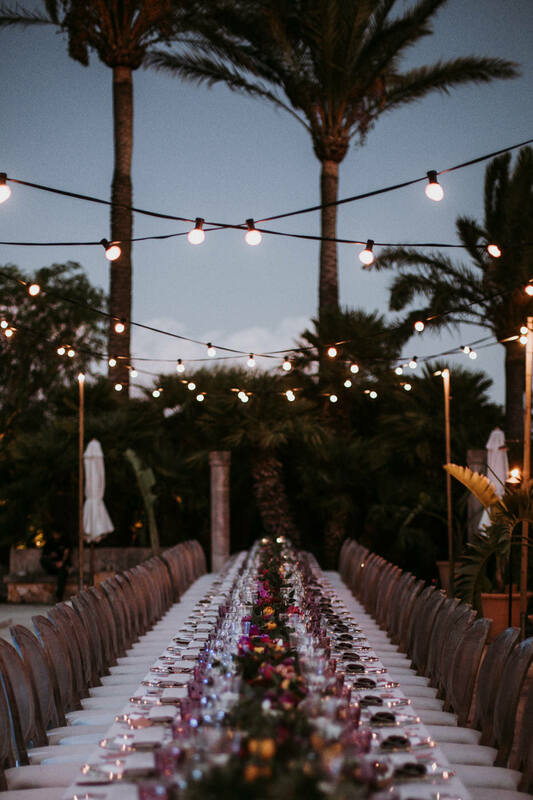 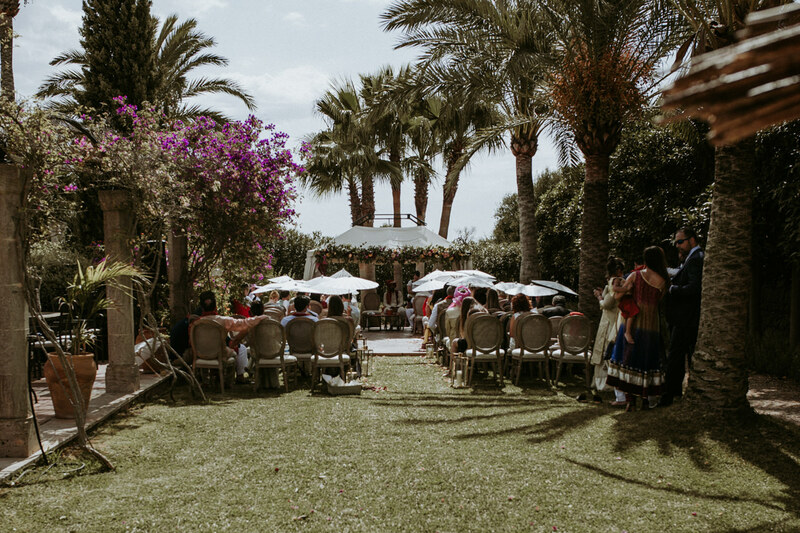 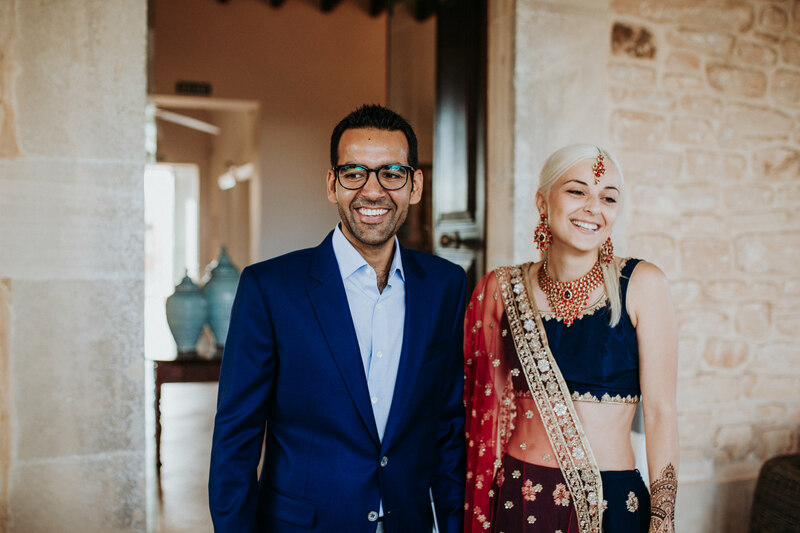 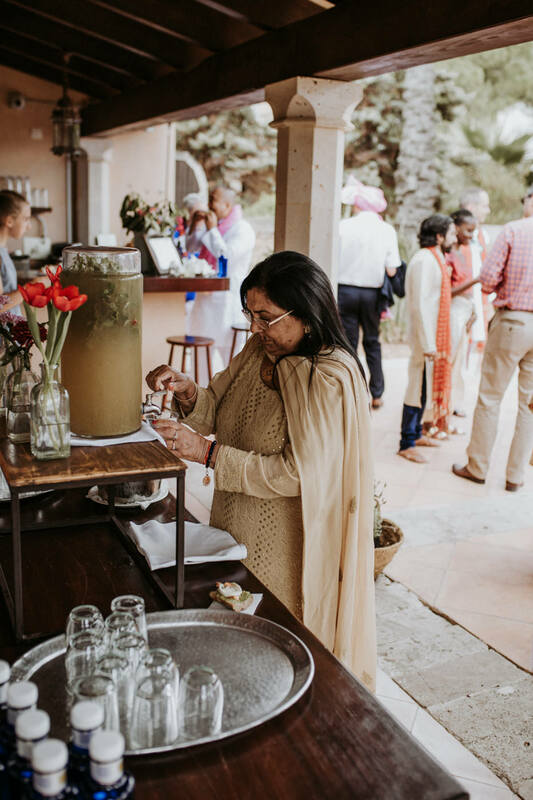 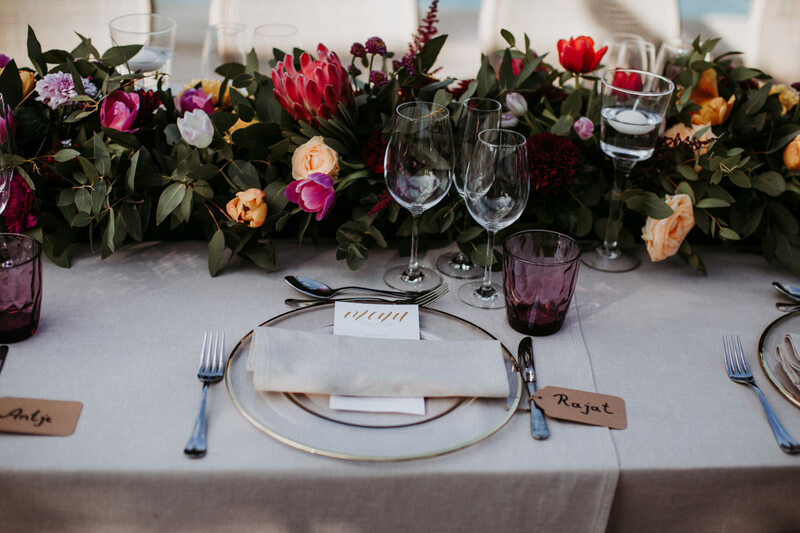 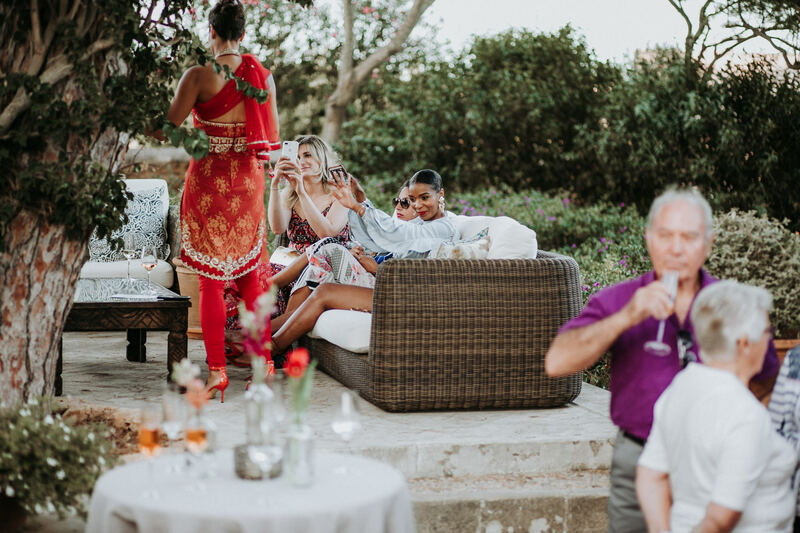 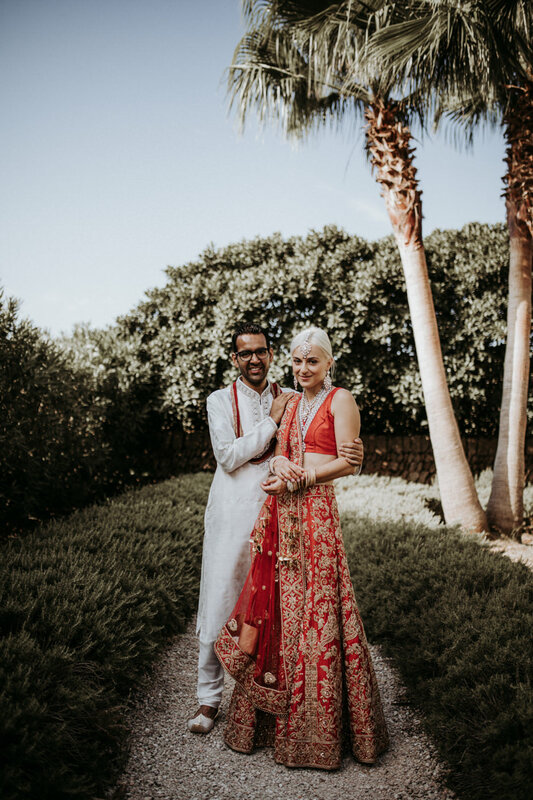 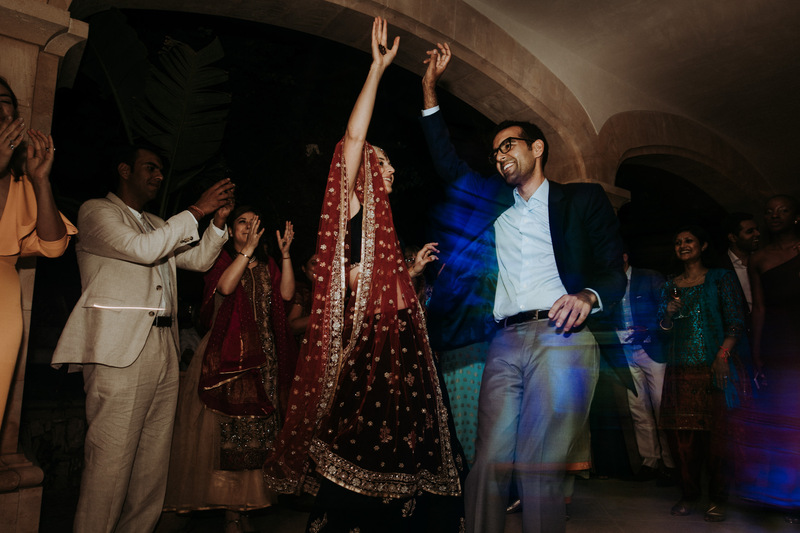 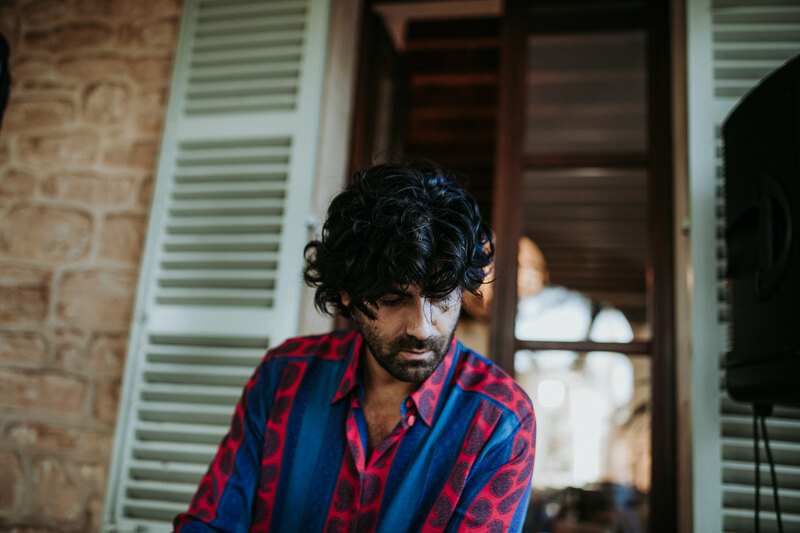 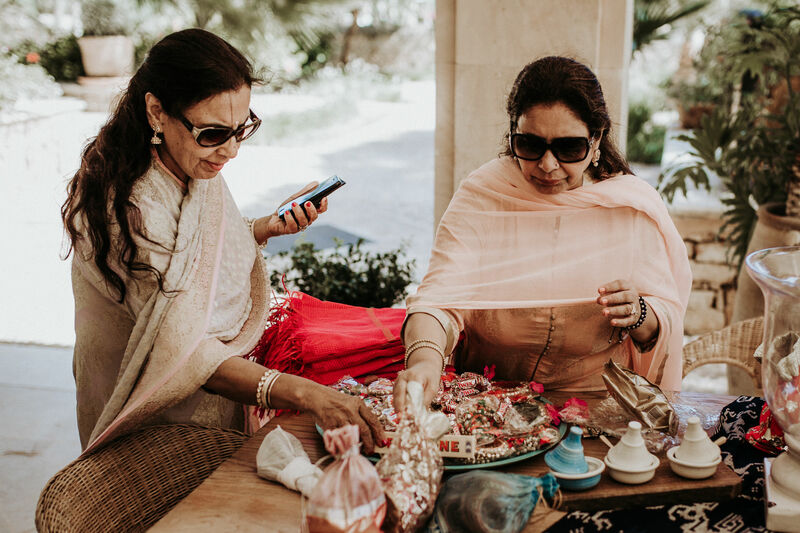 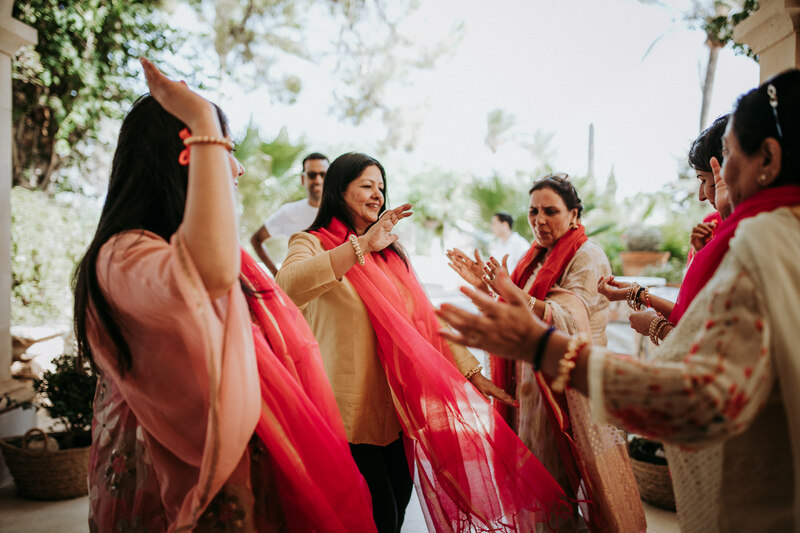 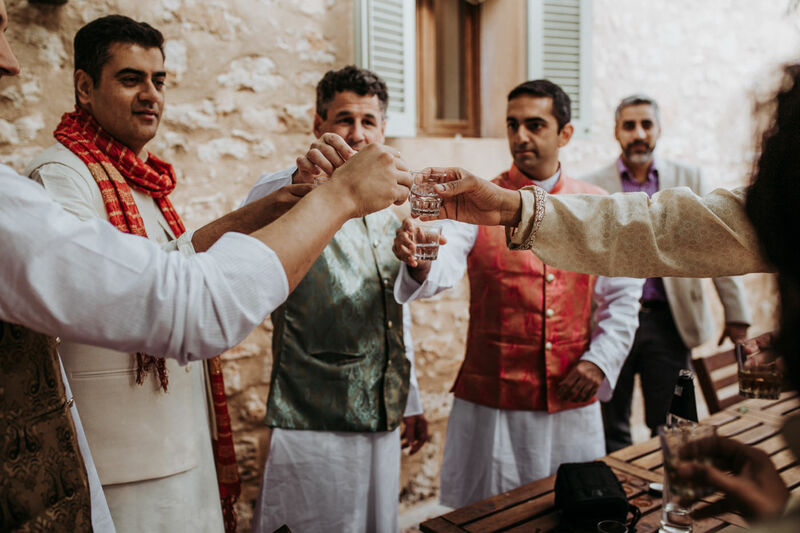 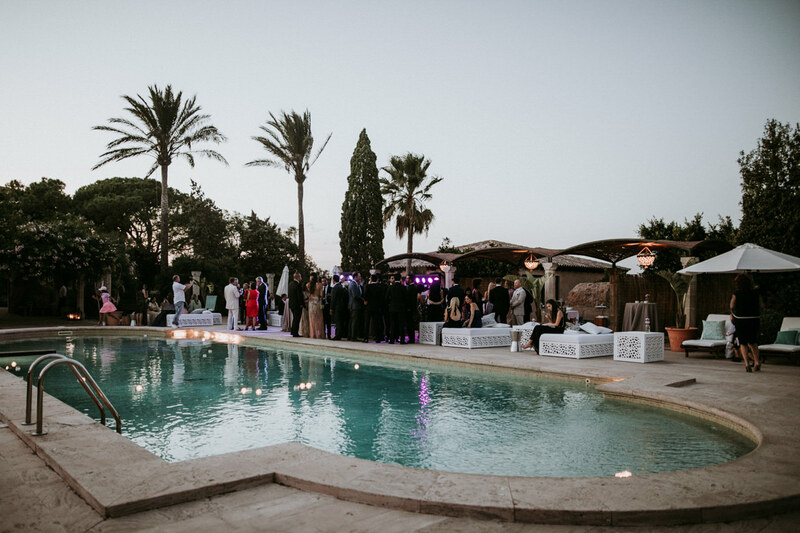 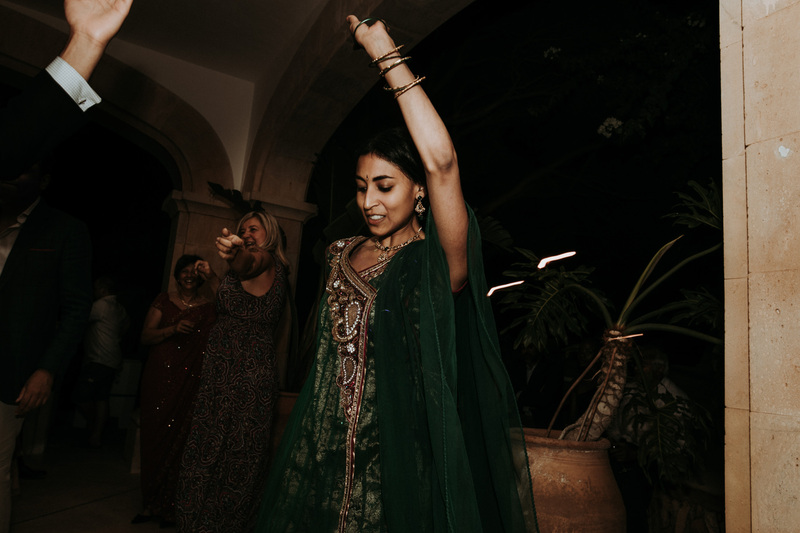 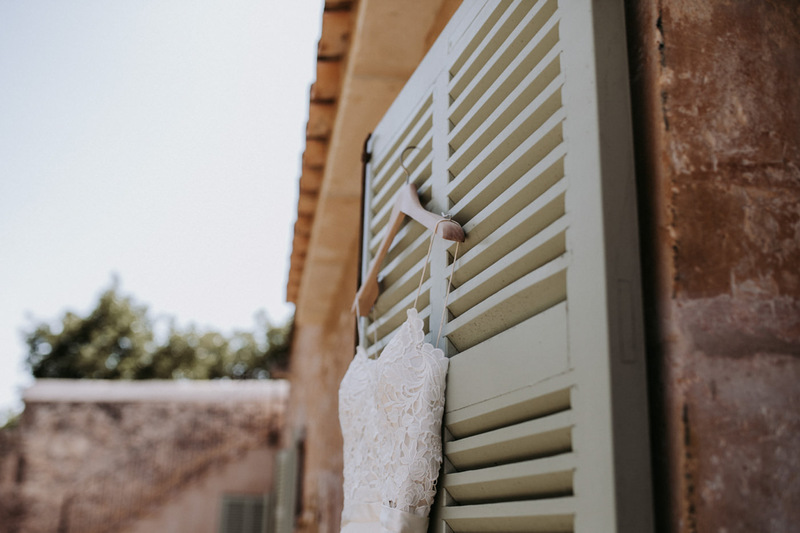 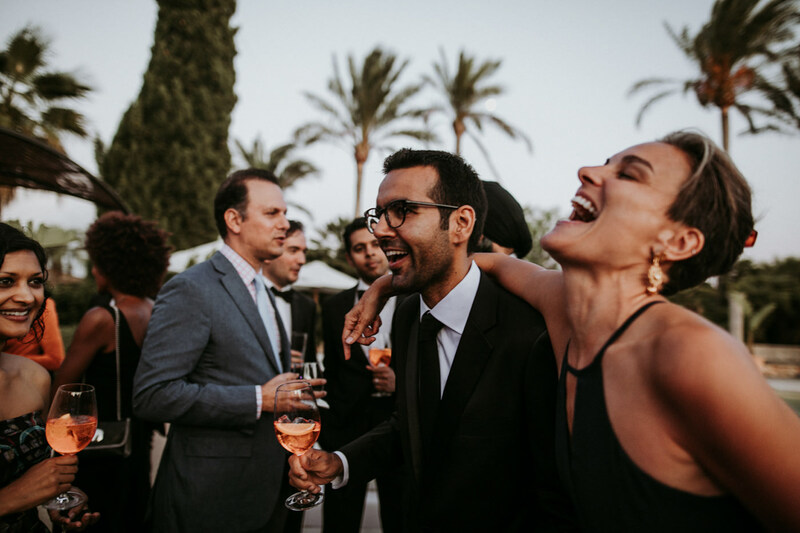 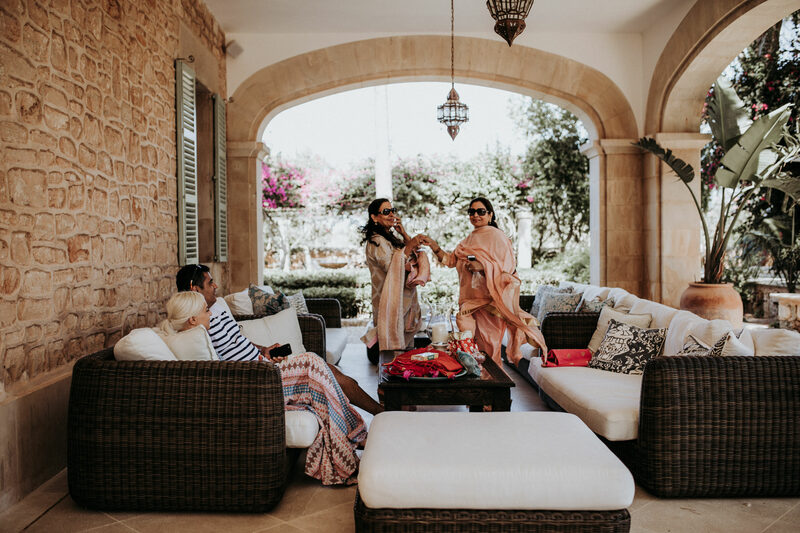 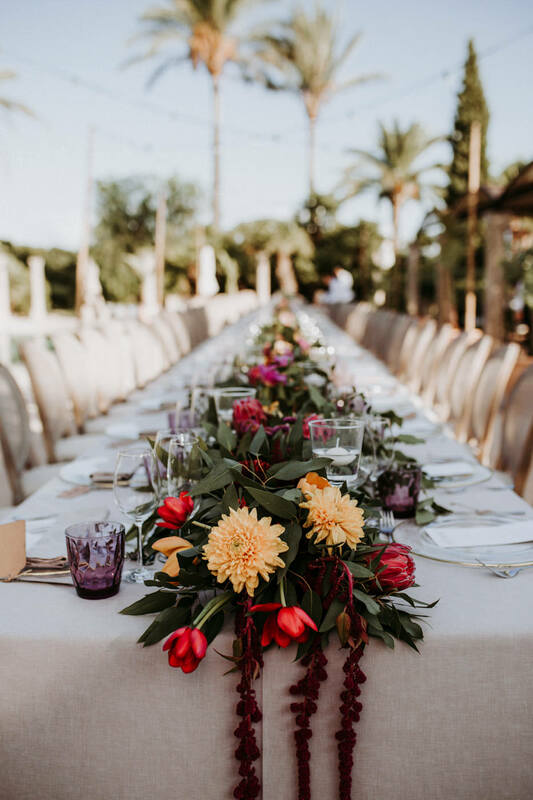 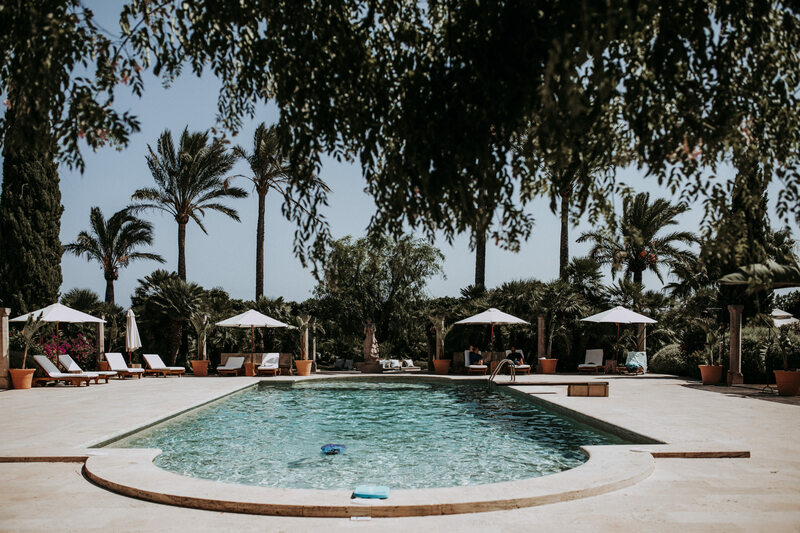 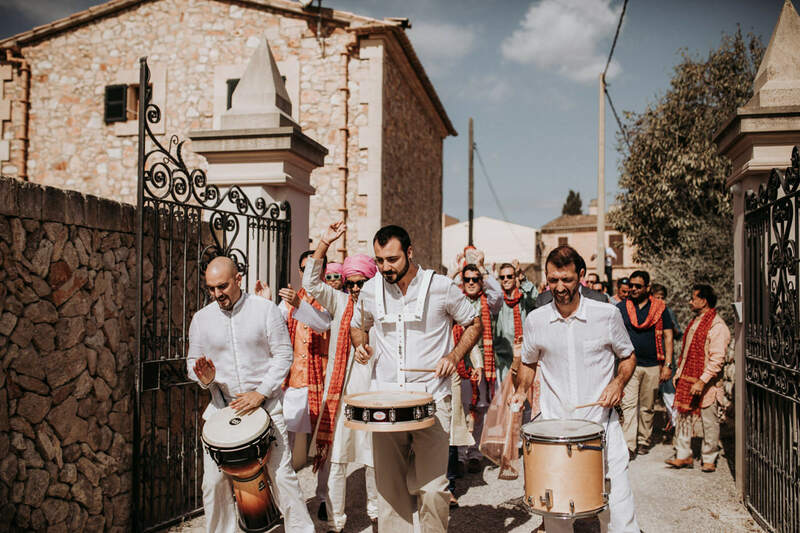 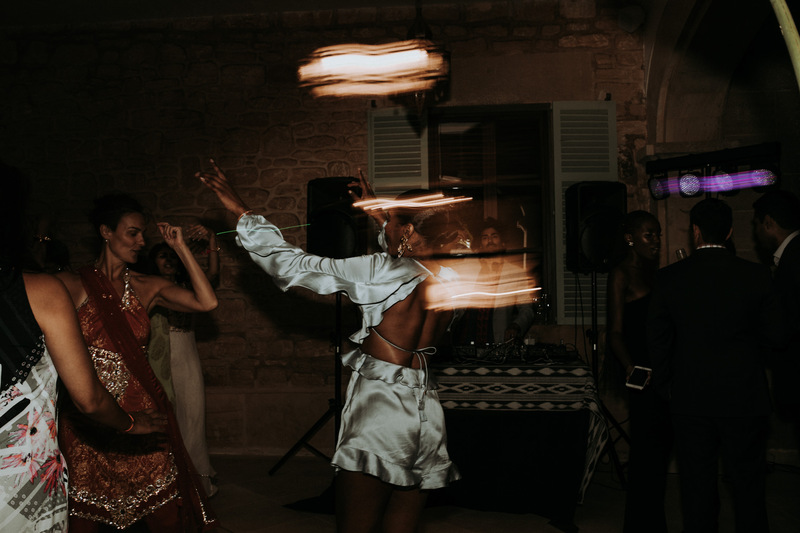 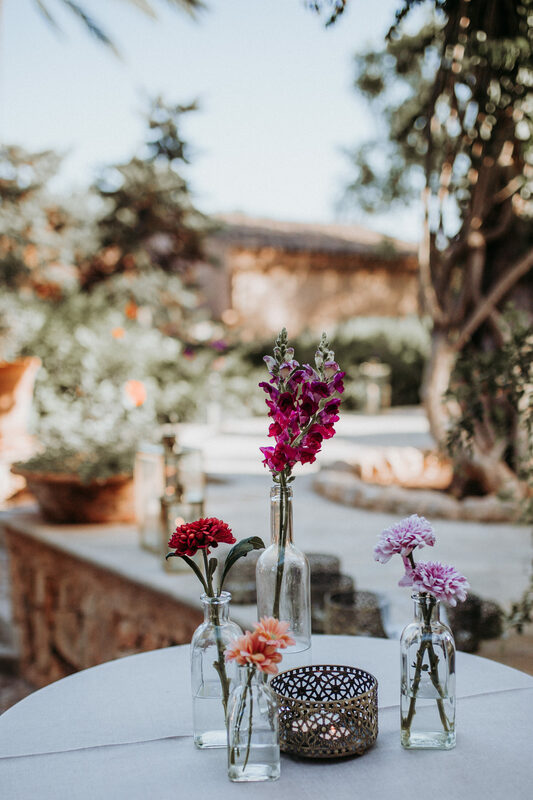 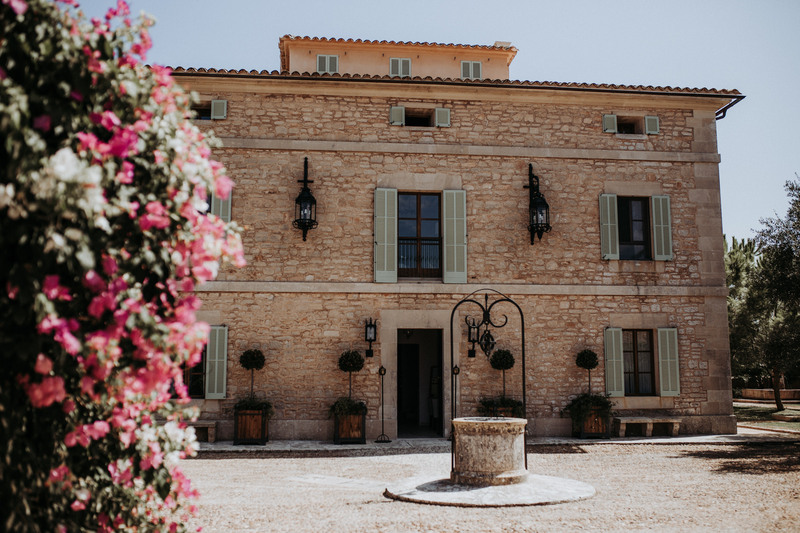 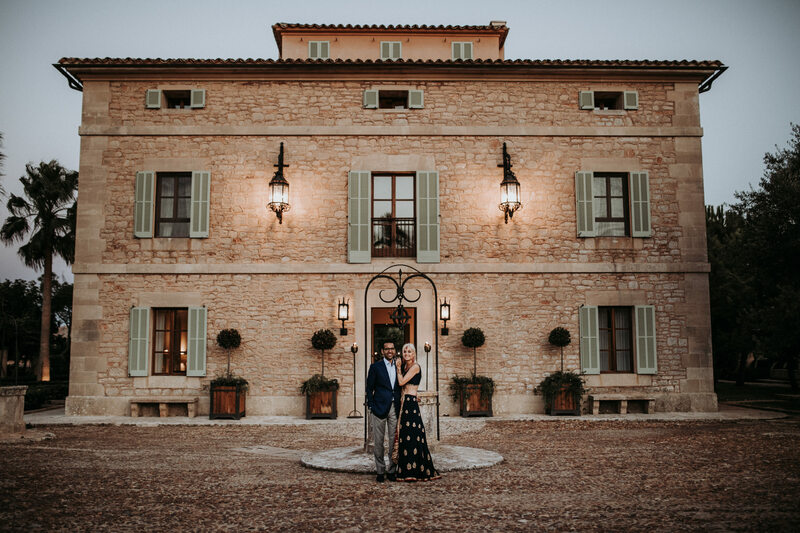 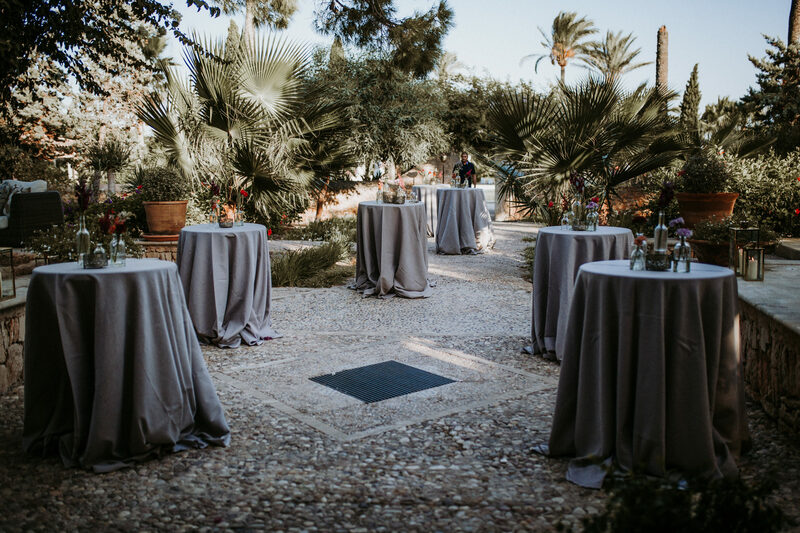 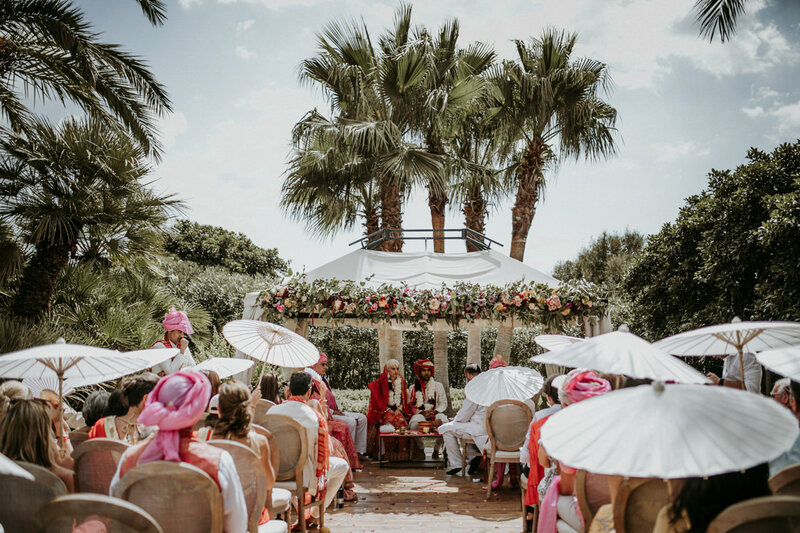 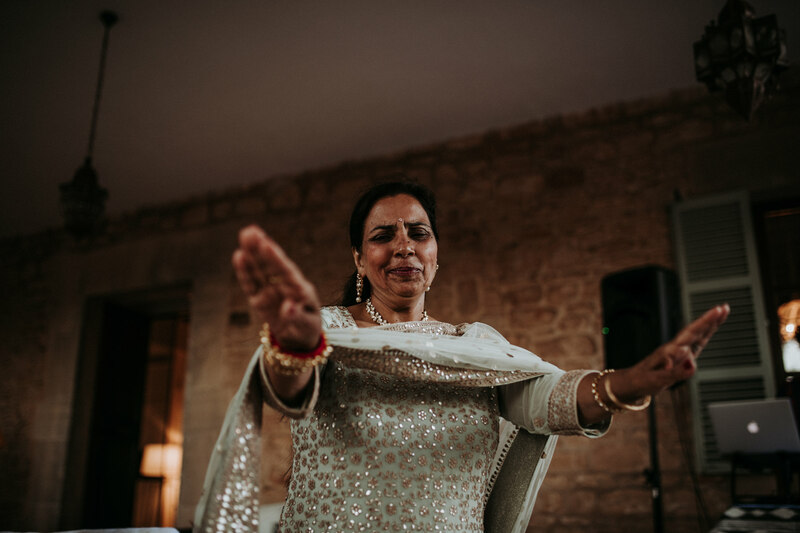 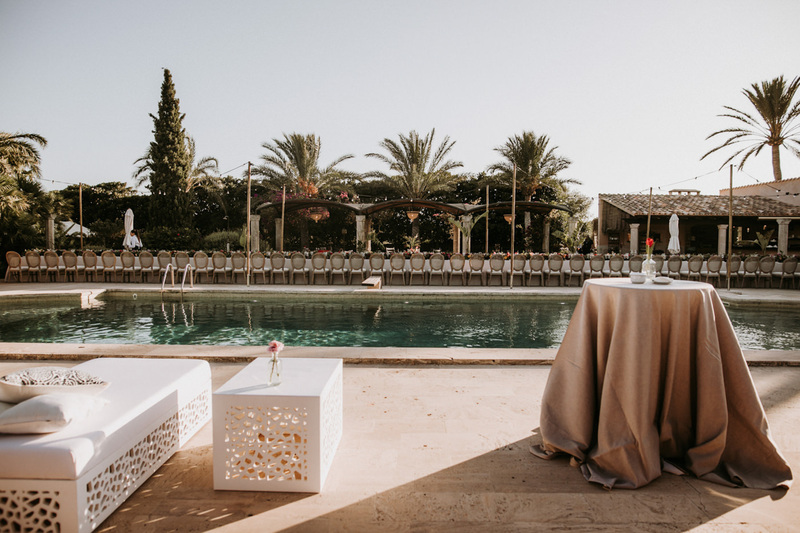 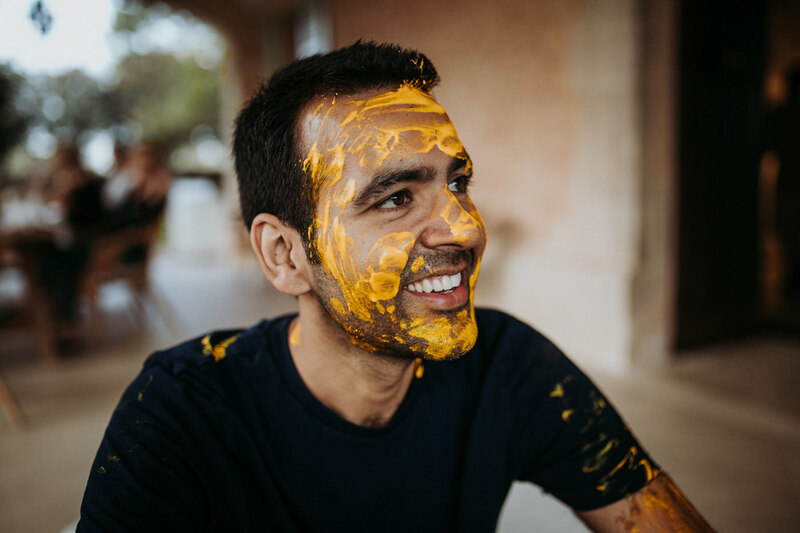 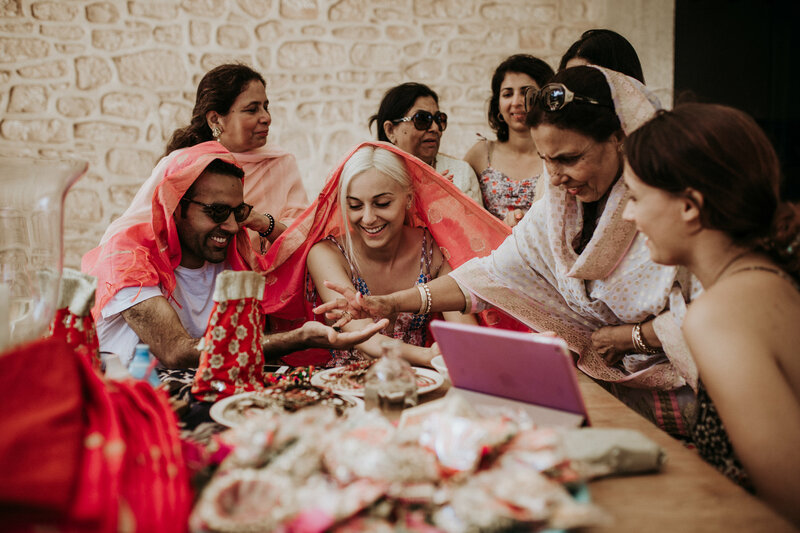 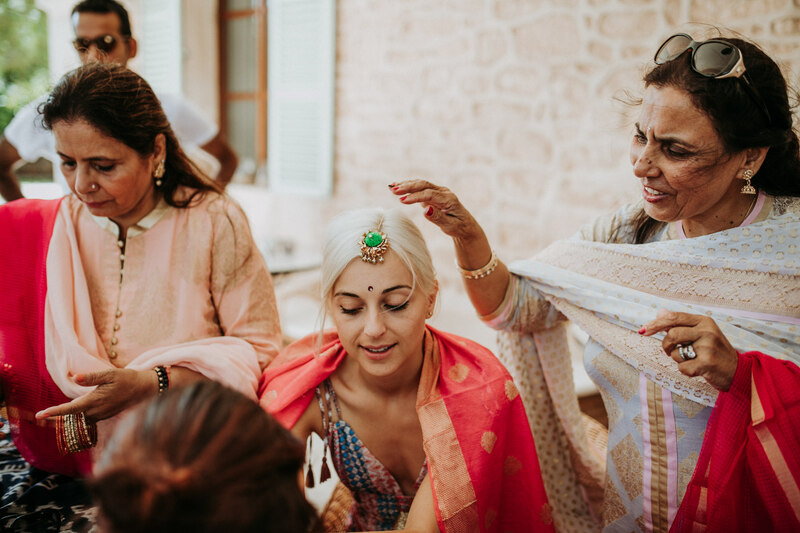 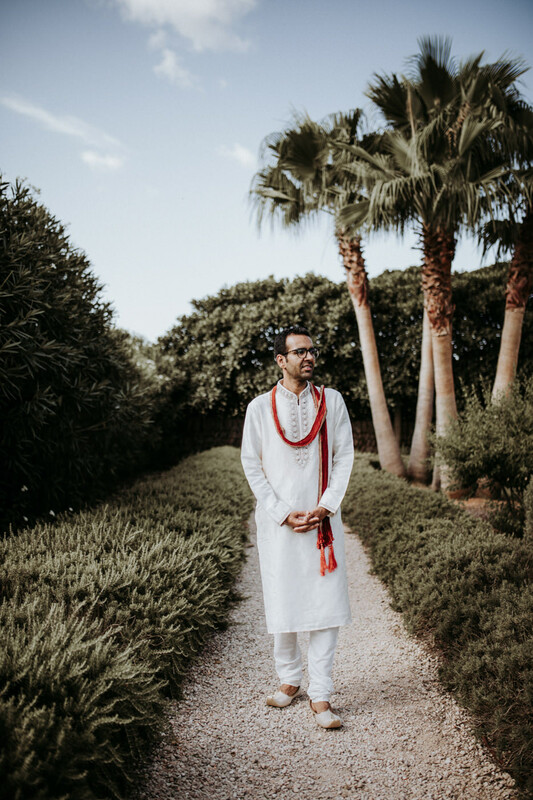 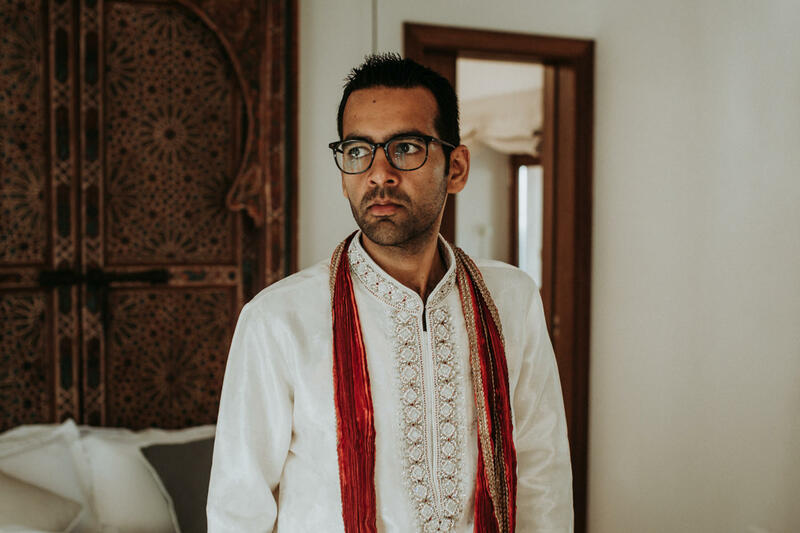 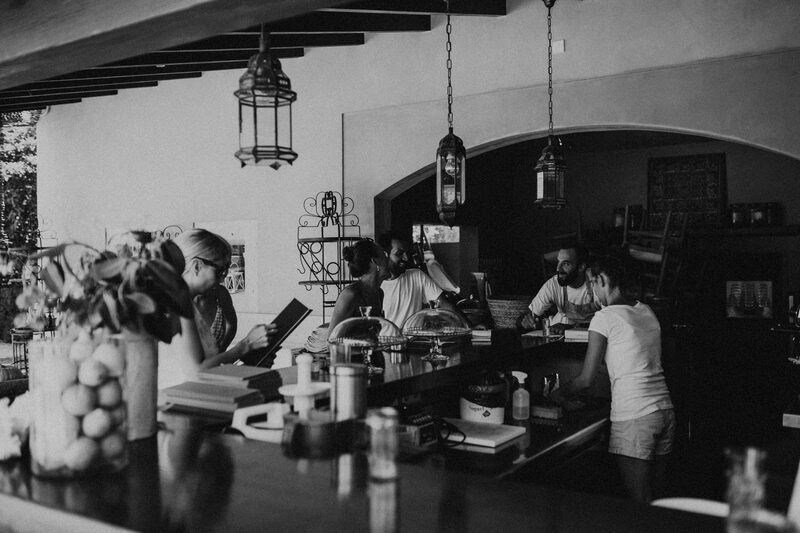 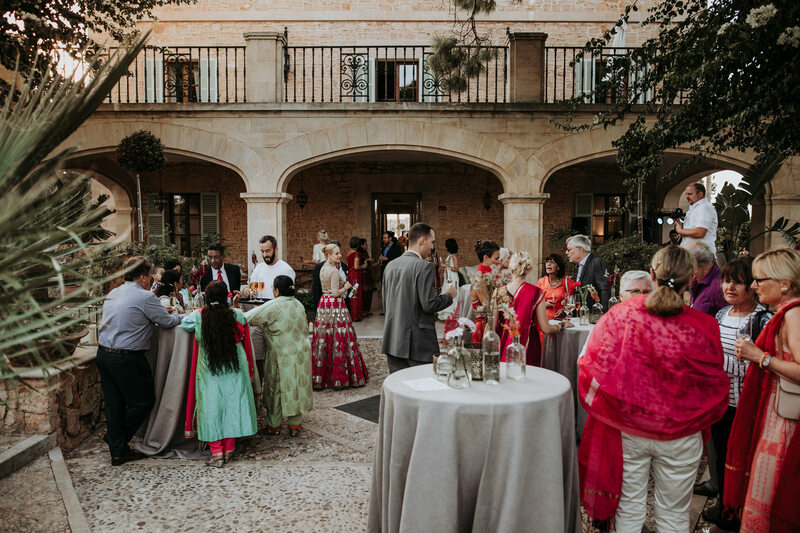 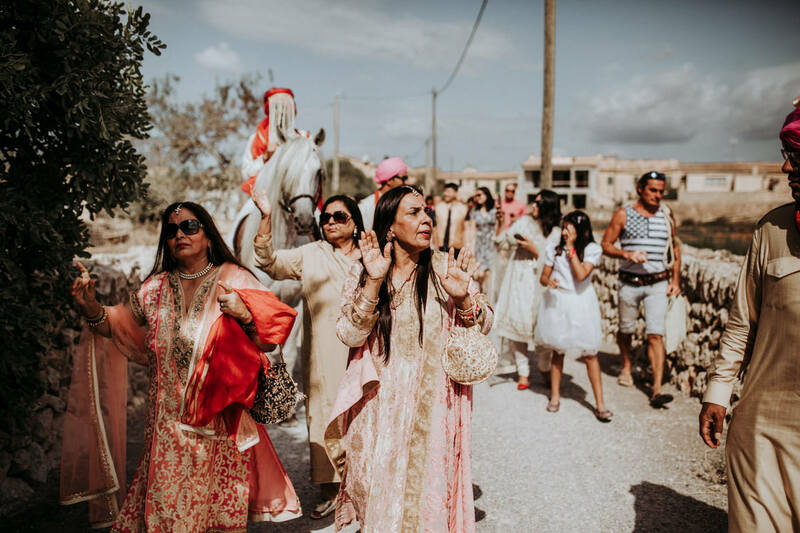 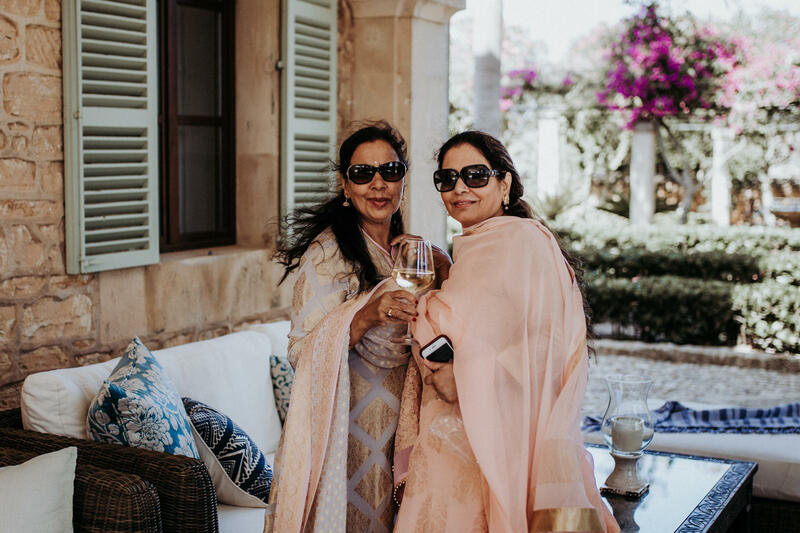 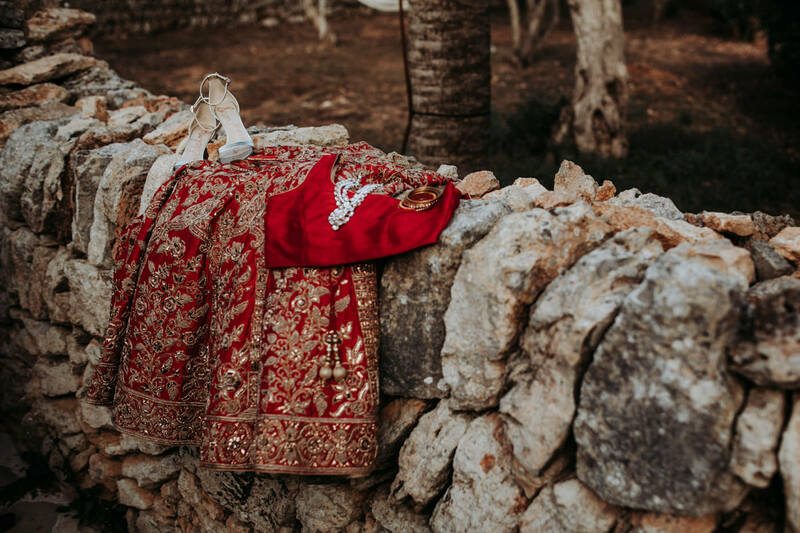 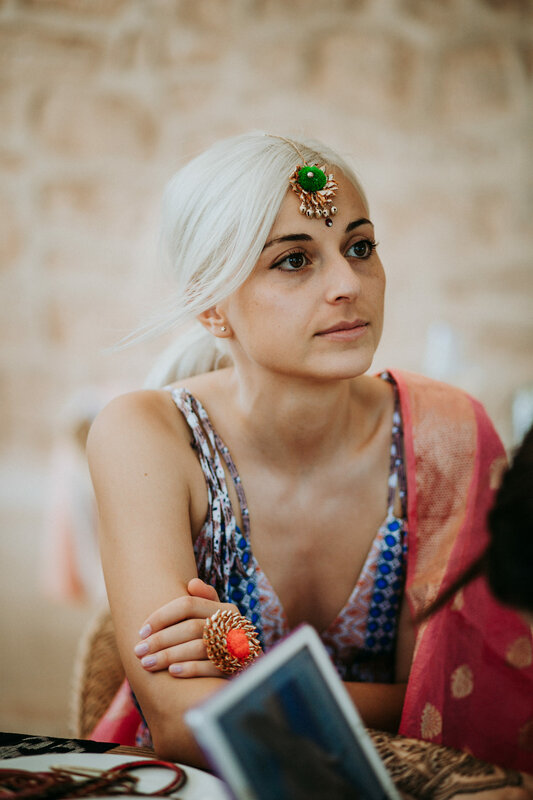 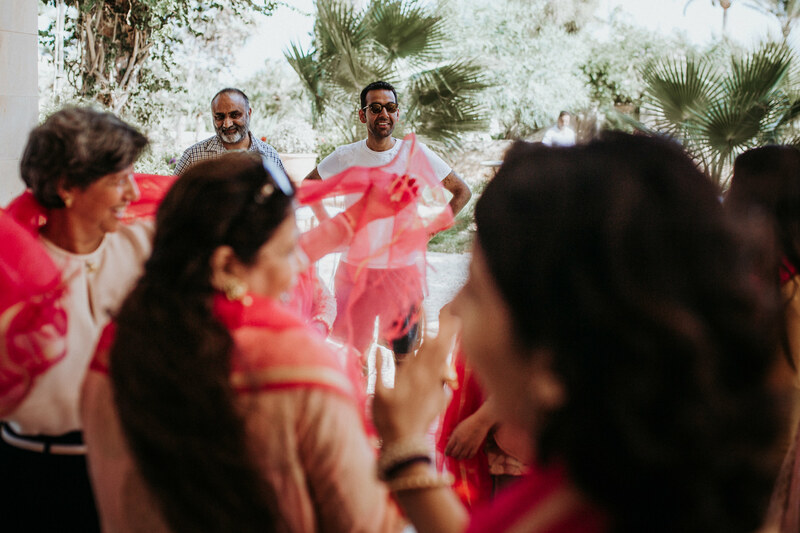 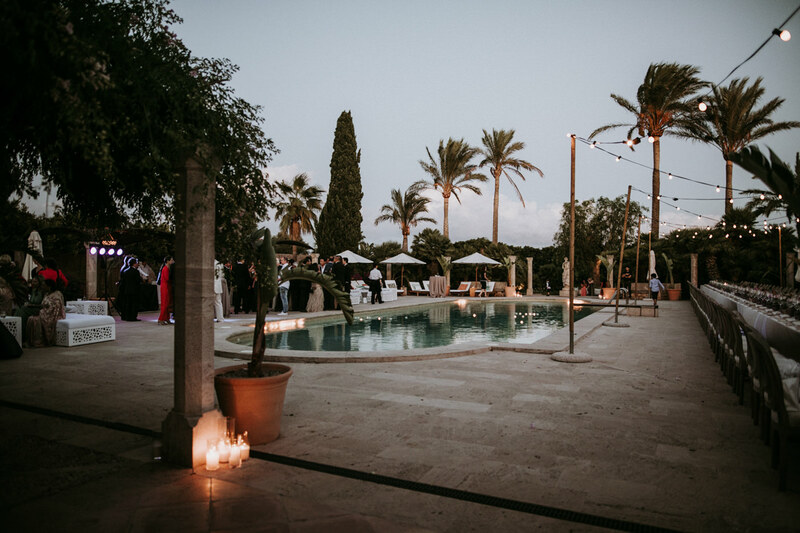 The wedding venue on Mallorca was so magical and Antje and Rajat are the most relaxed, awesome and cutest people I know. 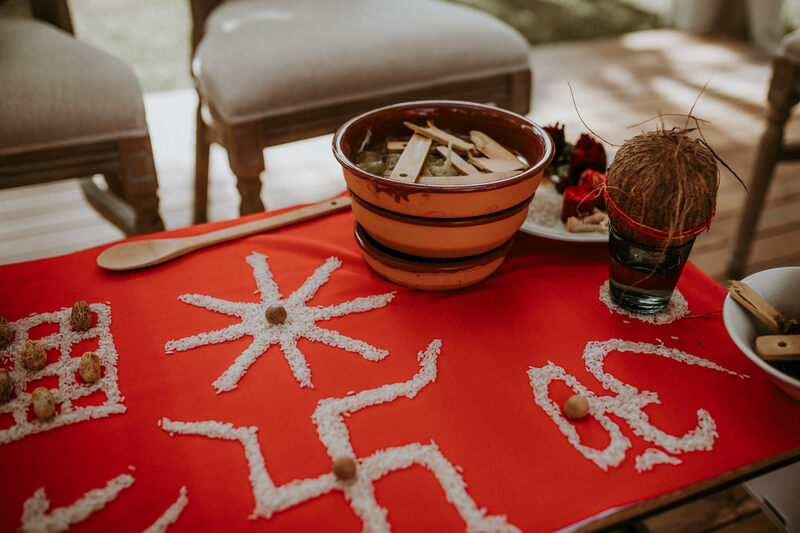 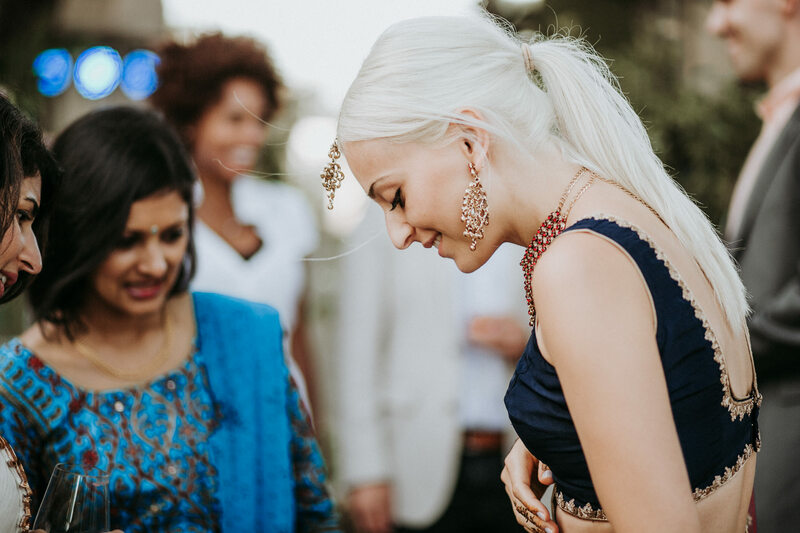 The whole wedding was like an Indian dream with Germans roots. 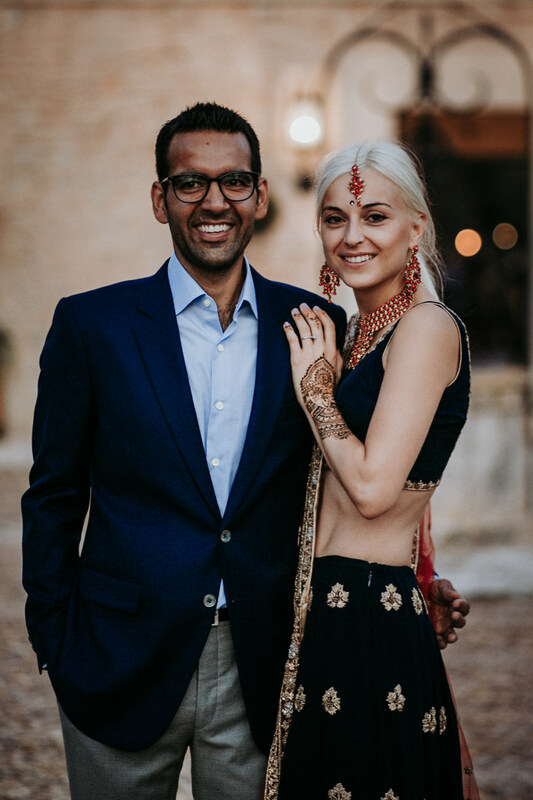 Antje is a German girl and Rajat was born in India. 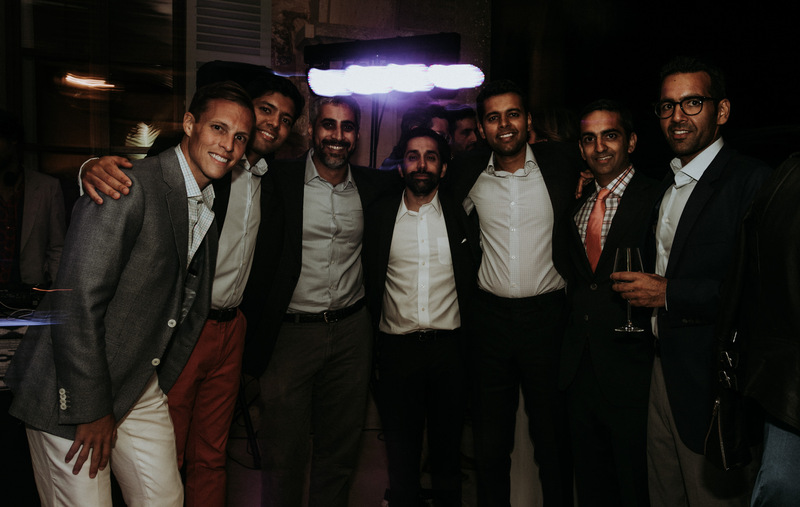 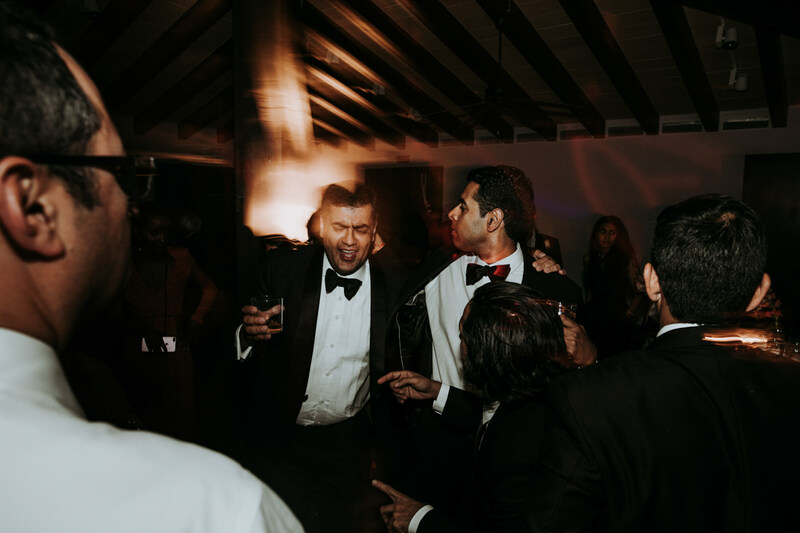 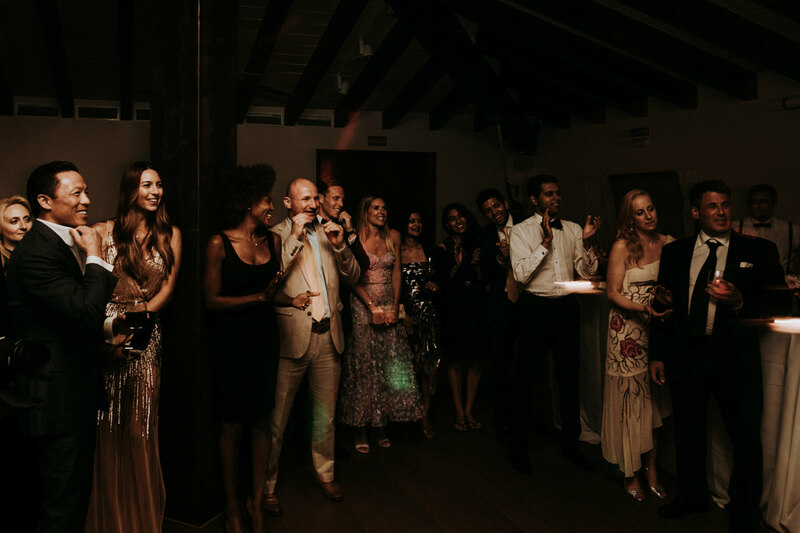 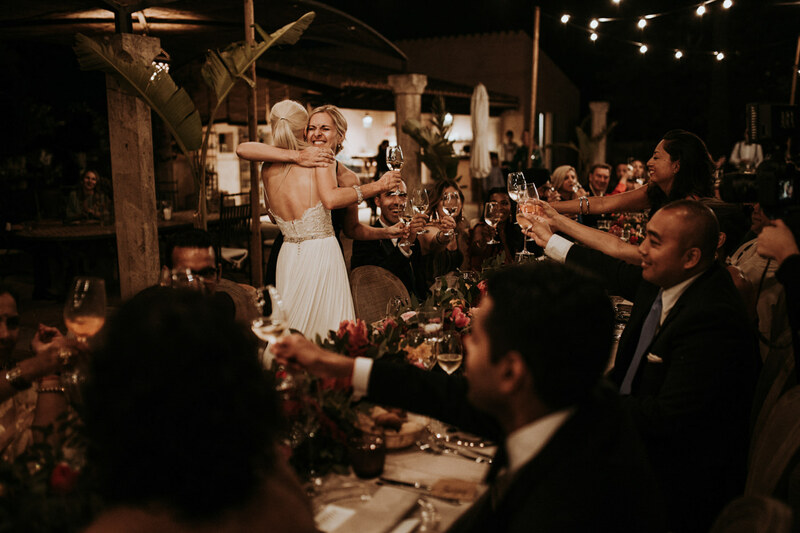 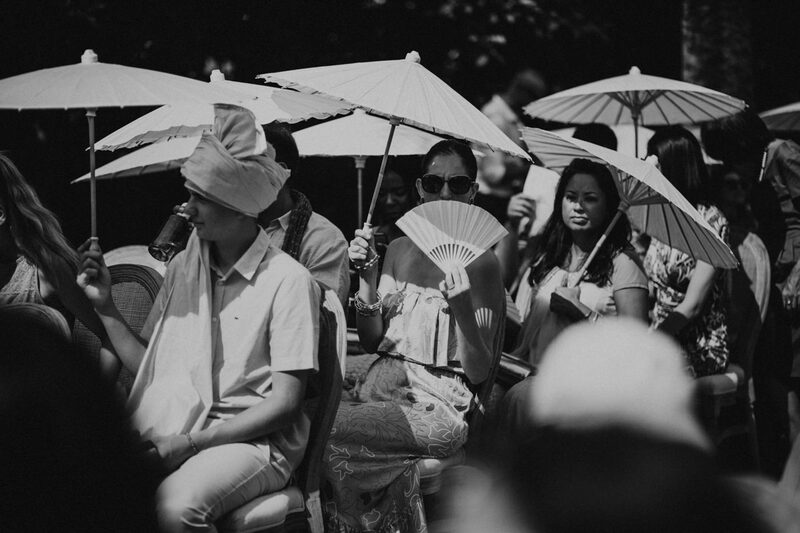 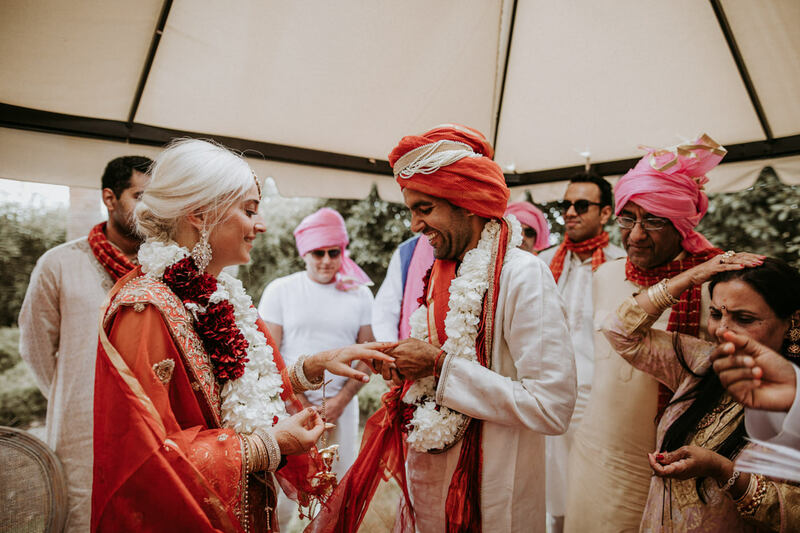 Both are living in New York and so you can imagine that all the guest came from all over the world to celebrate the amazing wedding with their friends and family. 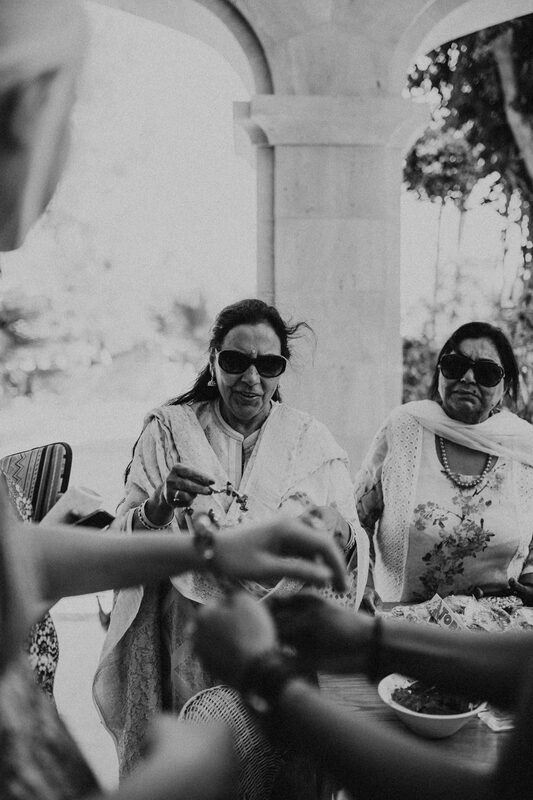 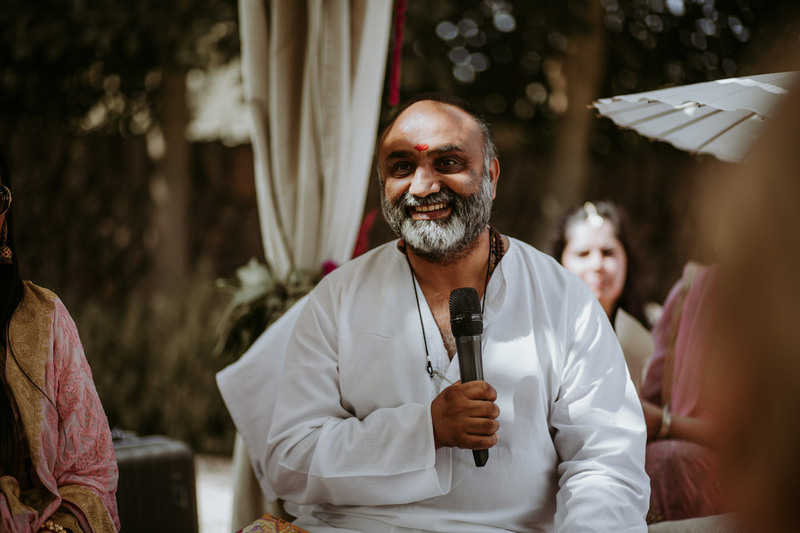 Rajat’s family still live in India and they are such heart-warming people. 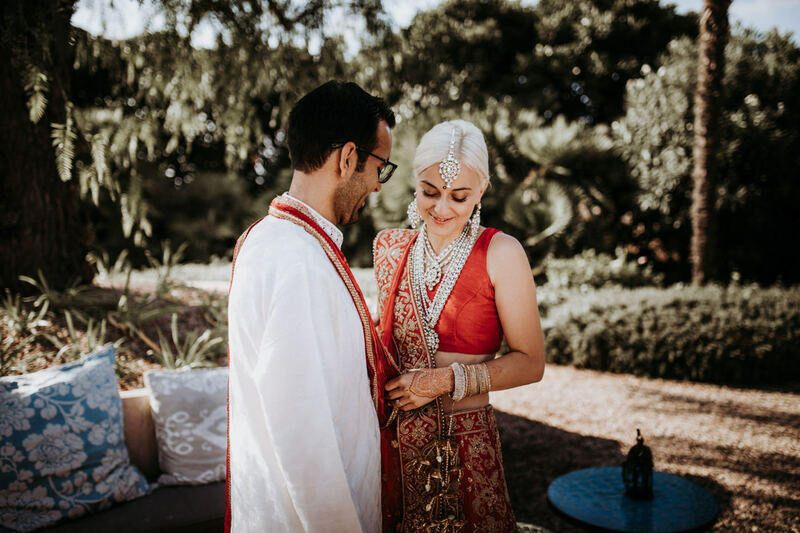 We are beyond grateful for the opportunity to capture their big day. 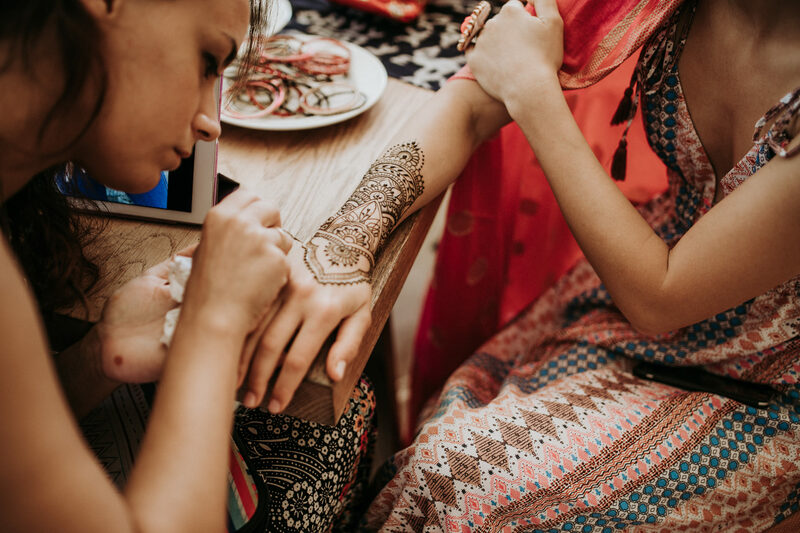 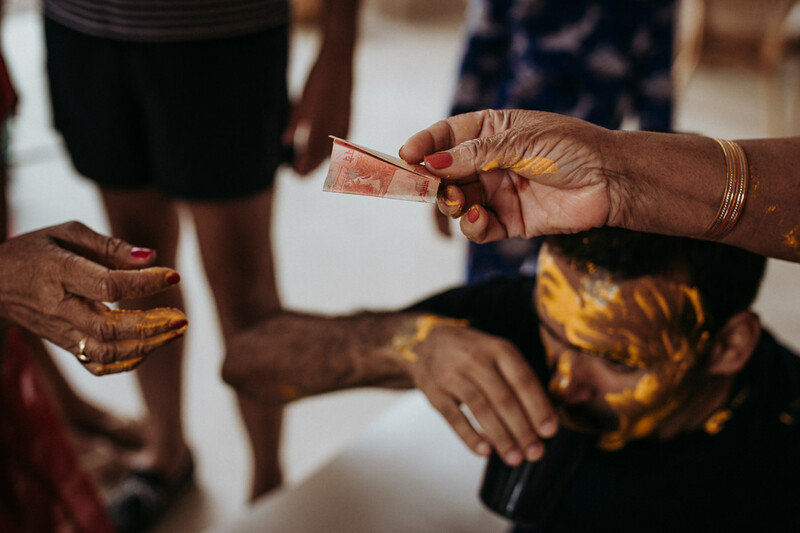 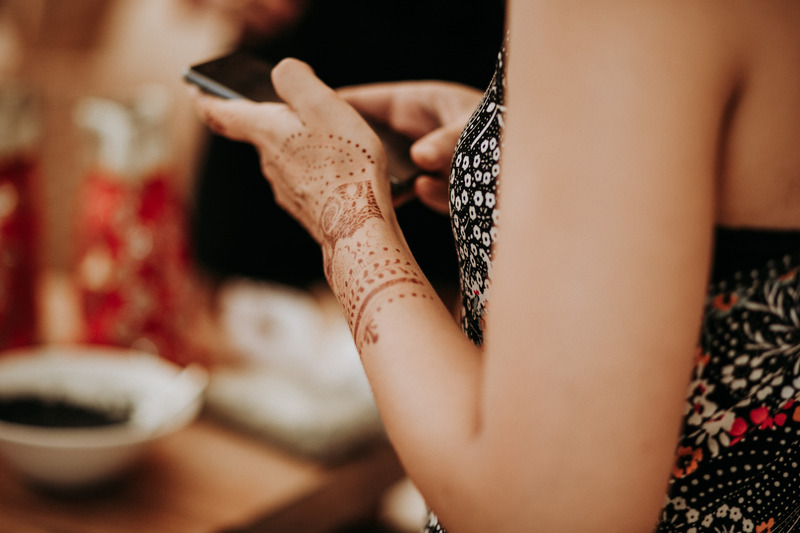 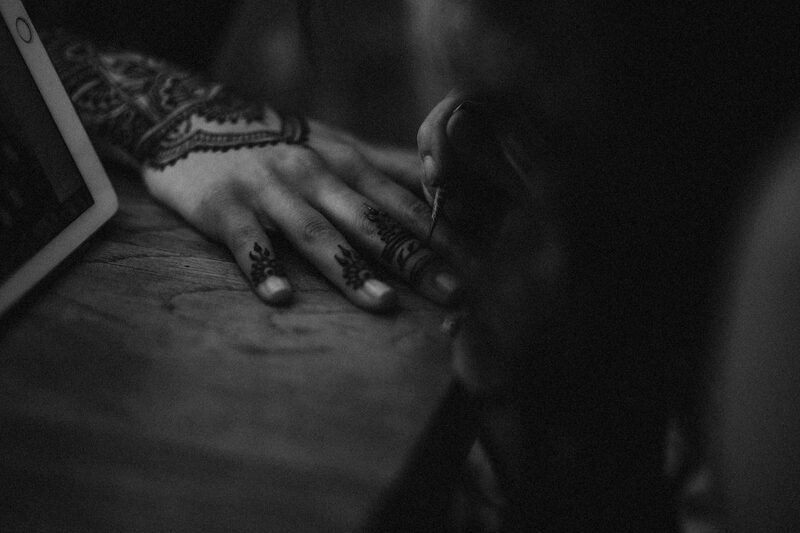 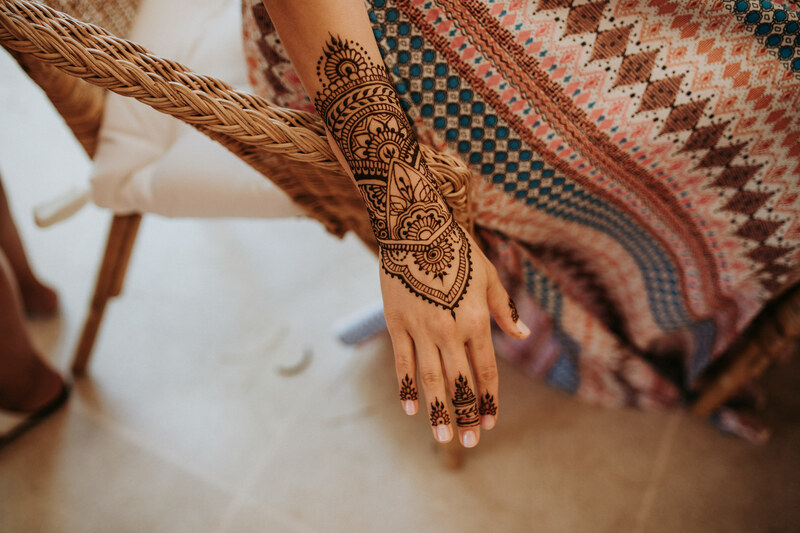 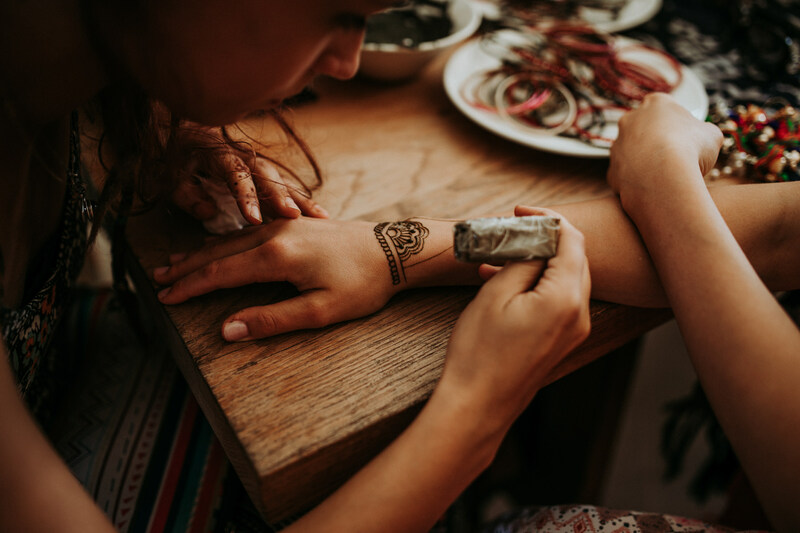 The day before the wedding day started with a henna session. 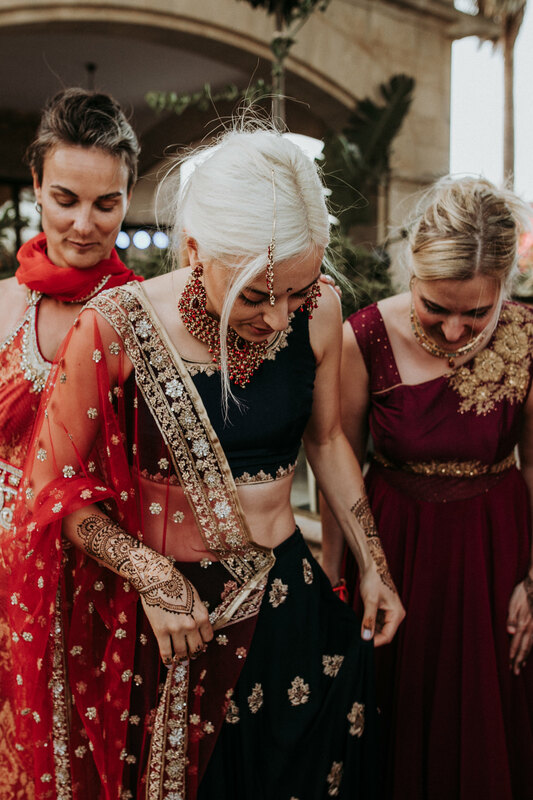 Everyone, not just the bride Antje were given an amazing henna tattoo on their arms and feet. 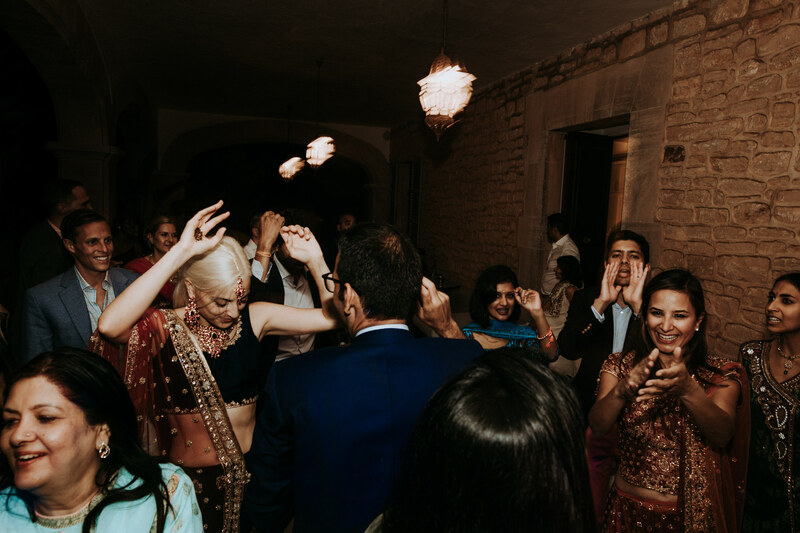 After which they had a plethora of Indian vegetarian and vegan food. 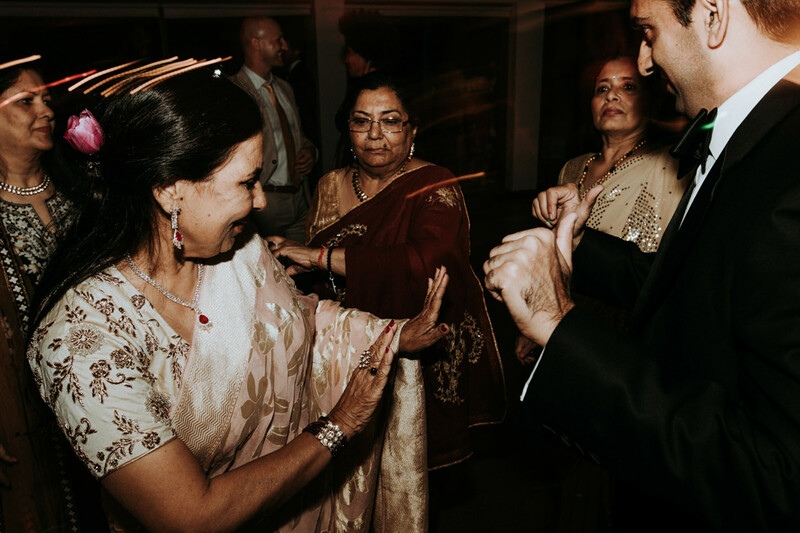 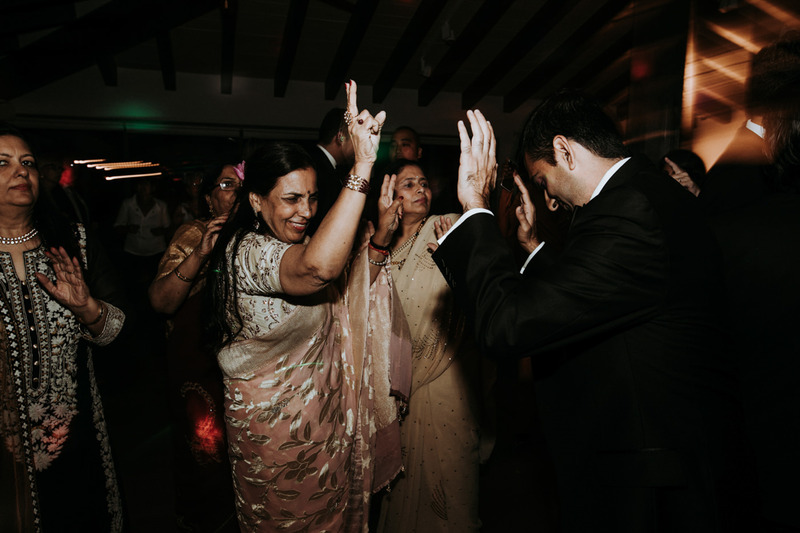 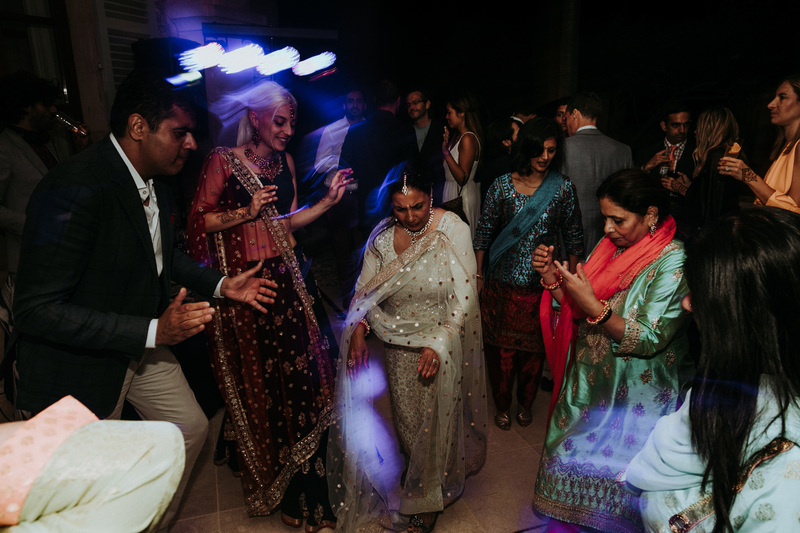 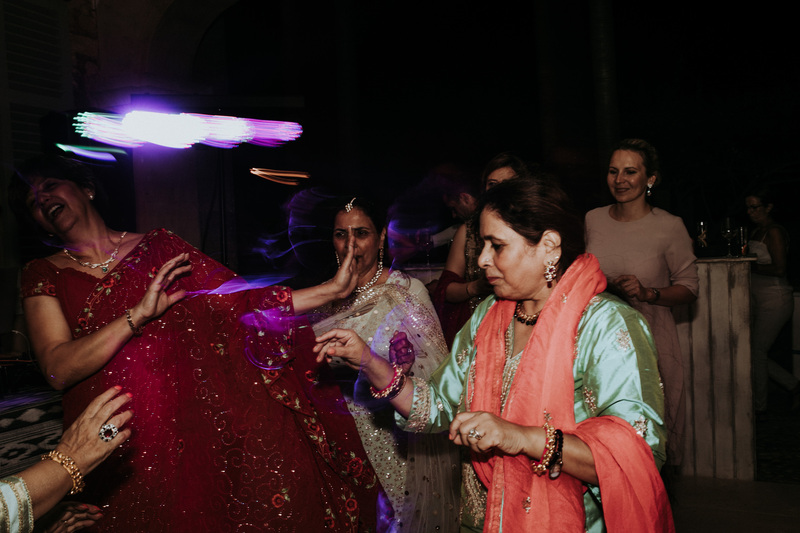 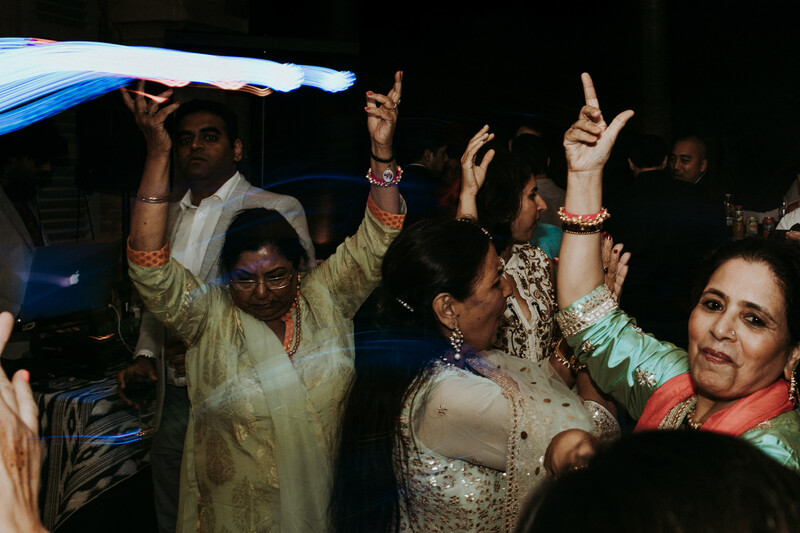 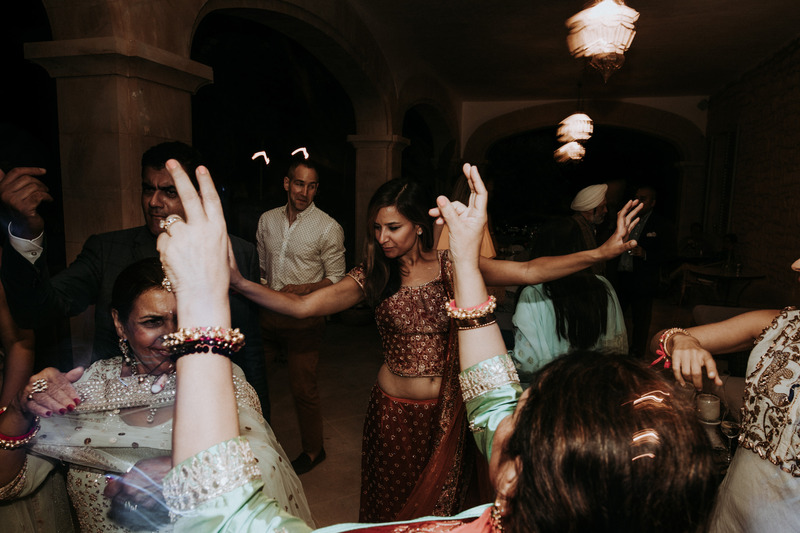 Later in the evening, the party really got started, everyone danced to Indian pop music. 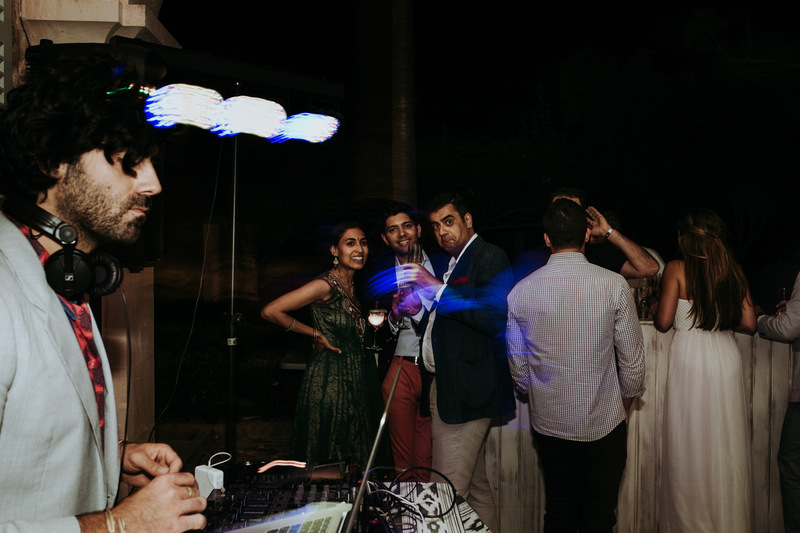 The DJ did such a great job and everybody looked amazing. 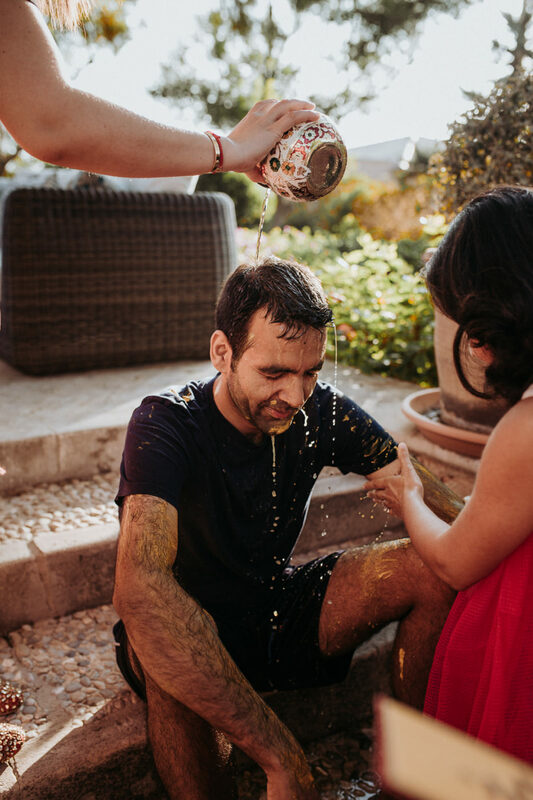 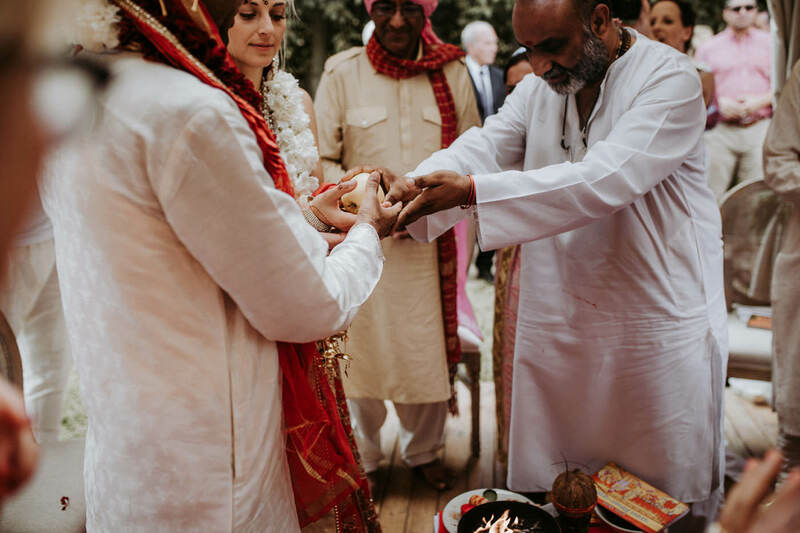 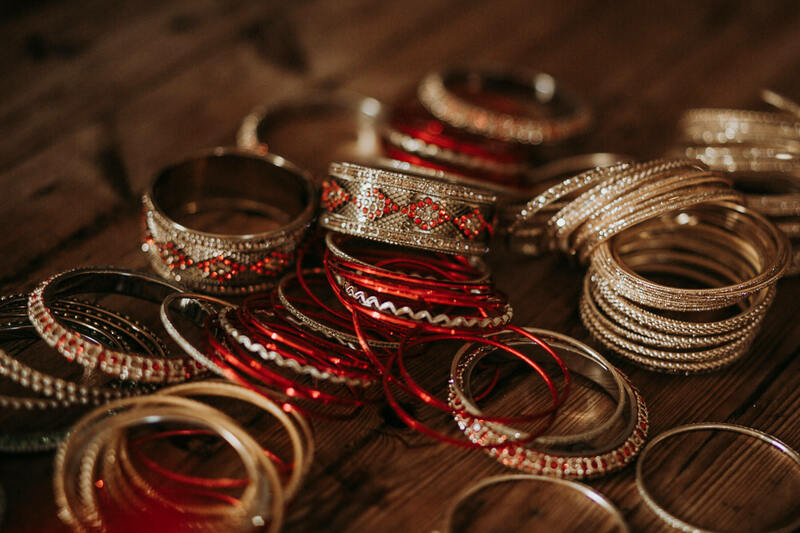 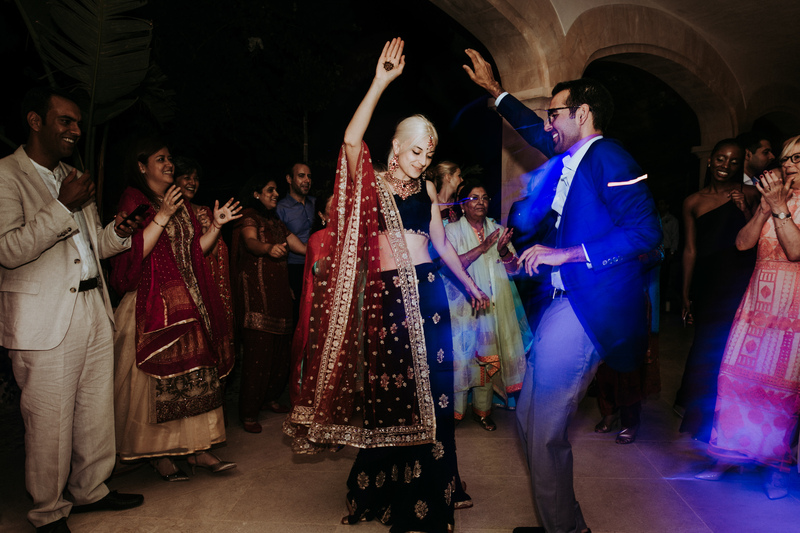 The next day started with a very small getting ready party for Antje and Rajat that included Indian traditions. 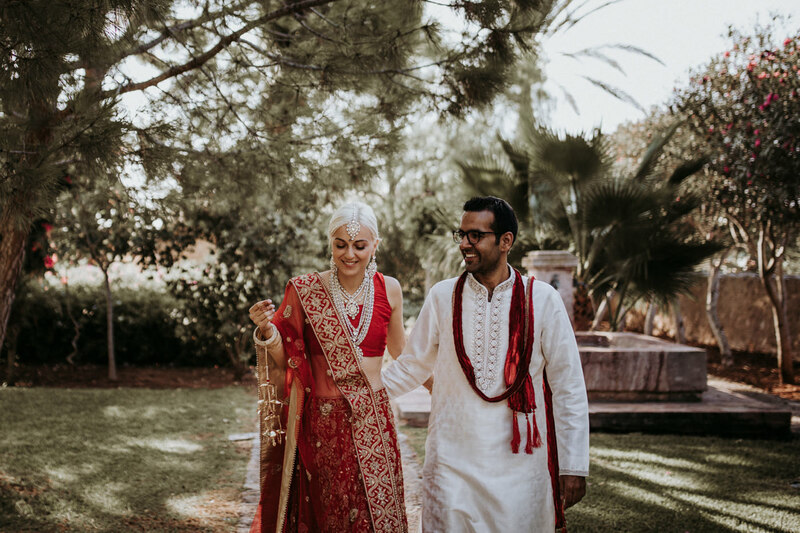 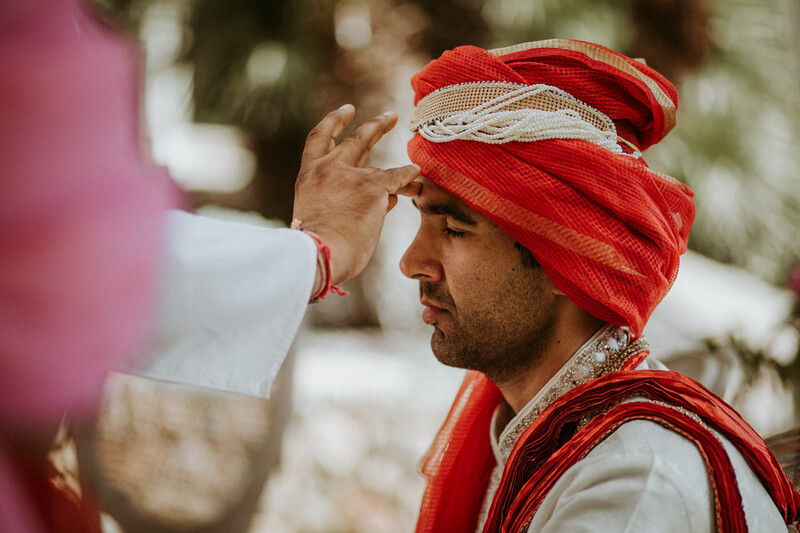 Before the ceremony, we had a small couple shoot with the bride and groom in traditional Indian clothes. 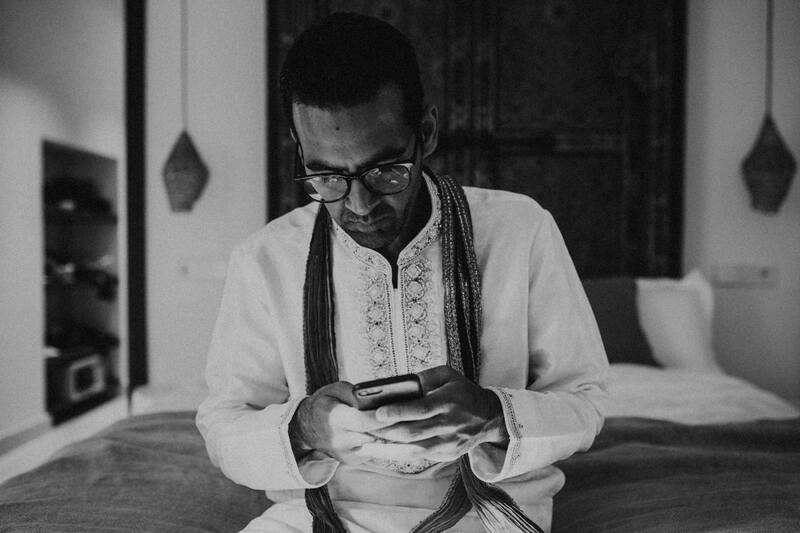 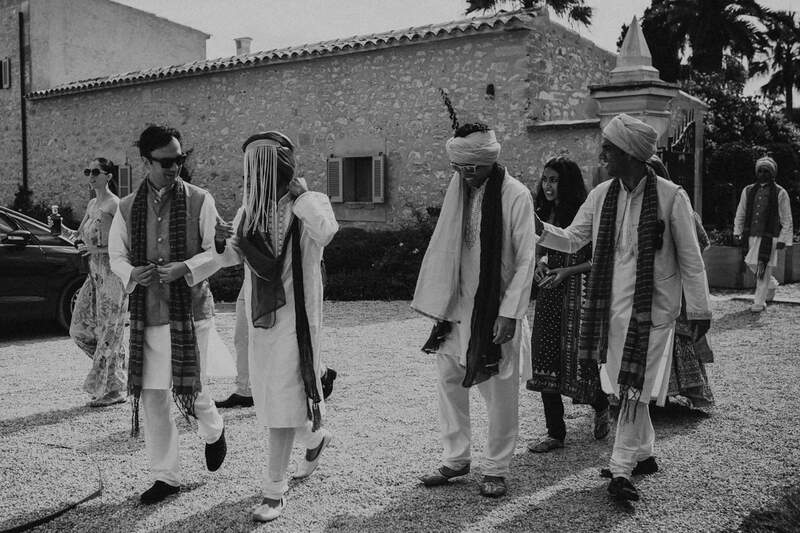 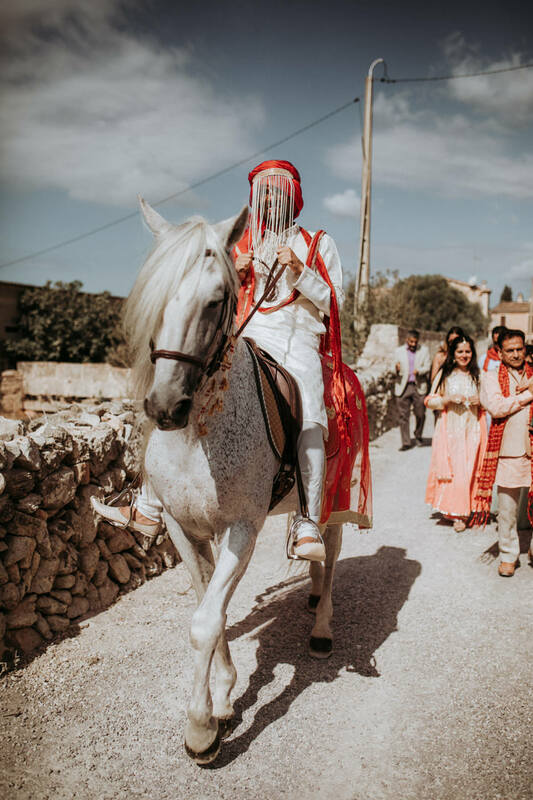 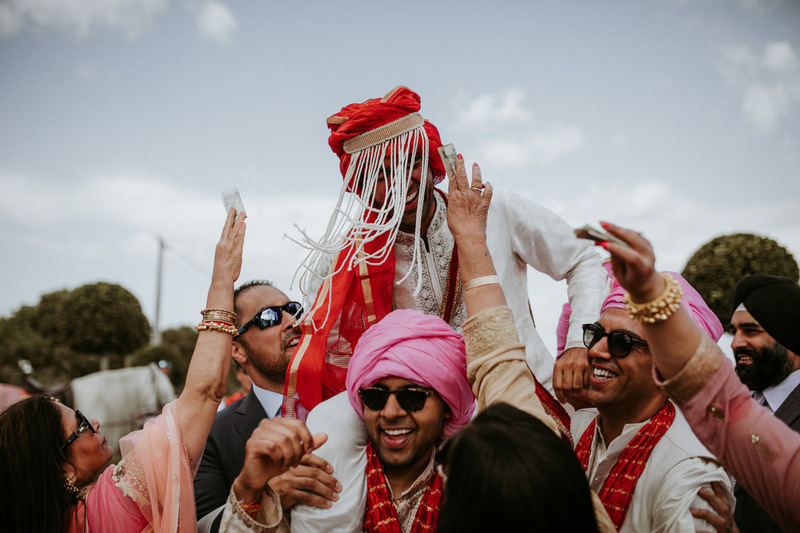 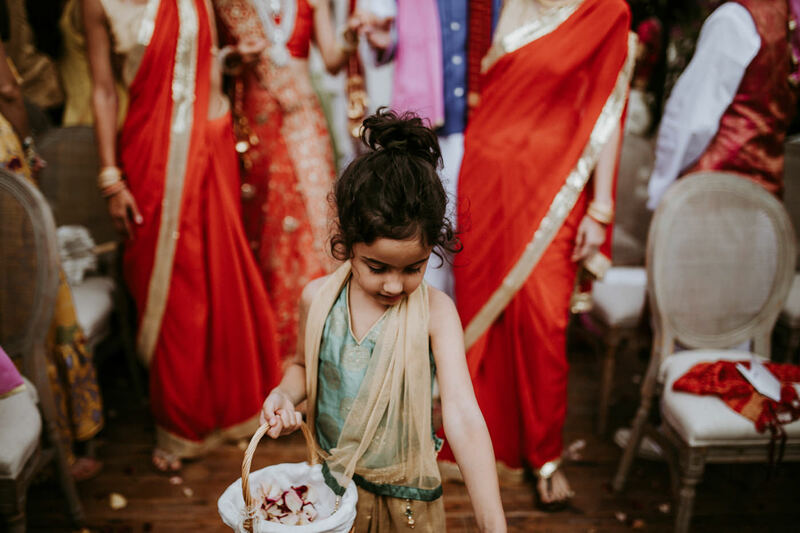 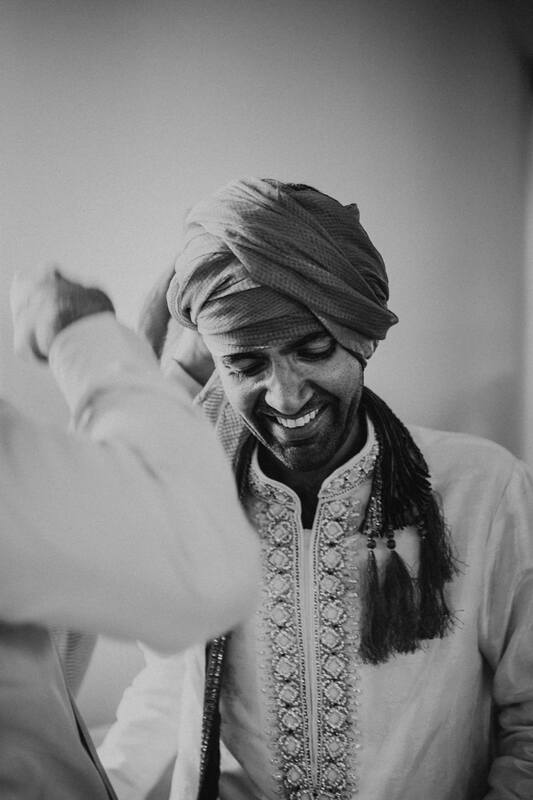 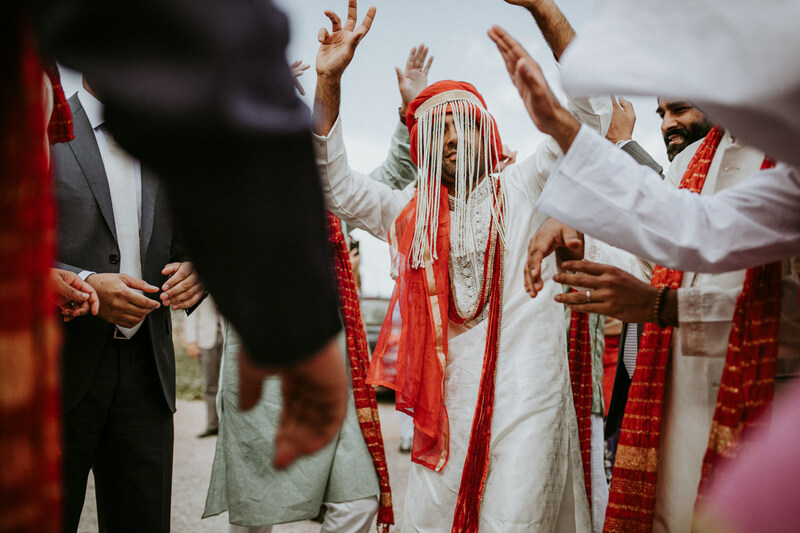 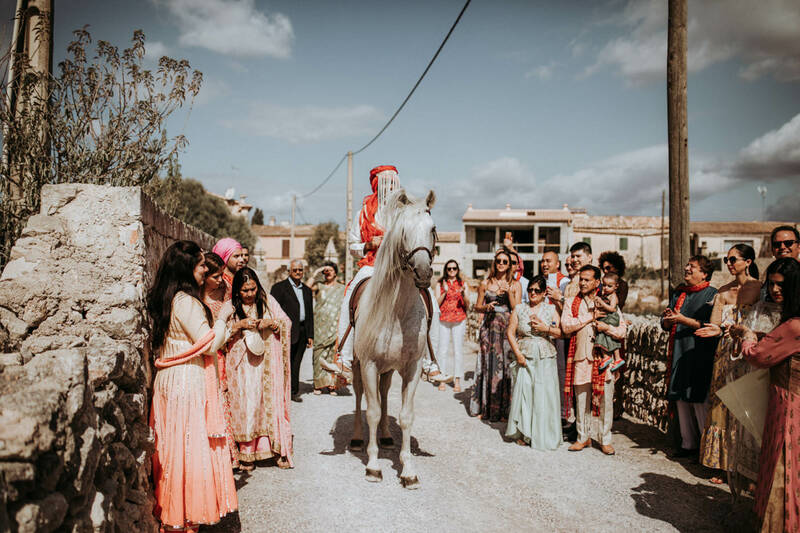 the ceremony began with Rajat riding in on a horse. 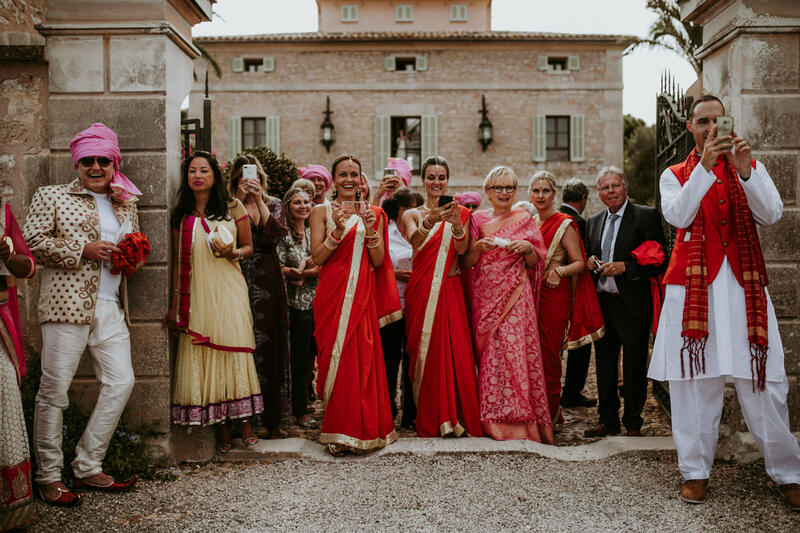 Following this Antje came in accompanied by her father and her bridesmaids. 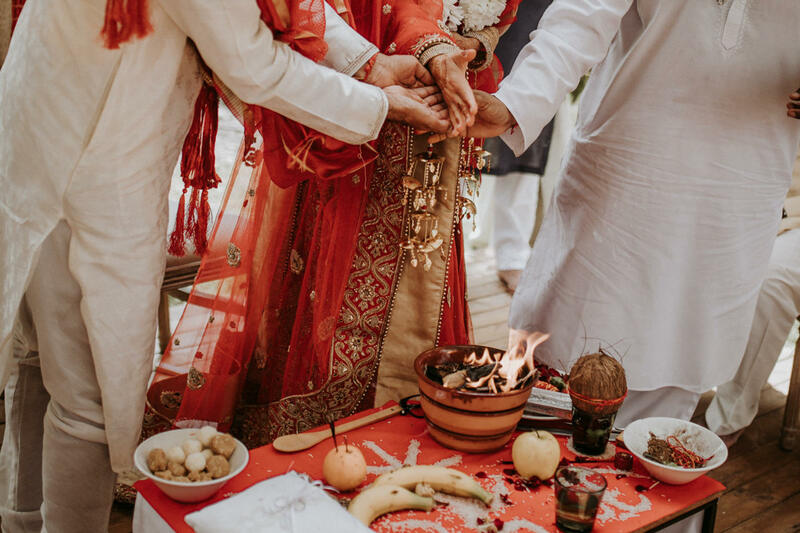 The traditional wedding ceremony lasted around 3 hours. 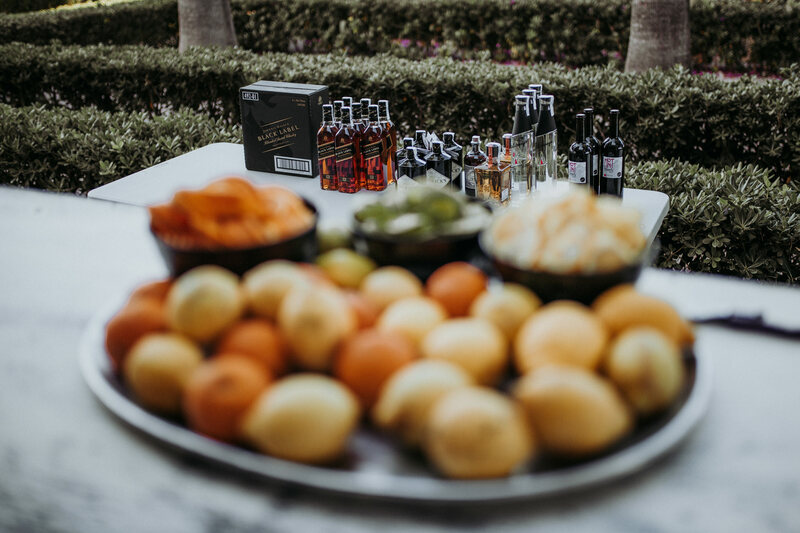 Cocktail hour followed and everyone was refreshed with drinks and fresh food. 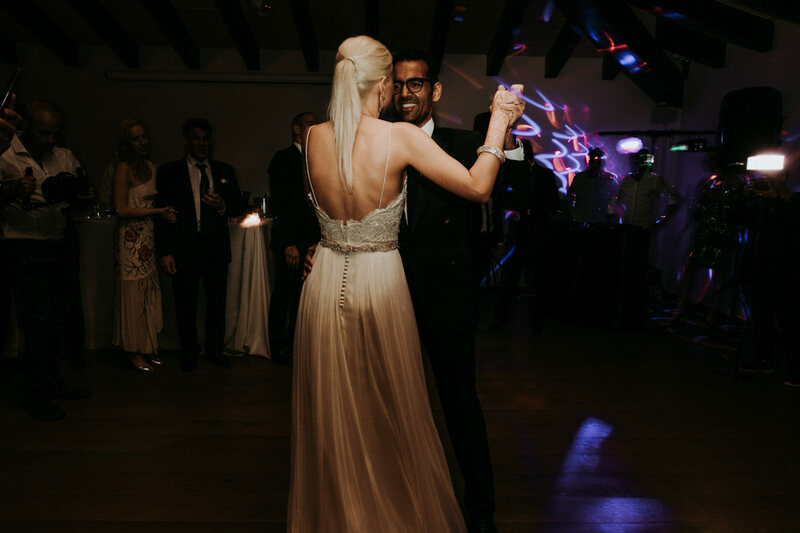 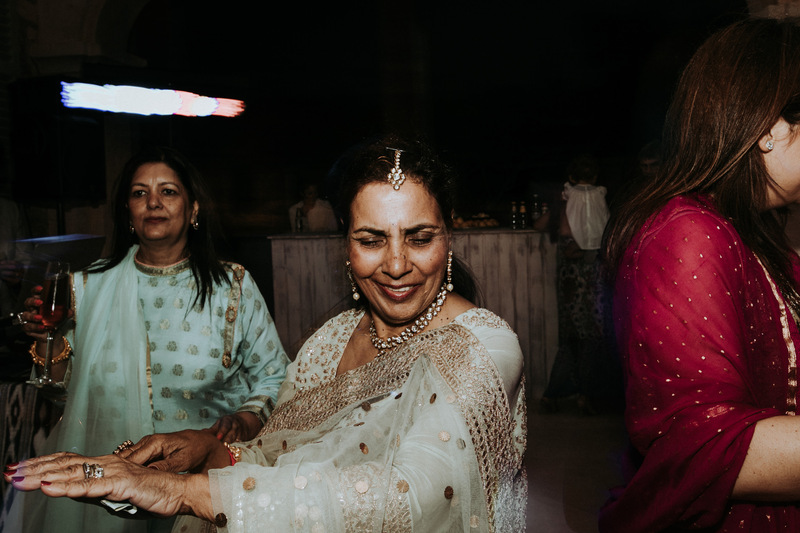 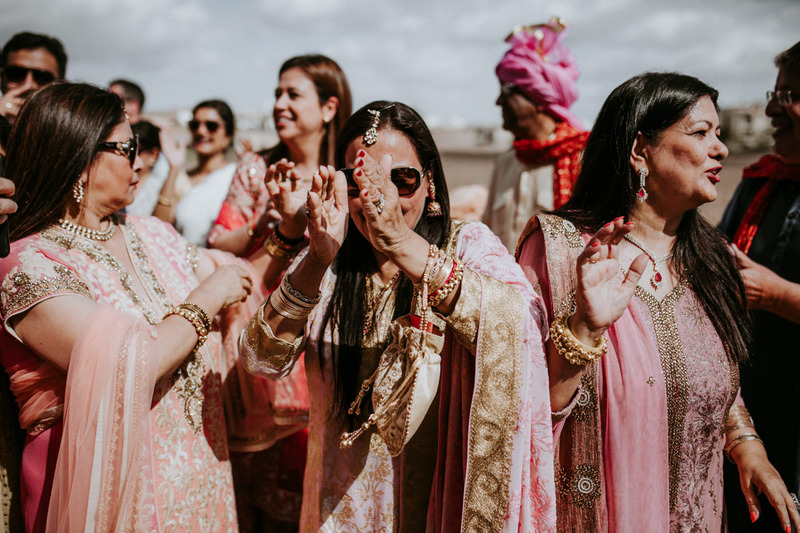 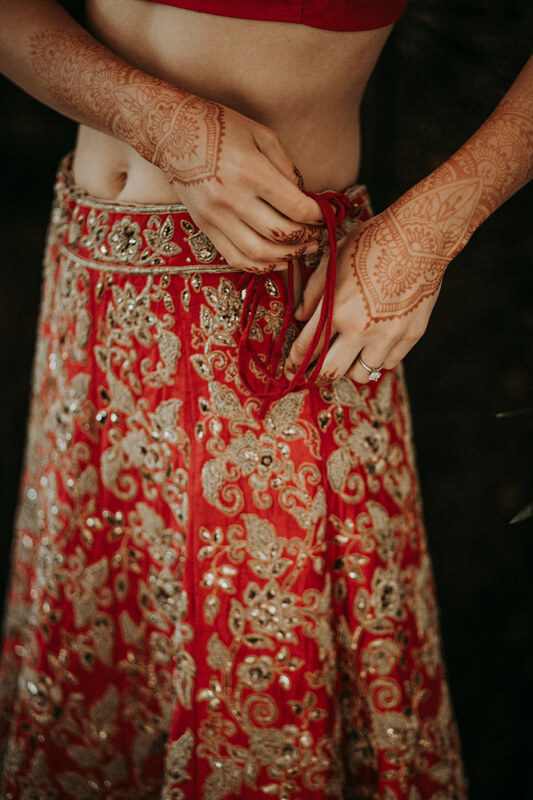 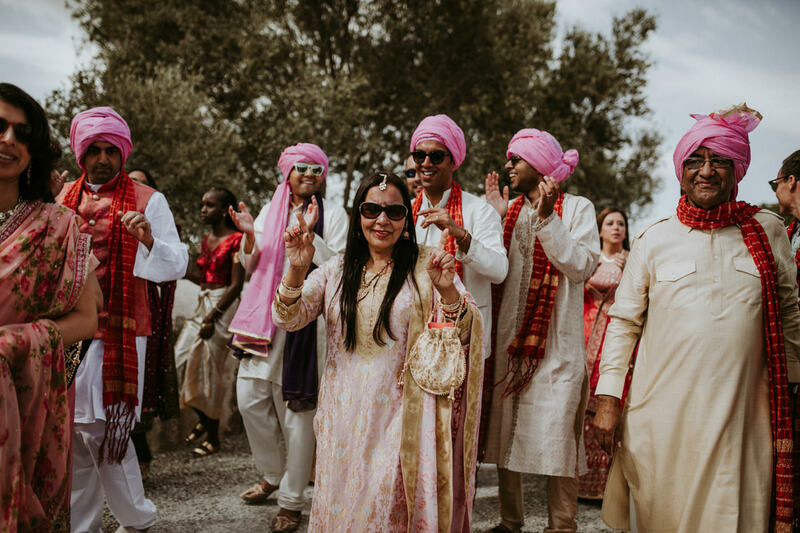 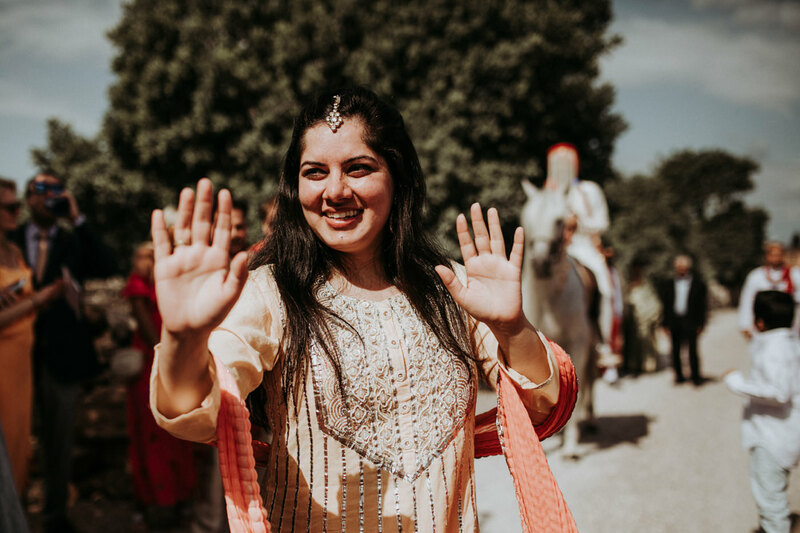 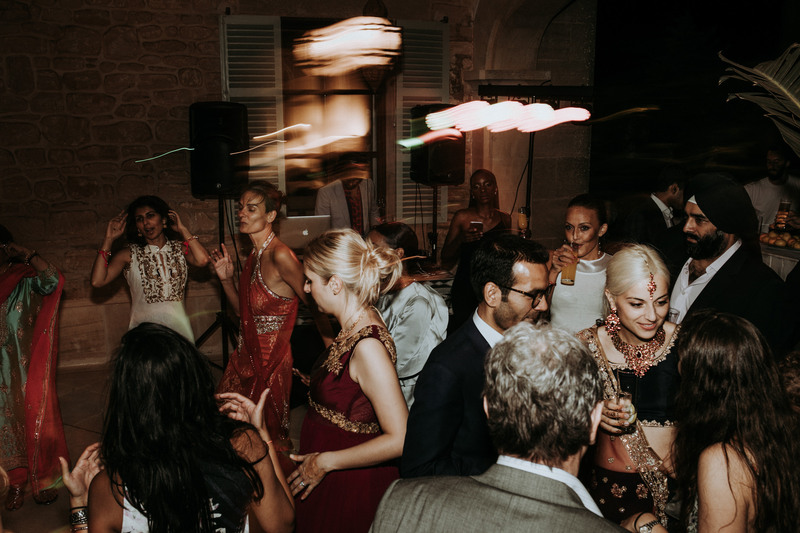 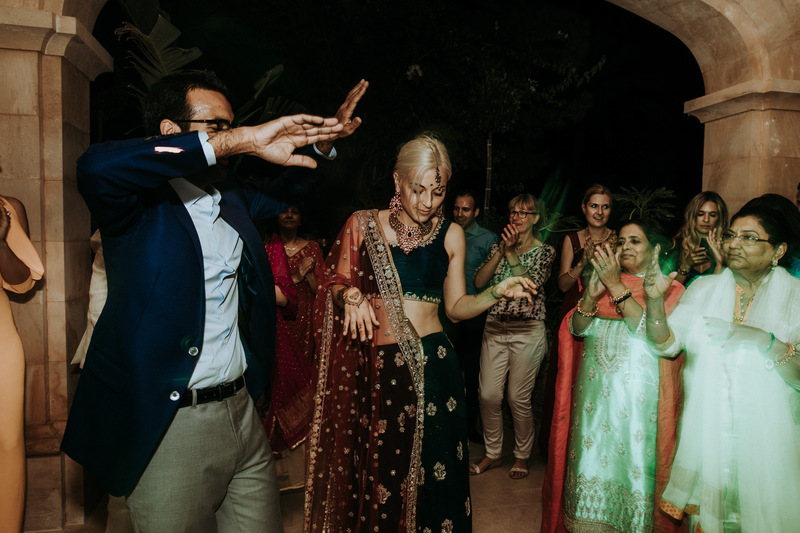 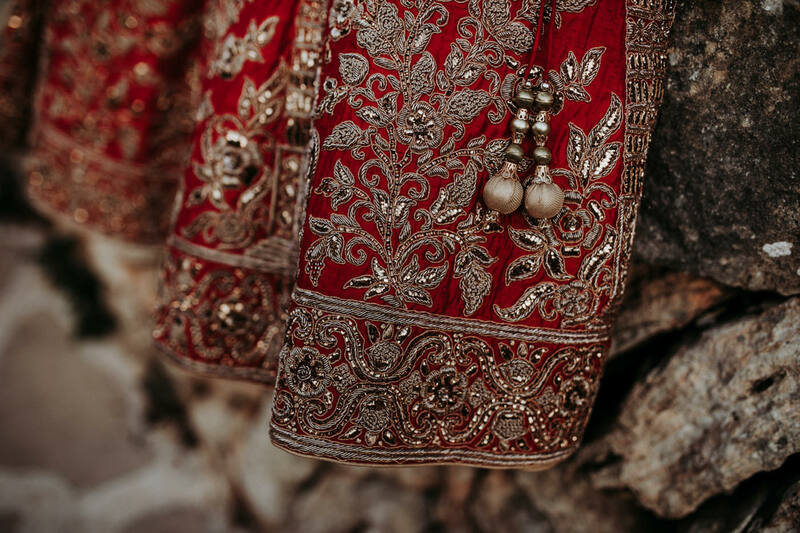 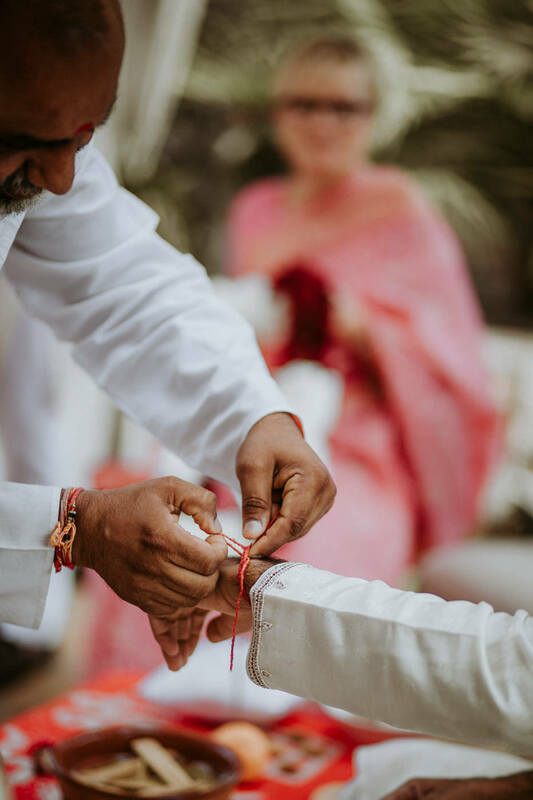 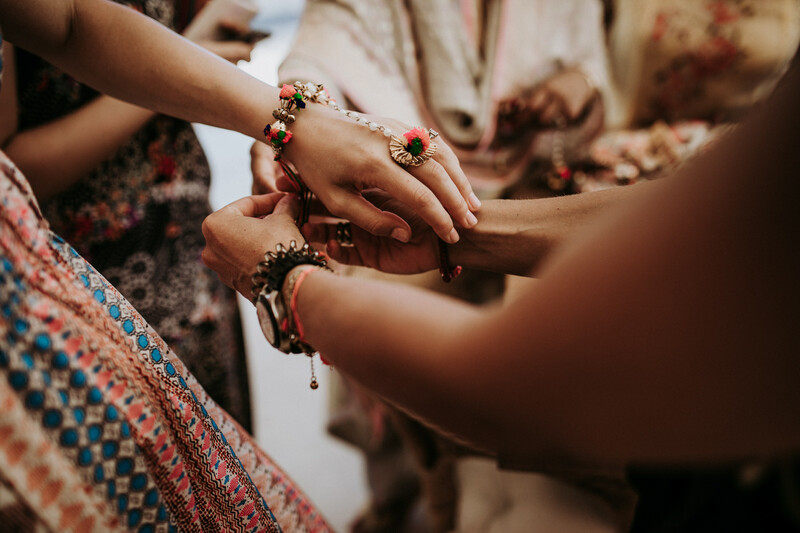 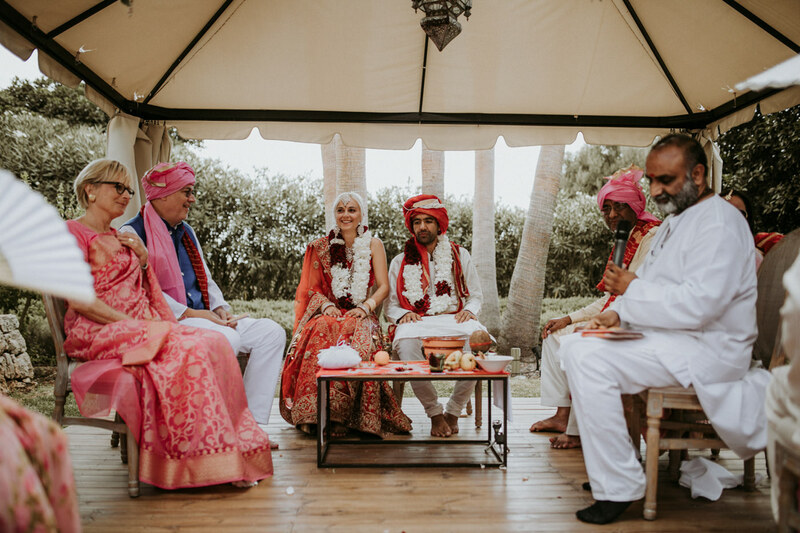 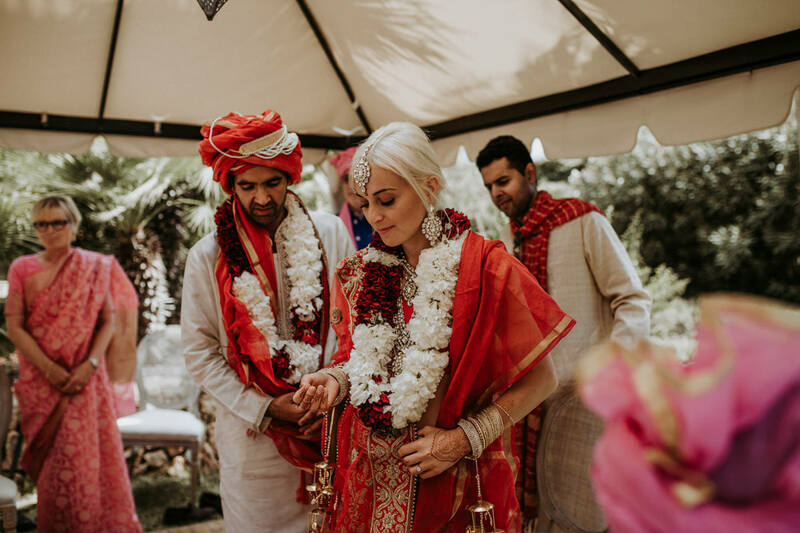 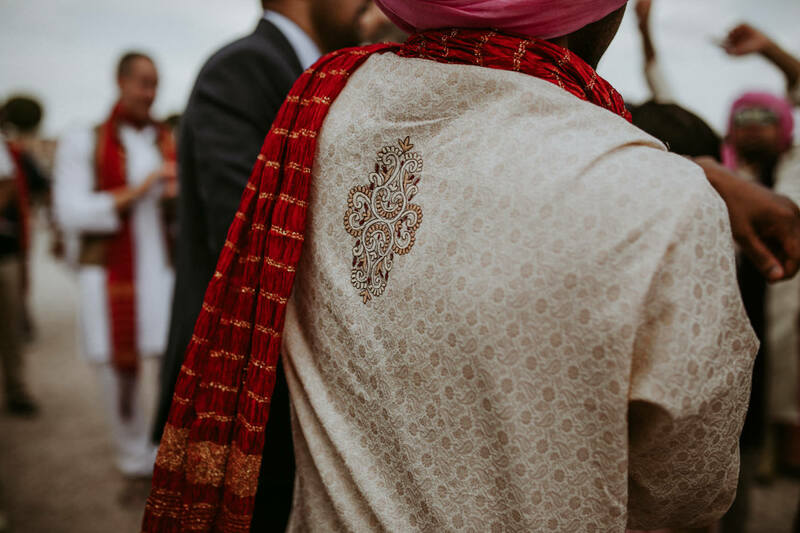 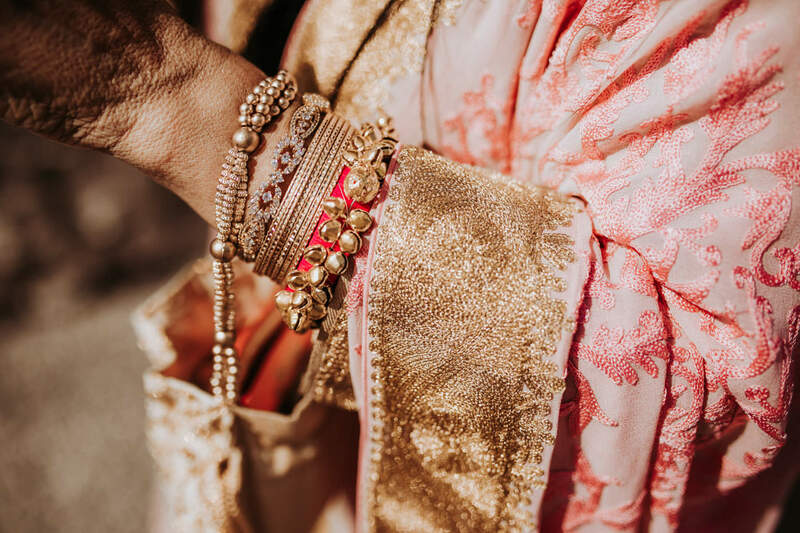 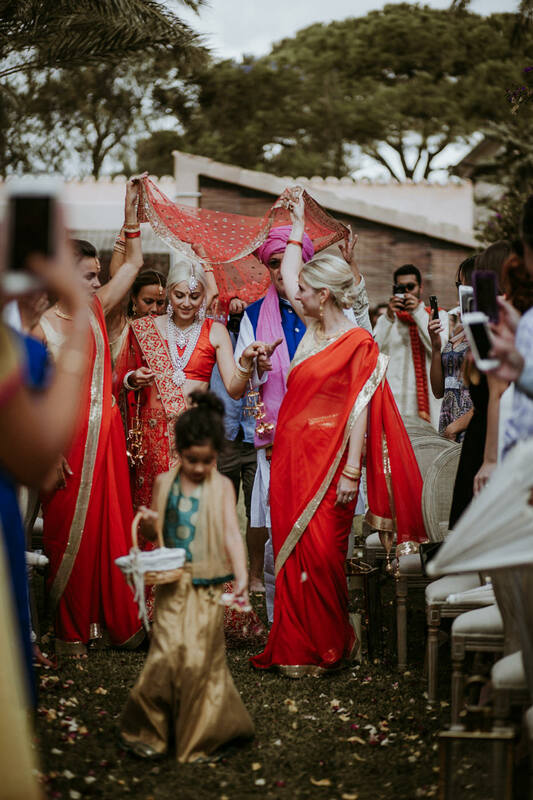 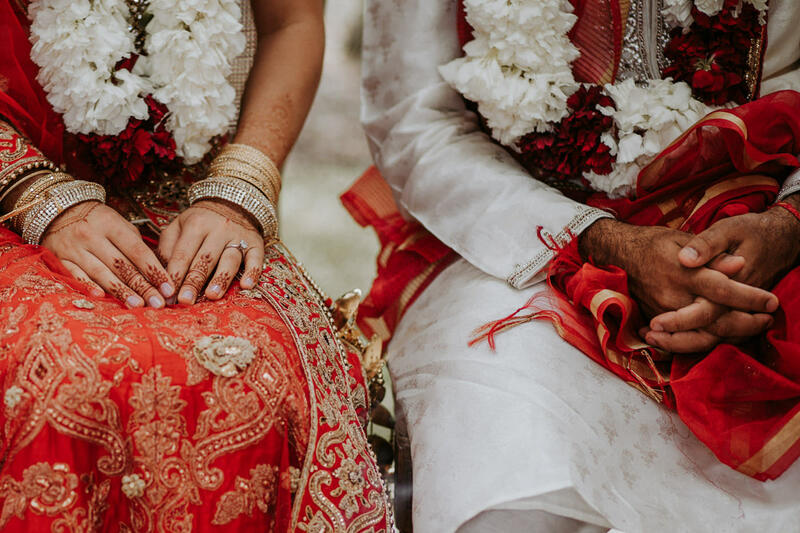 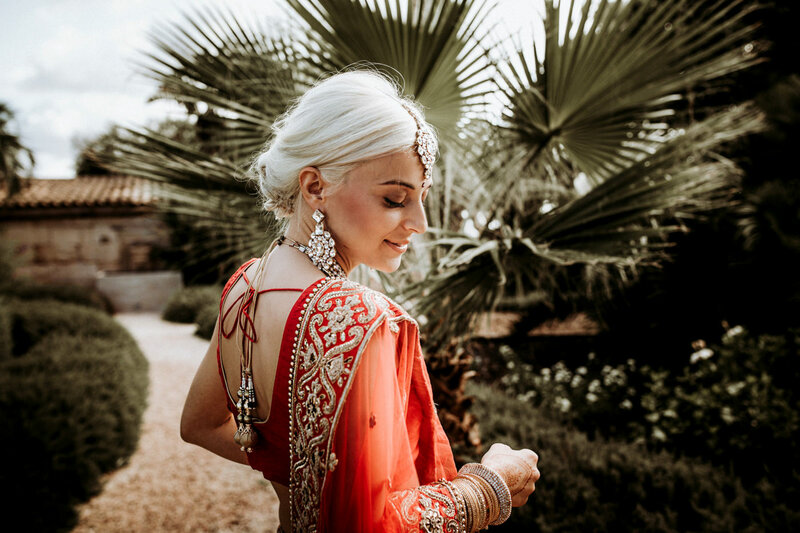 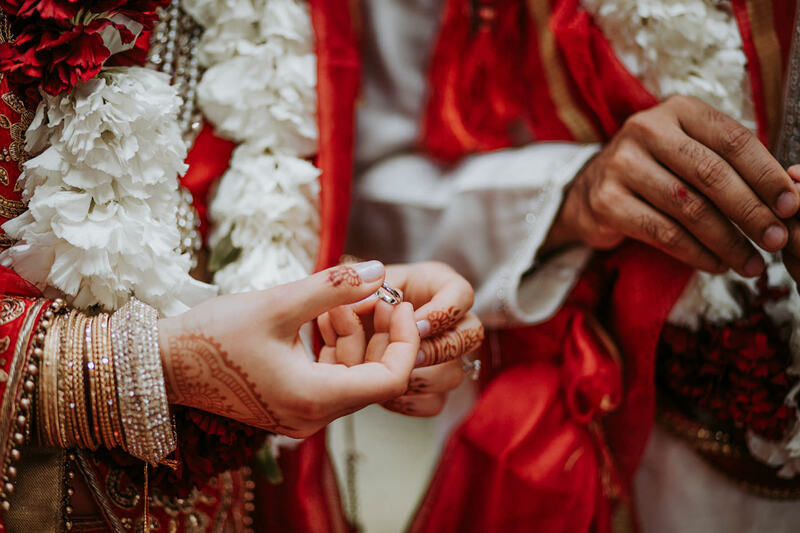 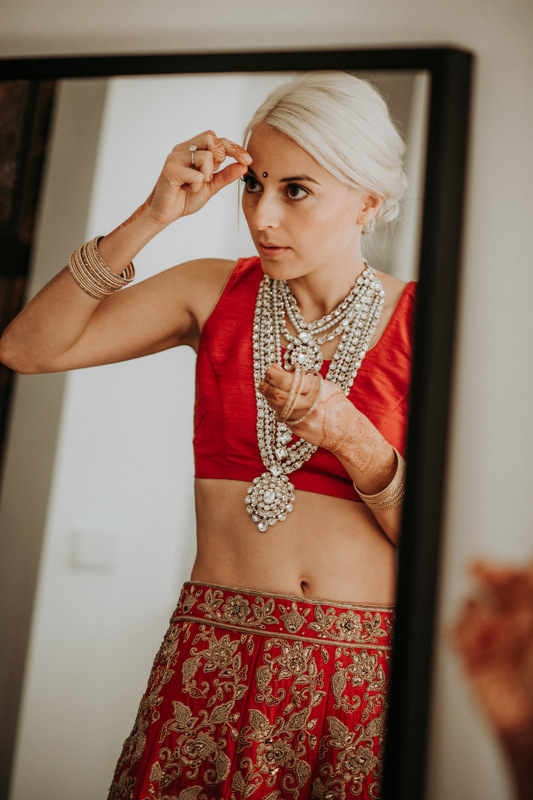 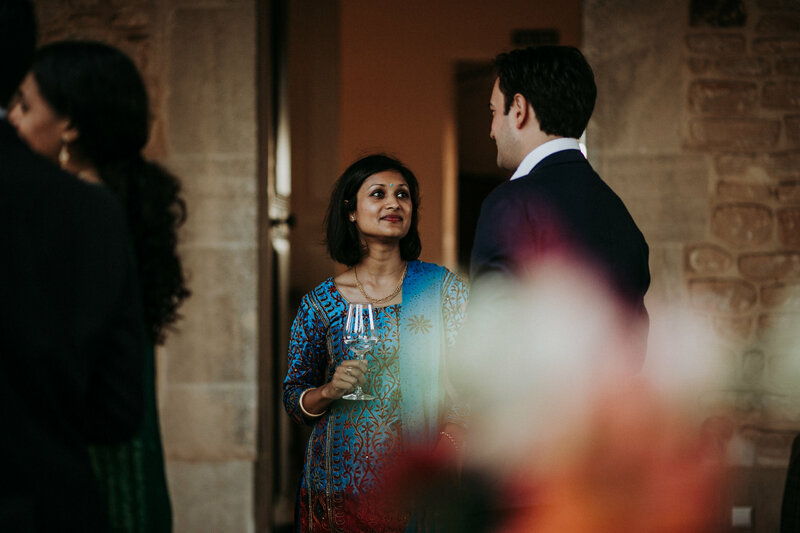 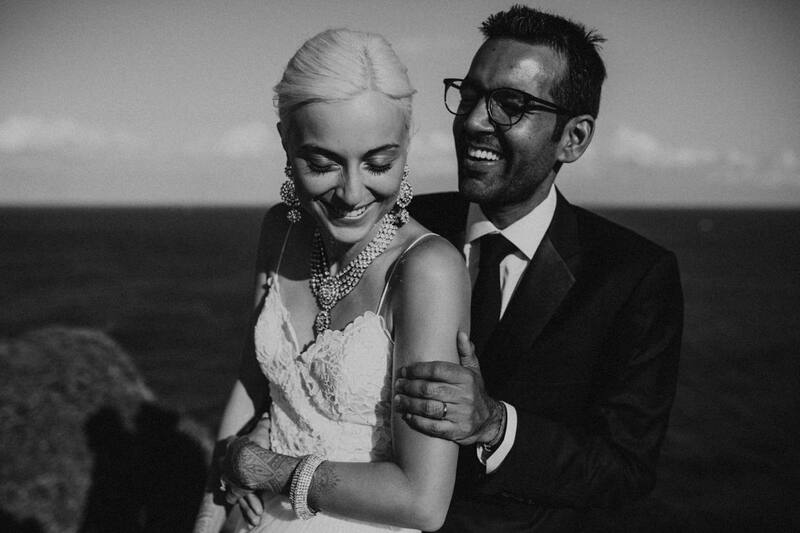 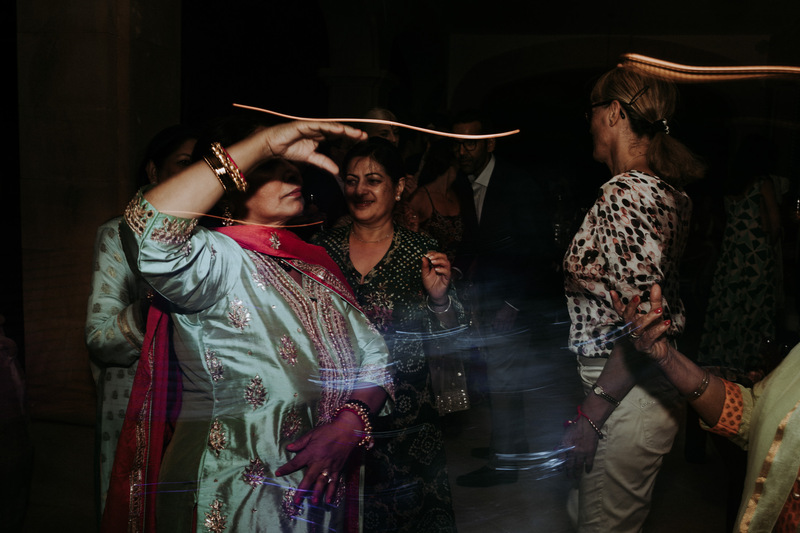 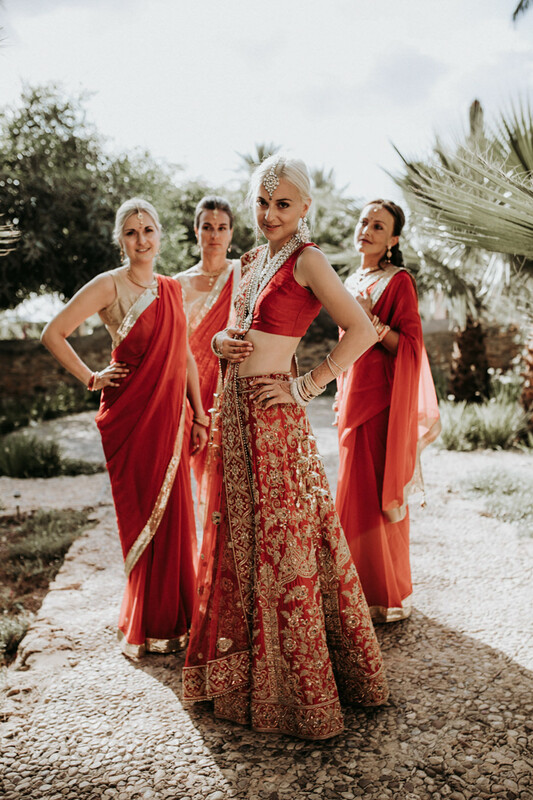 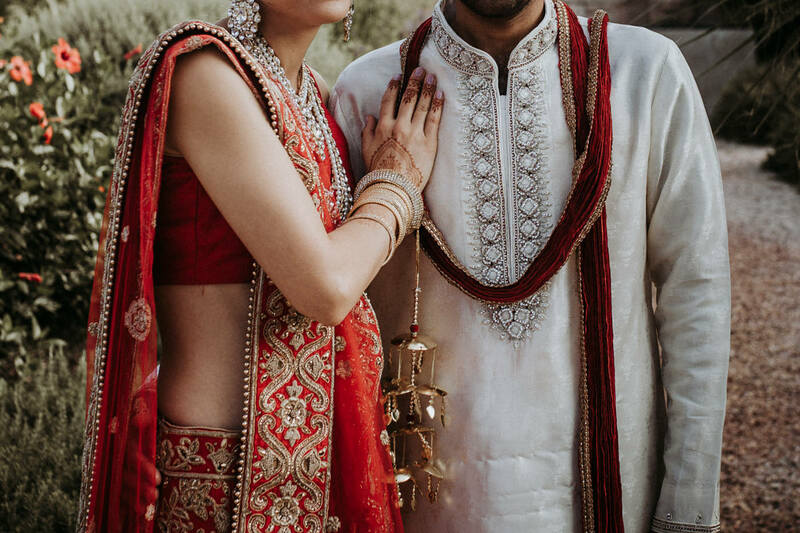 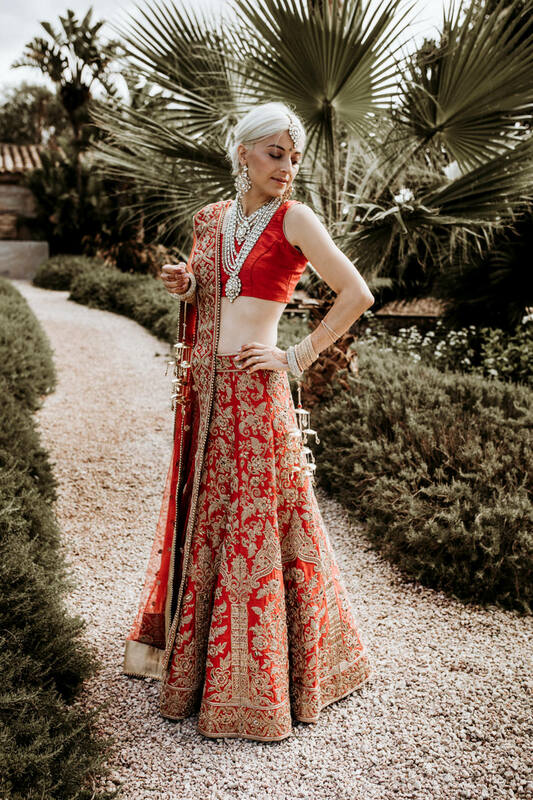 After food and drinks, the second half of the day proceeded, a German wedding reception started with a quick outfit change for Antje and Rajat. 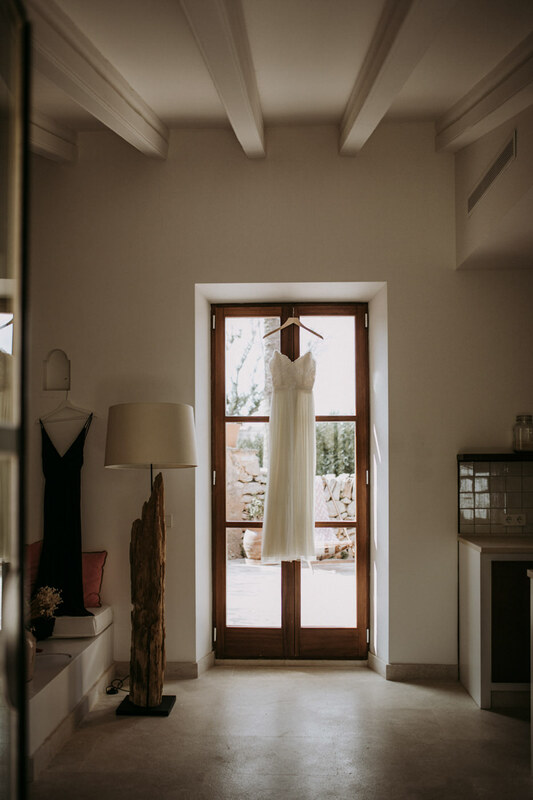 She was stunning in her white dress, like a Mallorquin princess, and he looked handsome in a well-tailored suit! 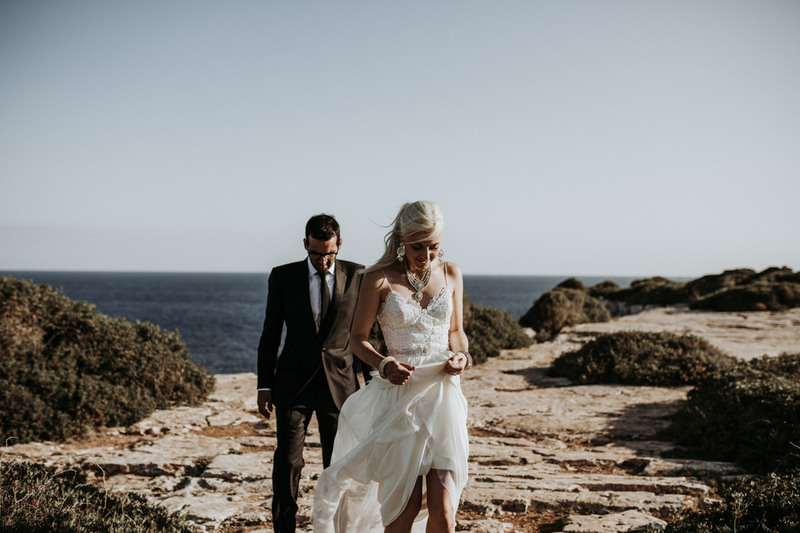 We drove to the cliffs for a breathtaking couple shoot. 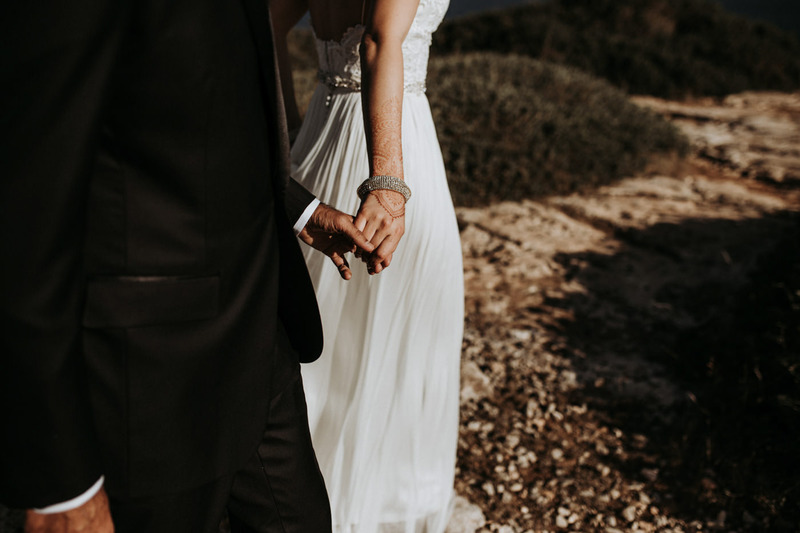 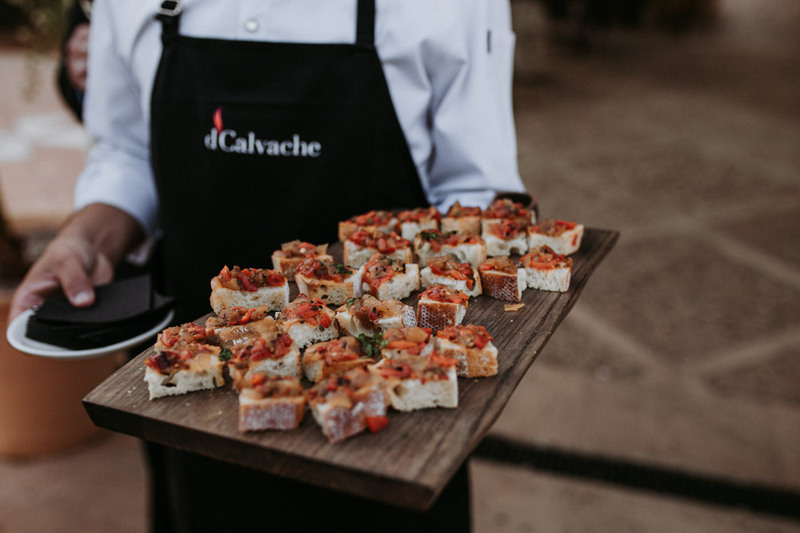 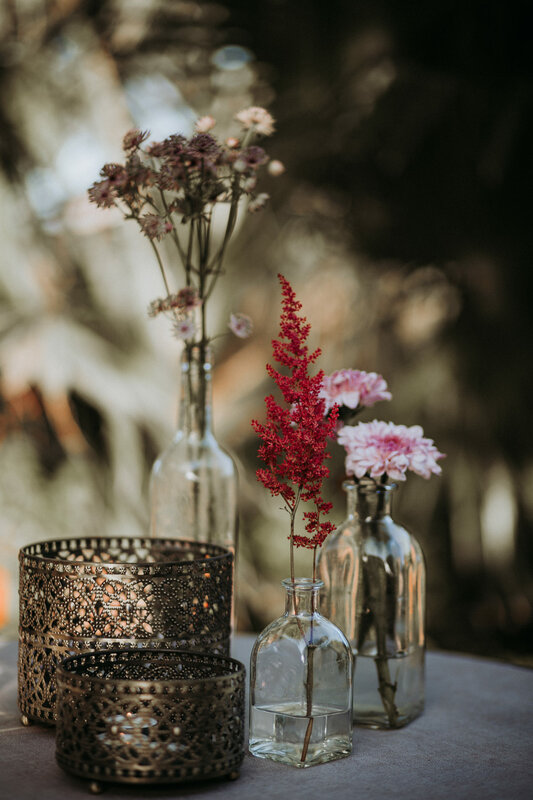 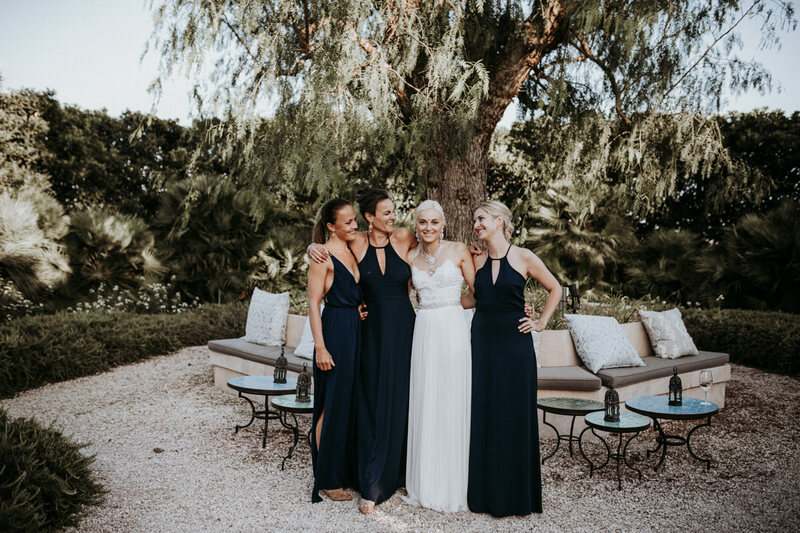 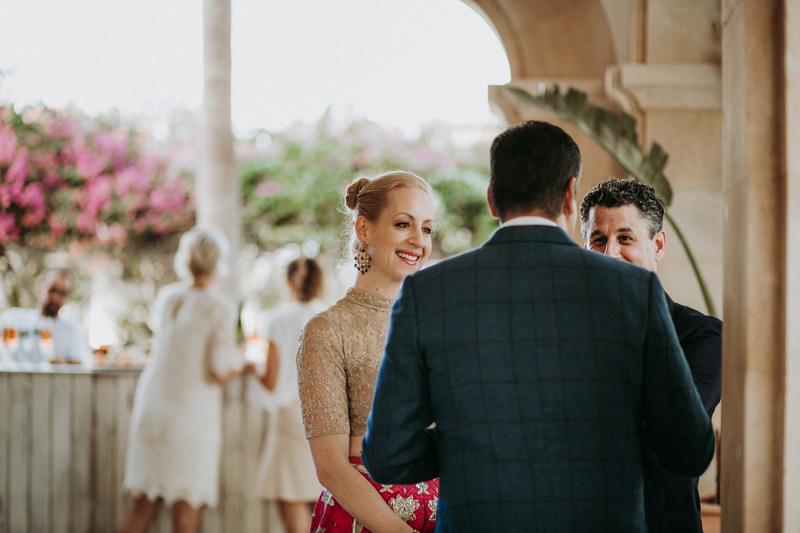 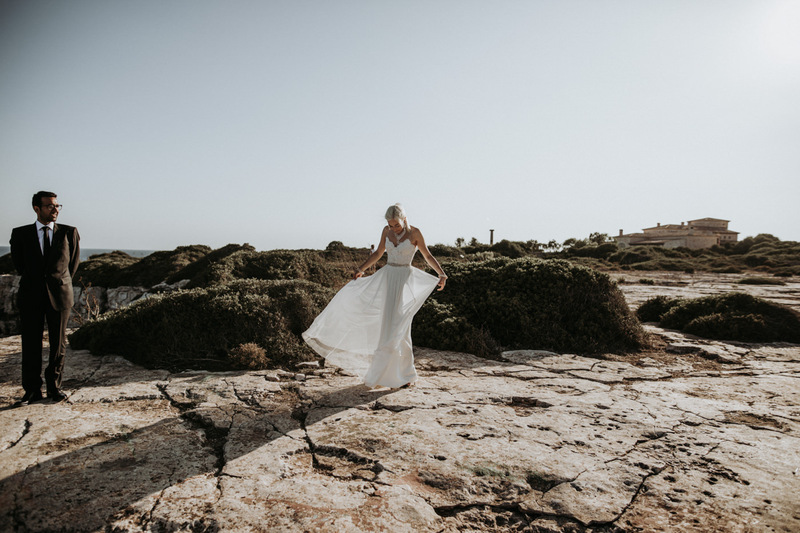 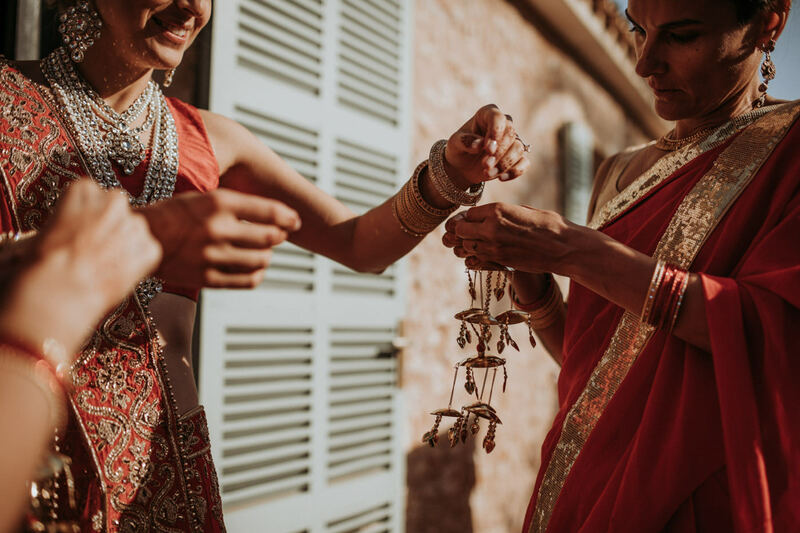 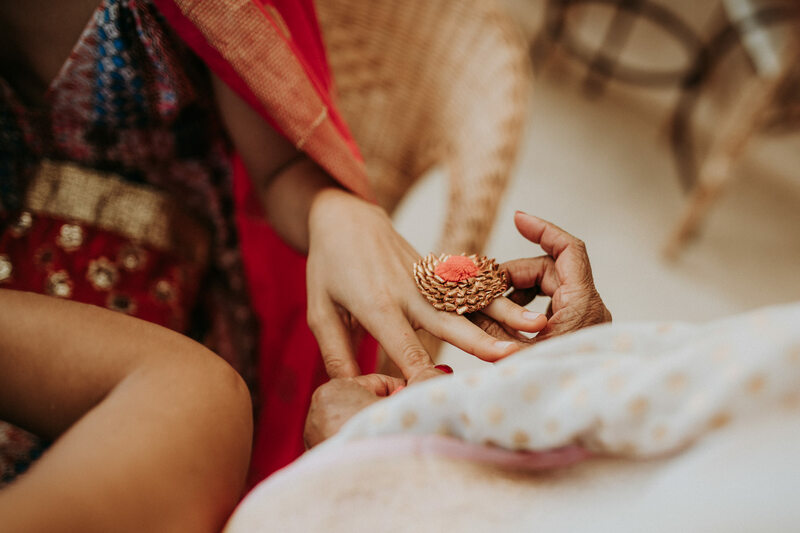 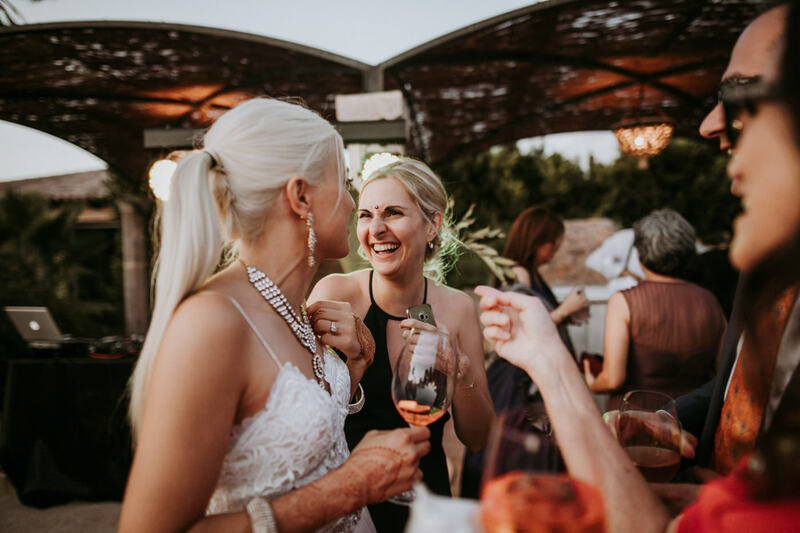 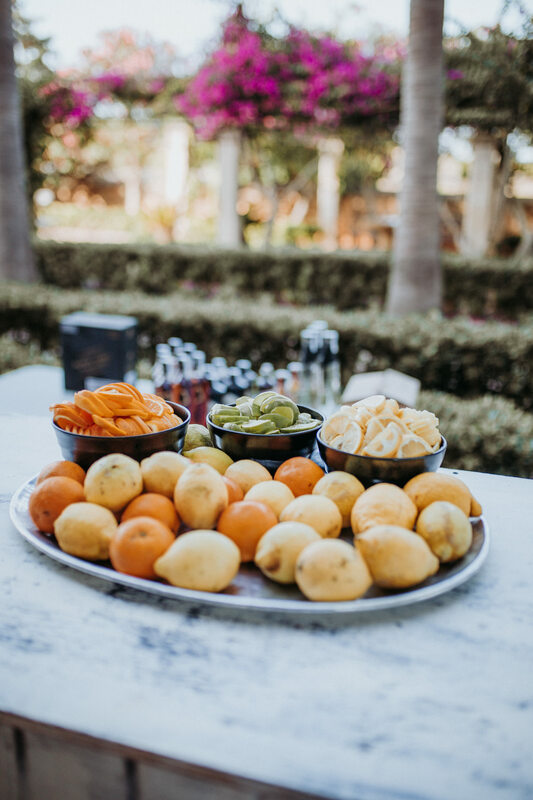 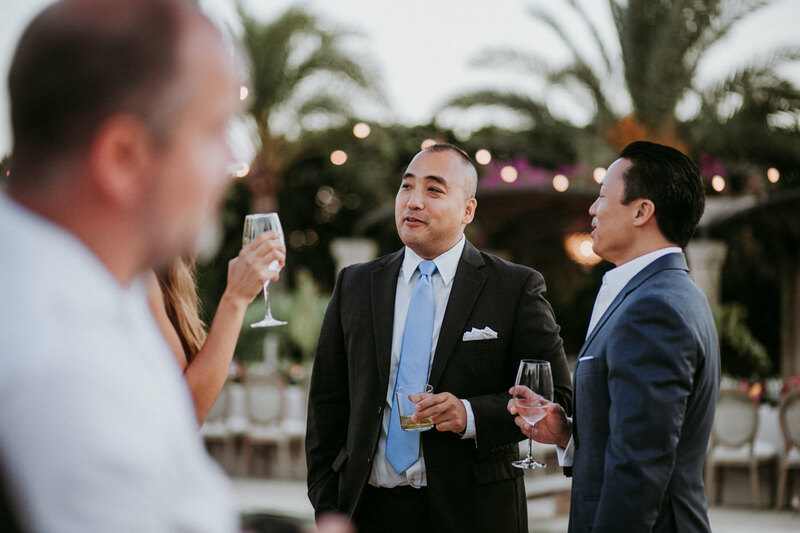 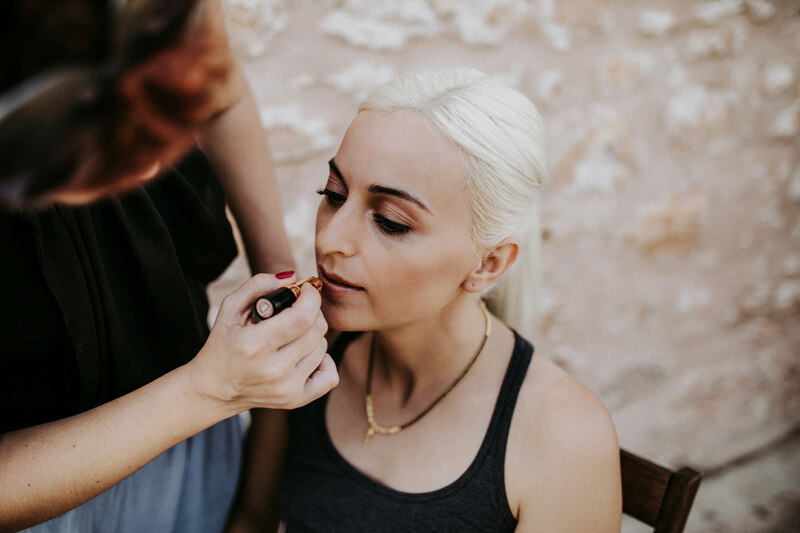 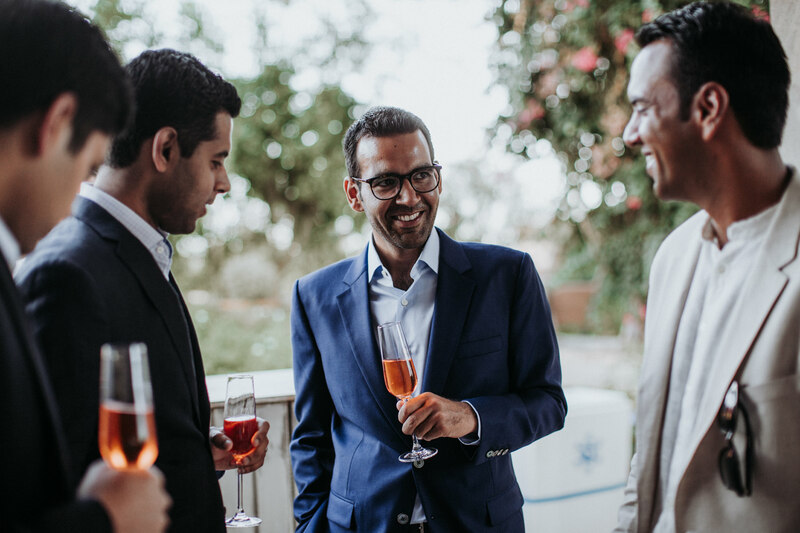 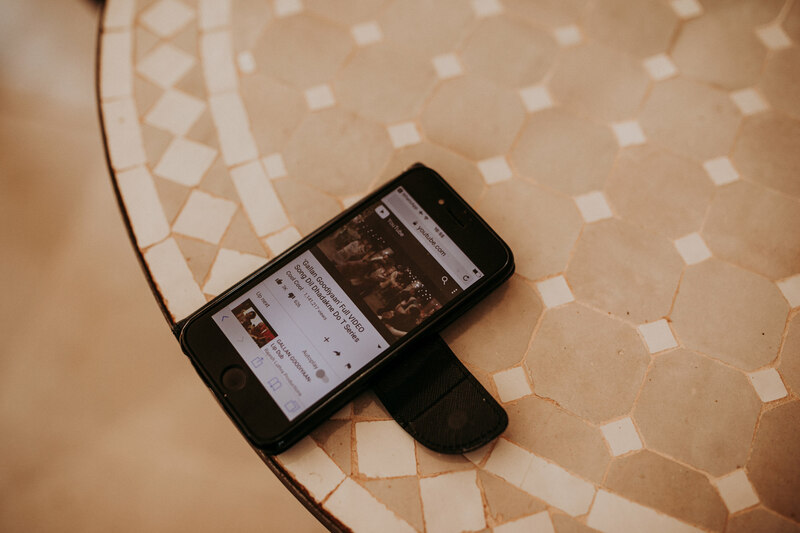 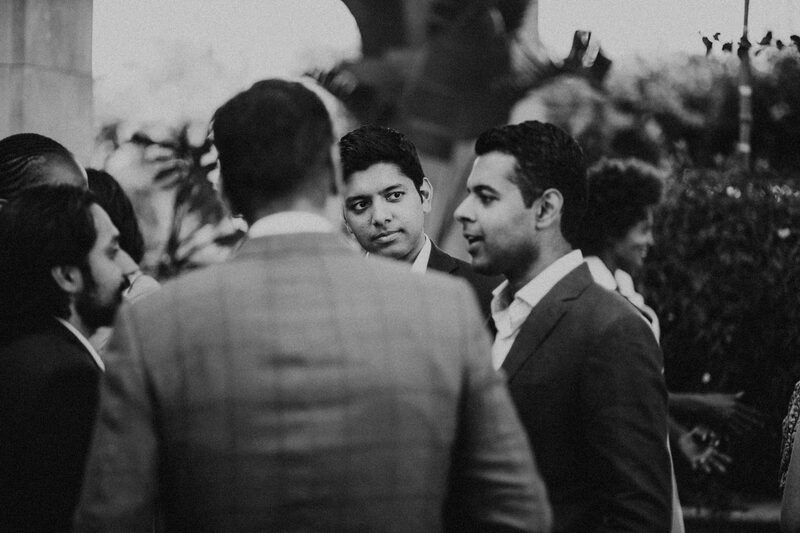 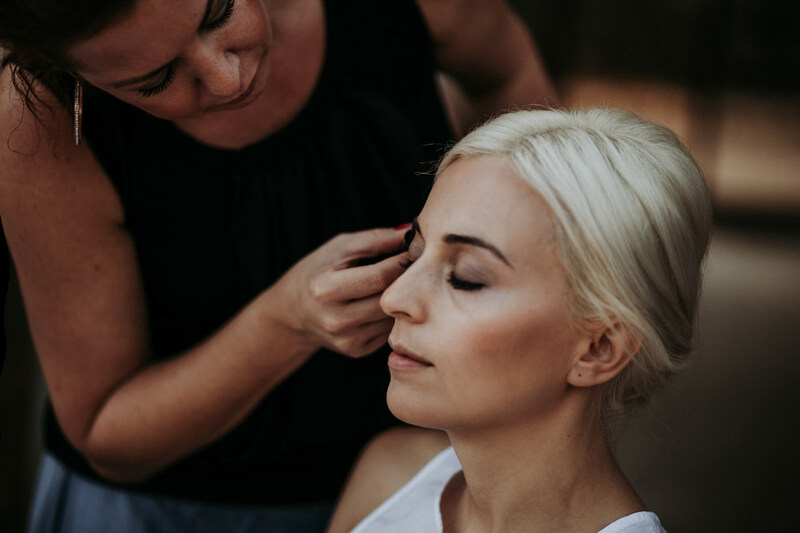 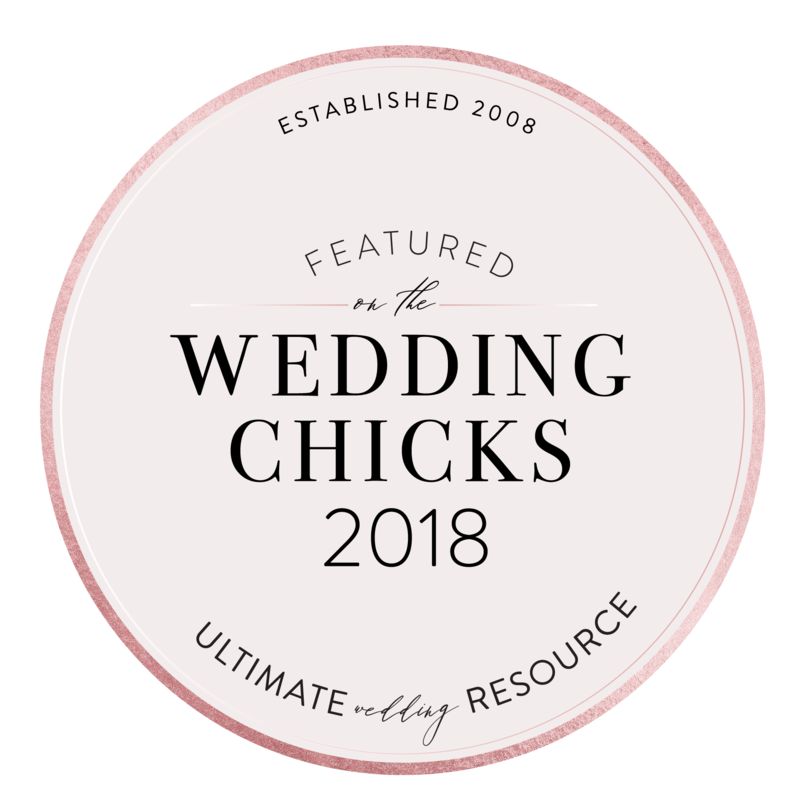 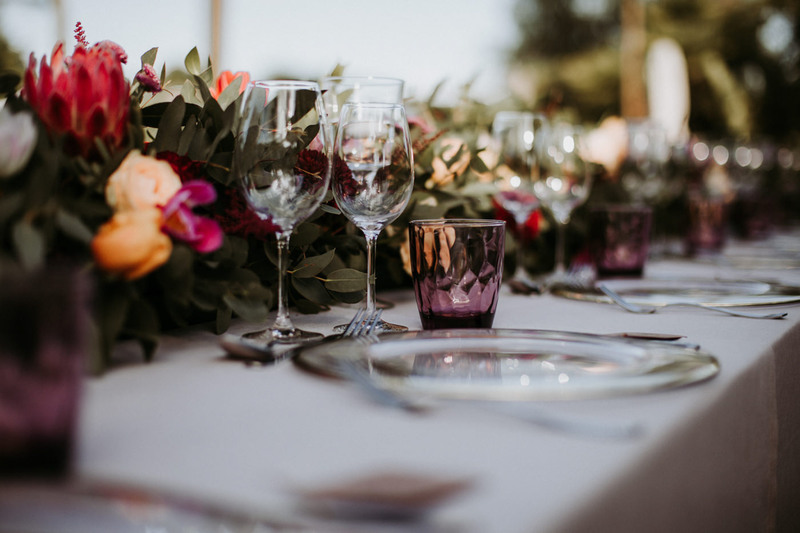 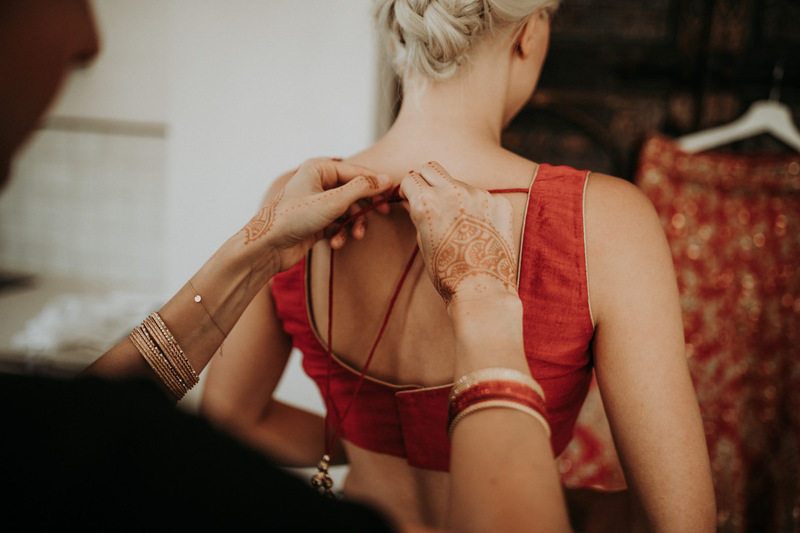 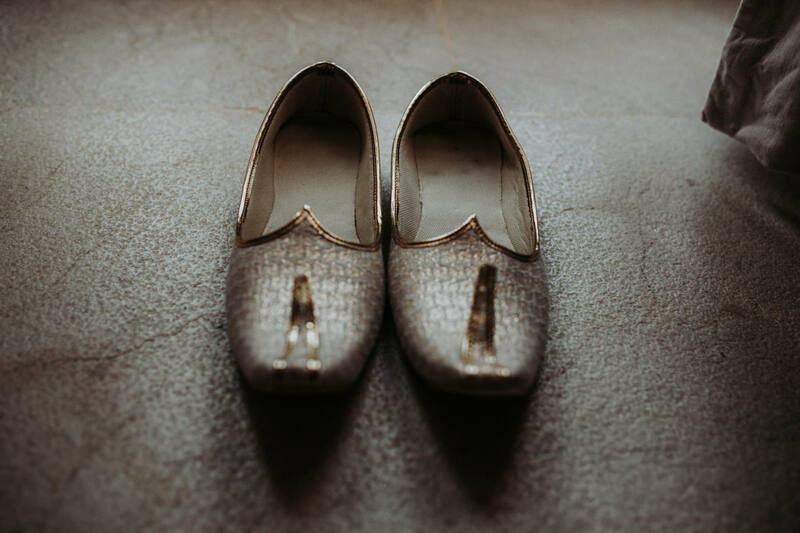 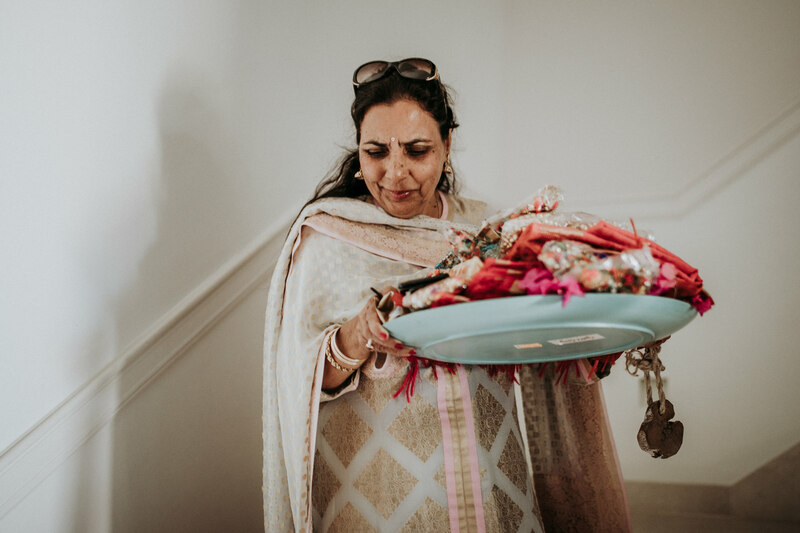 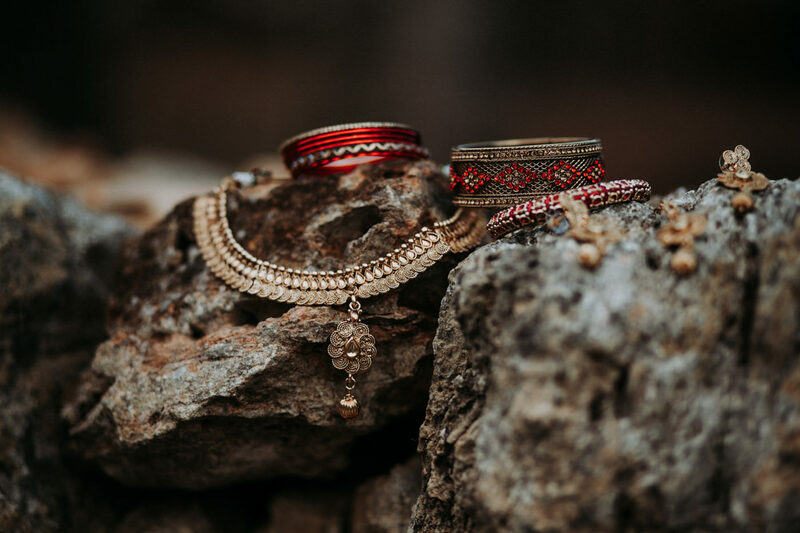 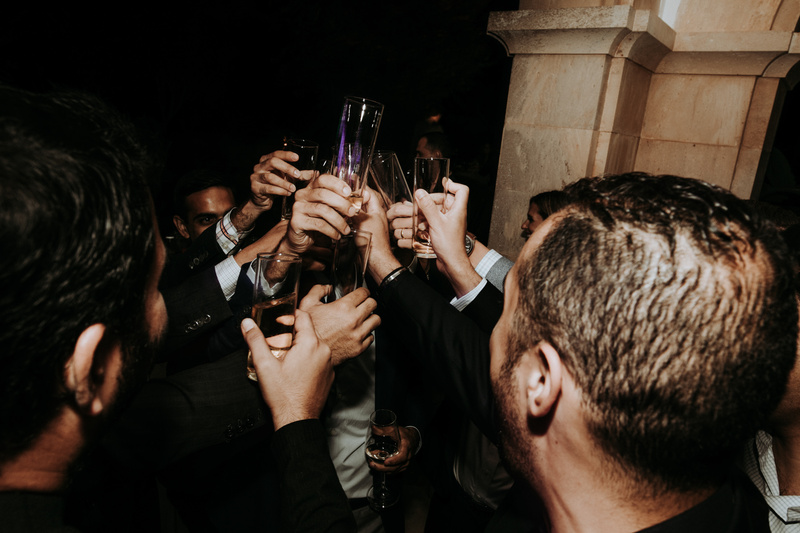 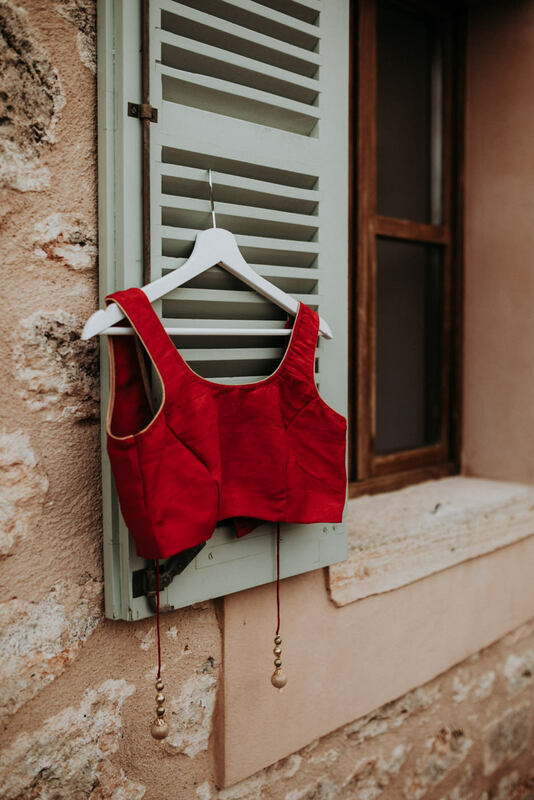 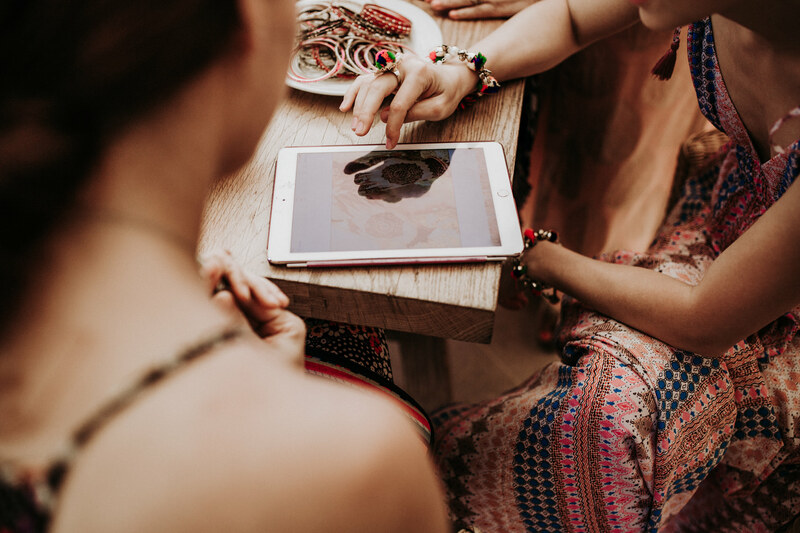 Upon completing the shoot we arrived at the wedding venue where guests were waiting for the beautiful bridal couple to celebrate their big day in the complete German style. 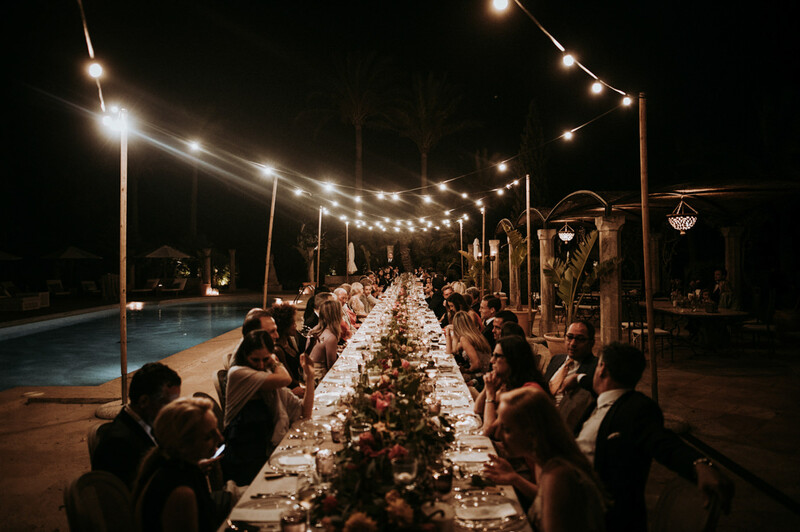 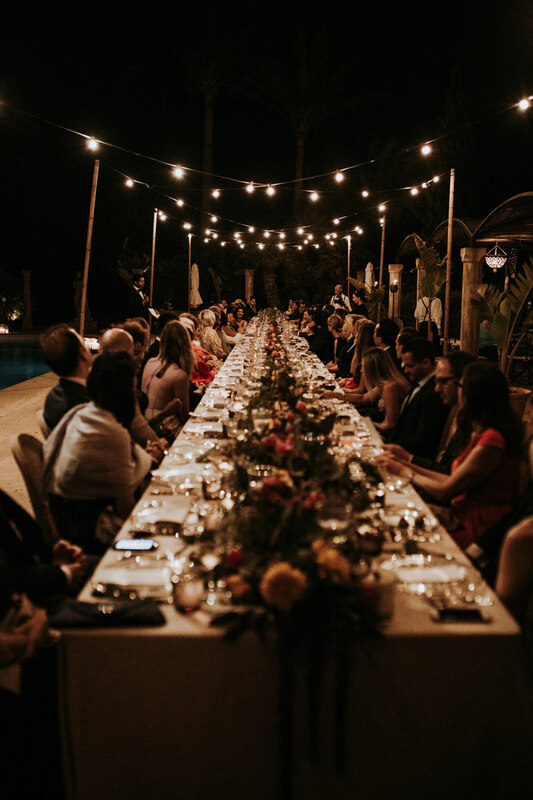 An extremely long table, where the dinner was served, was so amazing too and looked brilliant with a lot of big flowers. 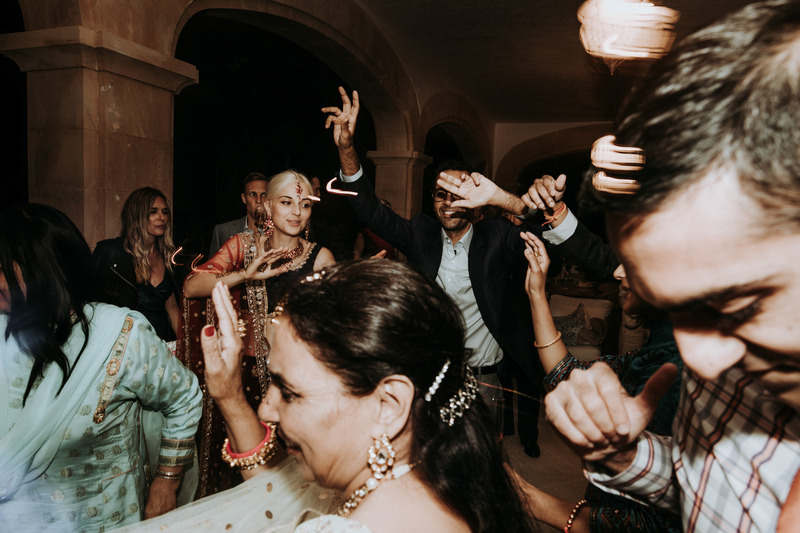 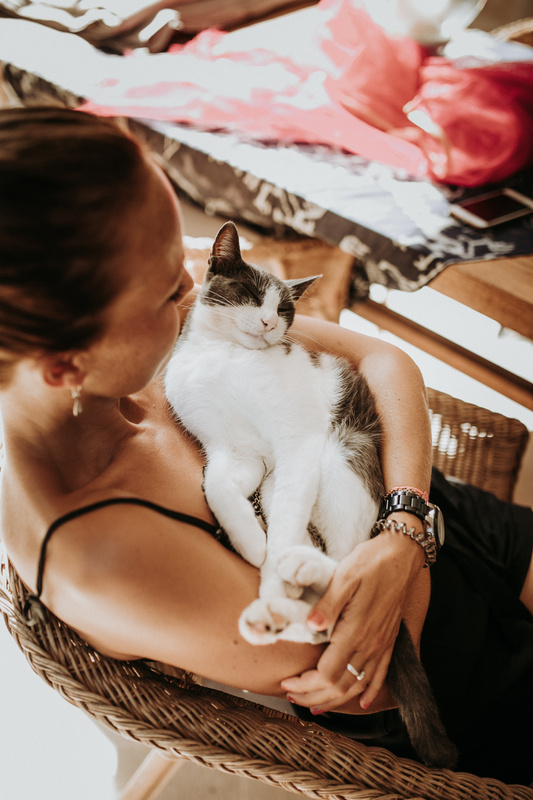 After having a big dinner with lots of vegetarian and vegan food the party started. 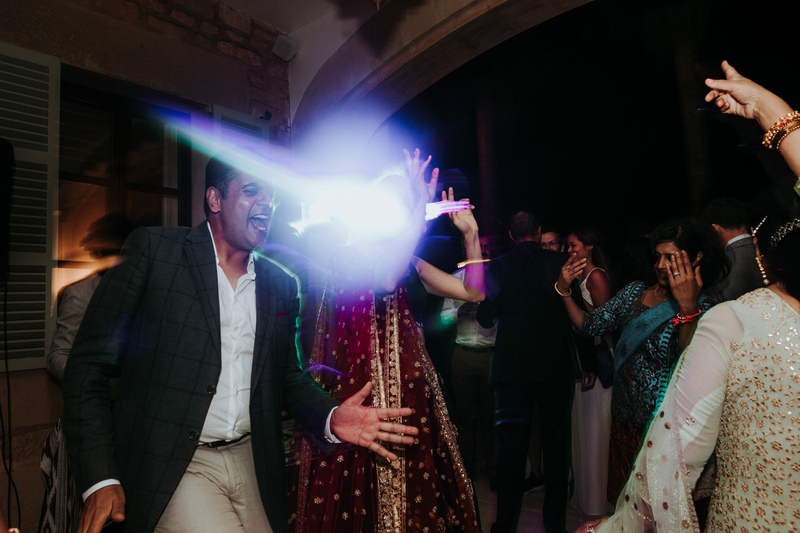 Lighting, Entertainment & Photo Booth	Mabull,Panela!